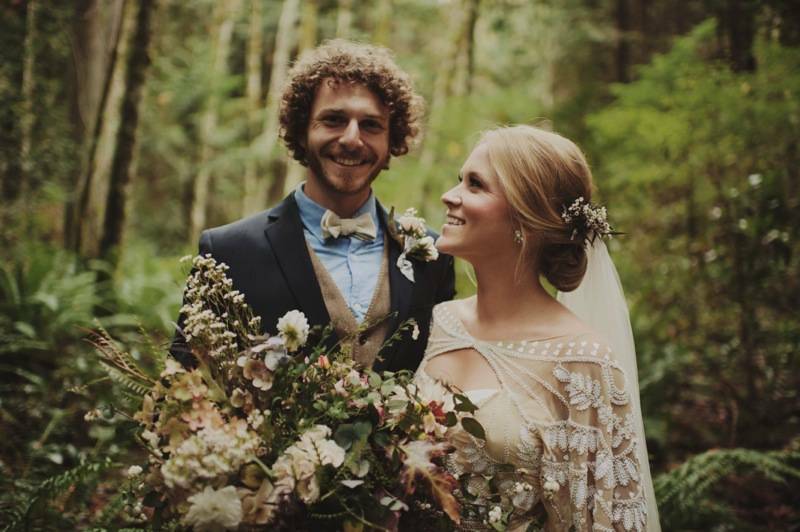 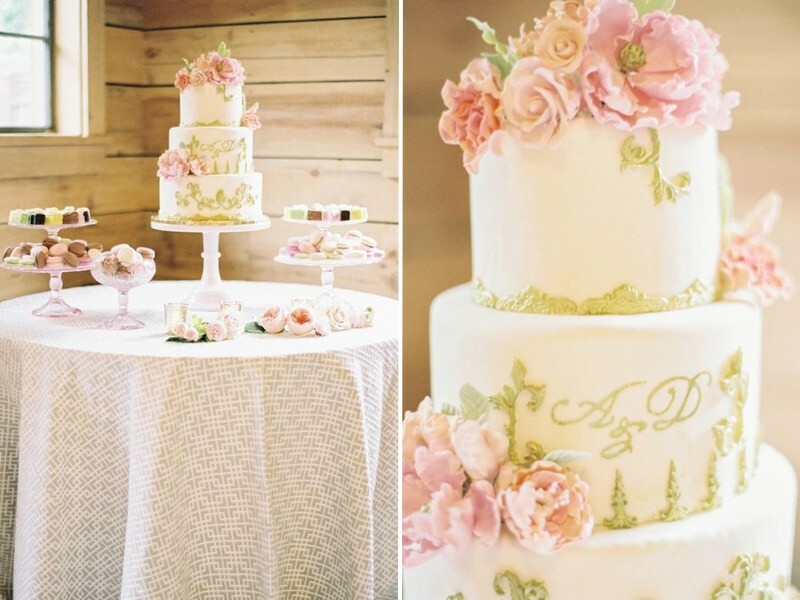 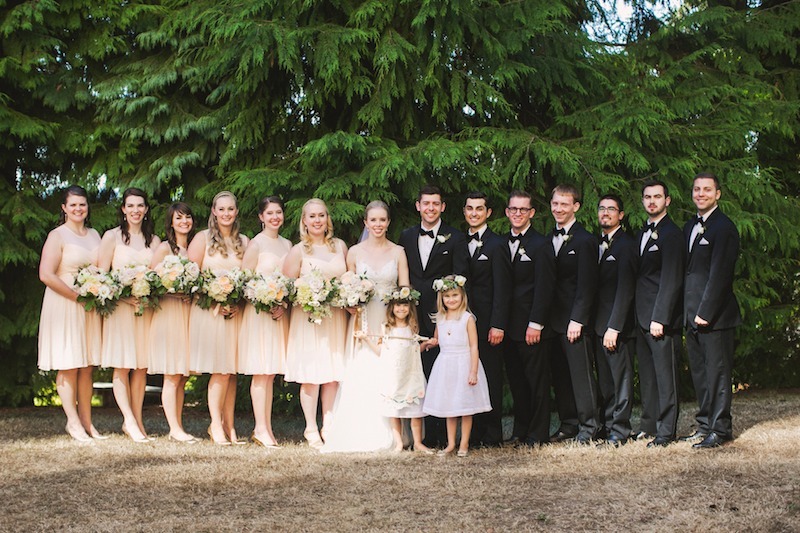 Audrey wanted her Washington State barn wedding to have a loose Marie Antoinette theme and I loved the idea of contrasting the rustic farm venue with a gilded, ballroom design scheme. 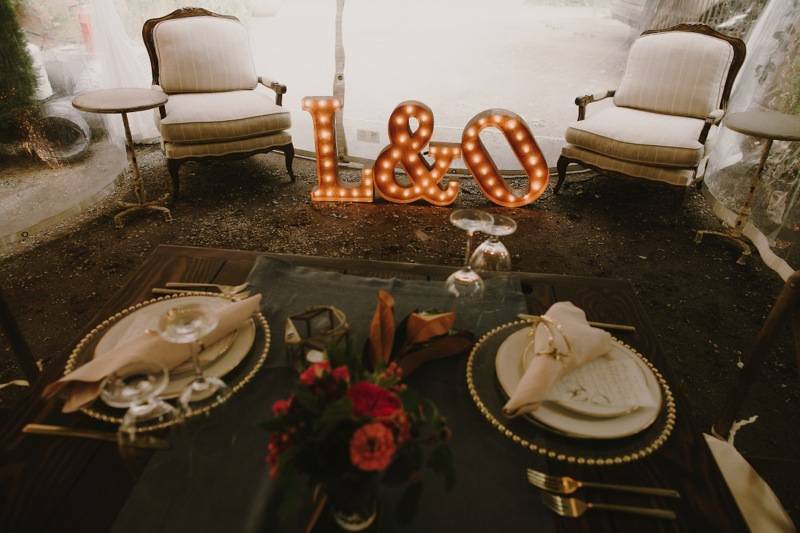 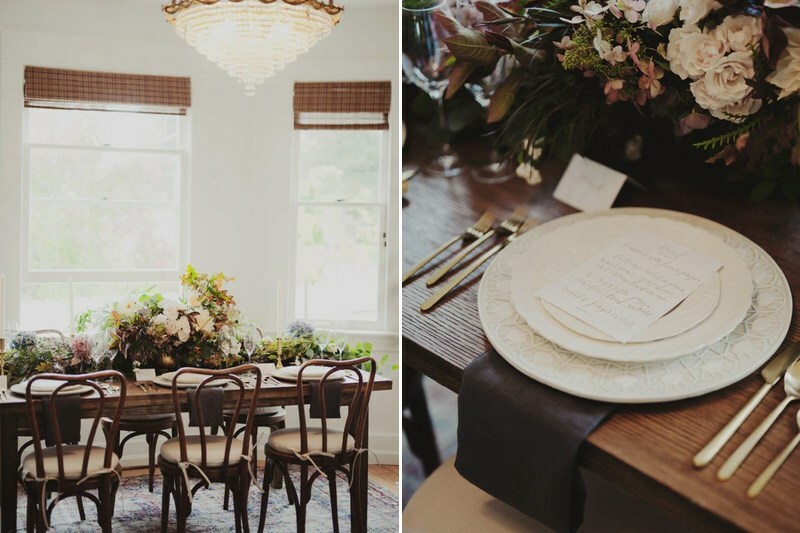 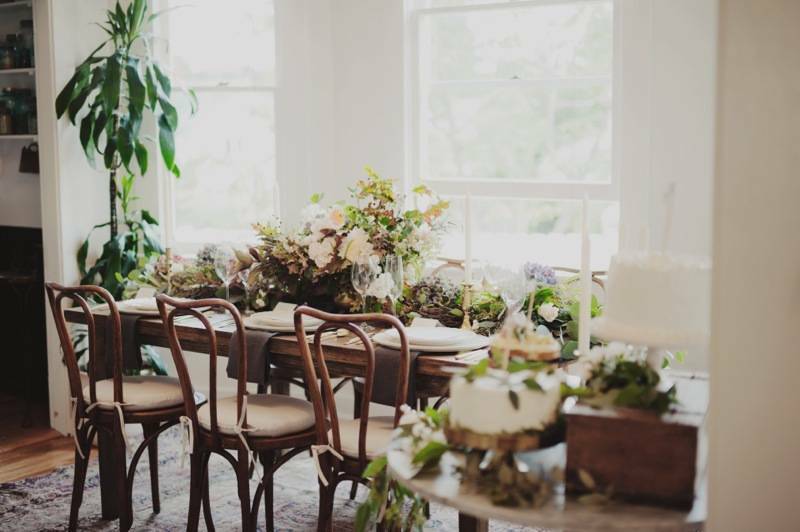 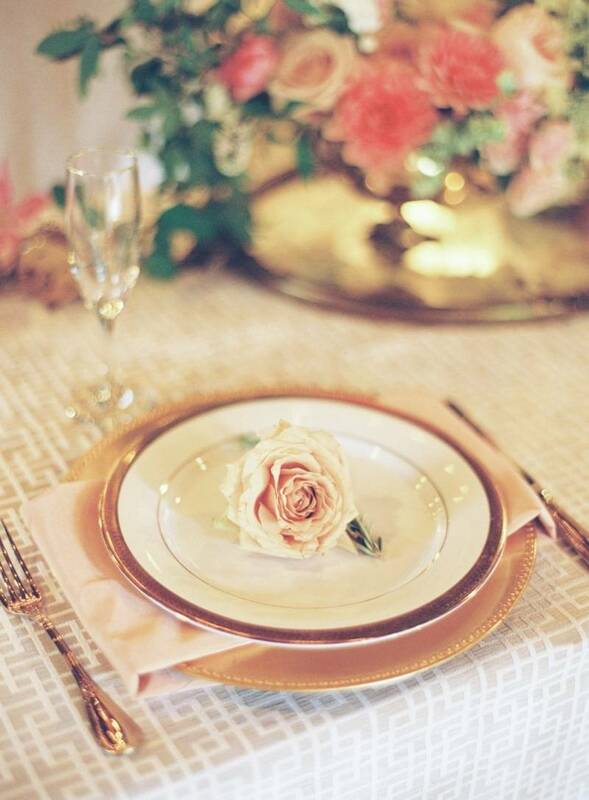 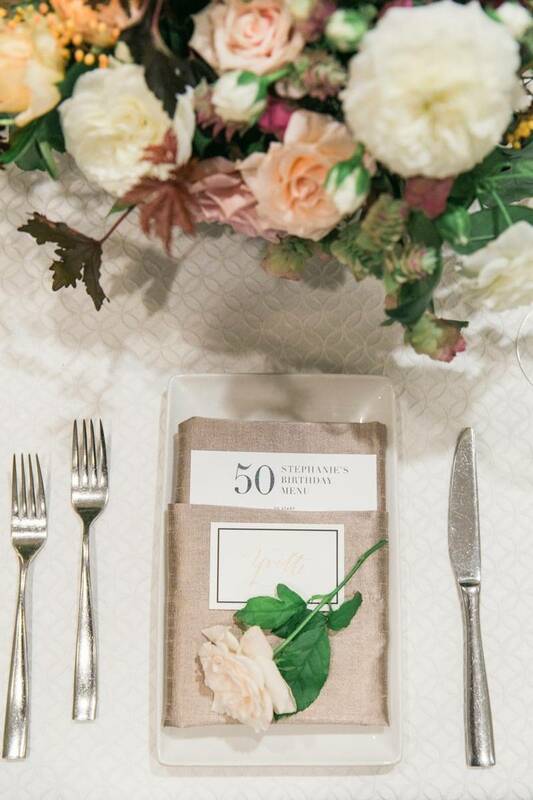 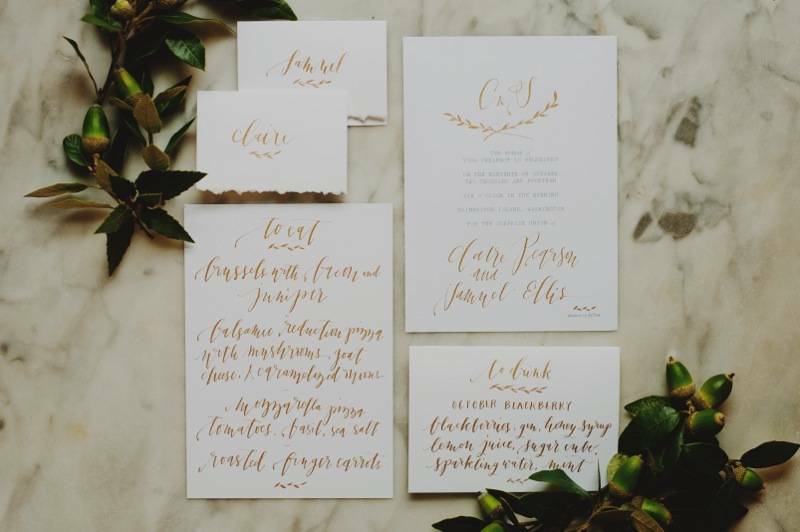 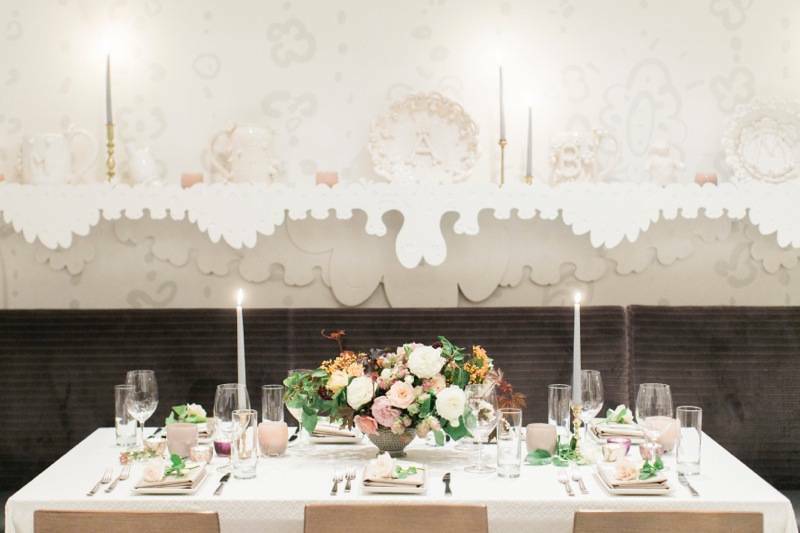 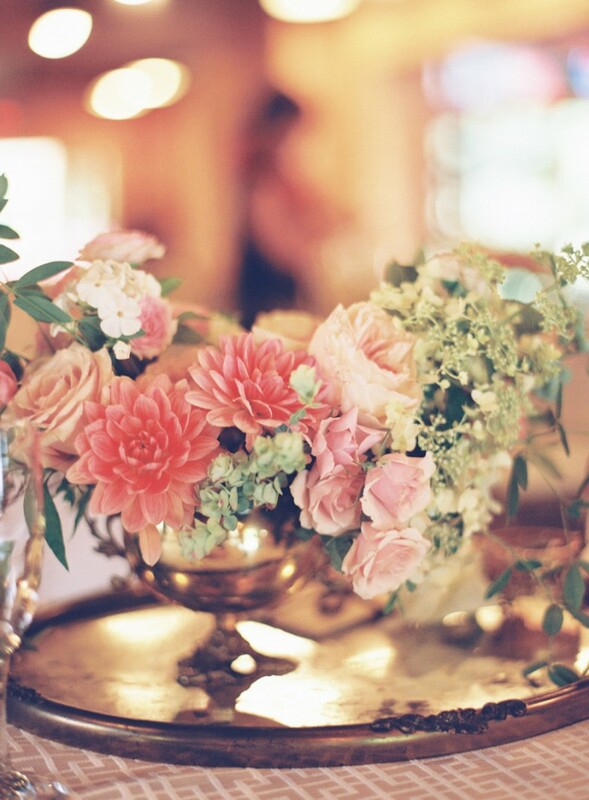 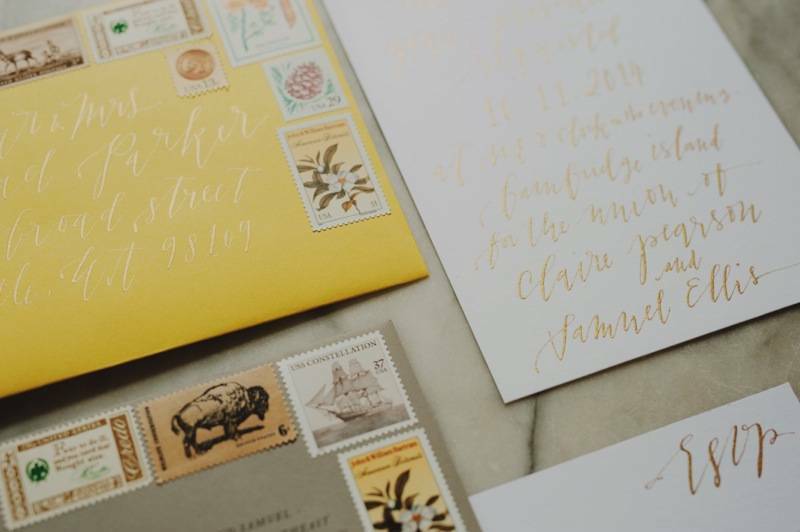 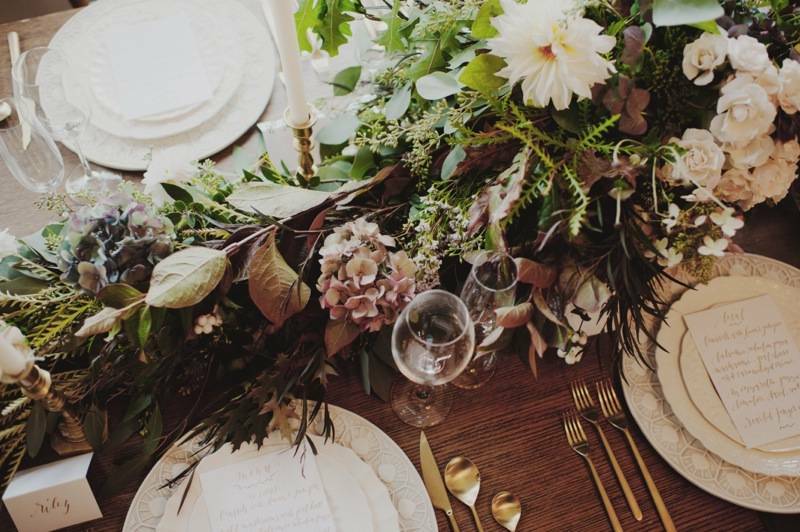 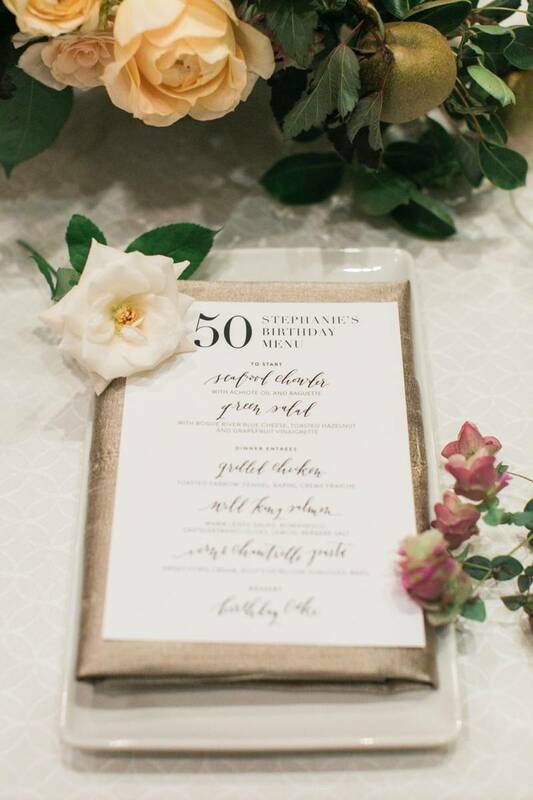 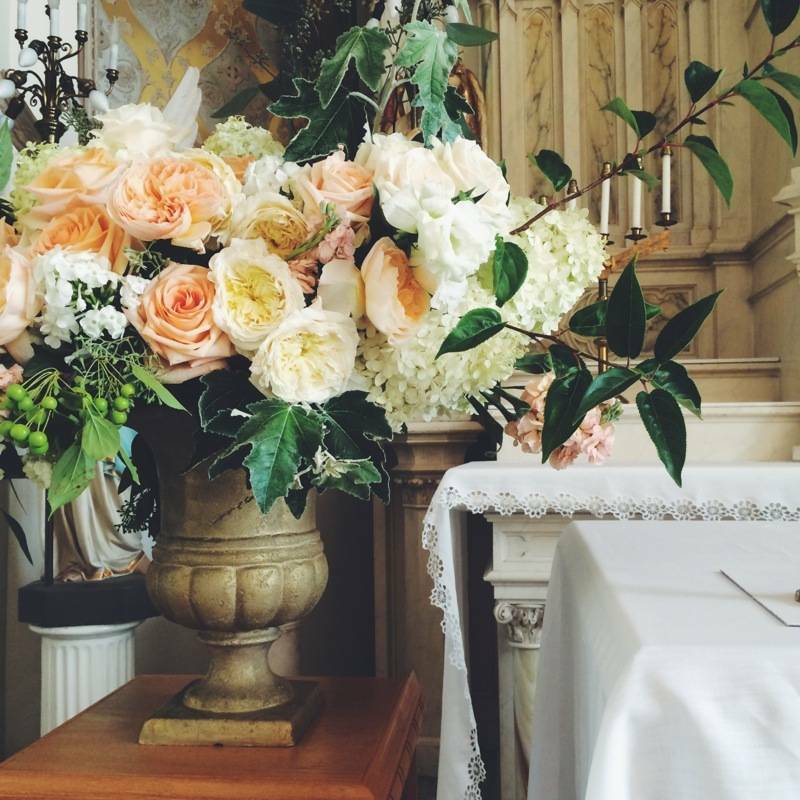 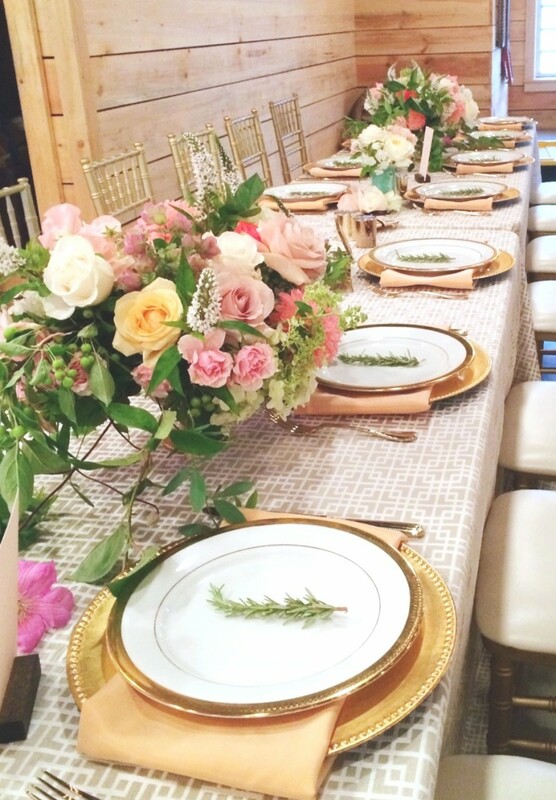 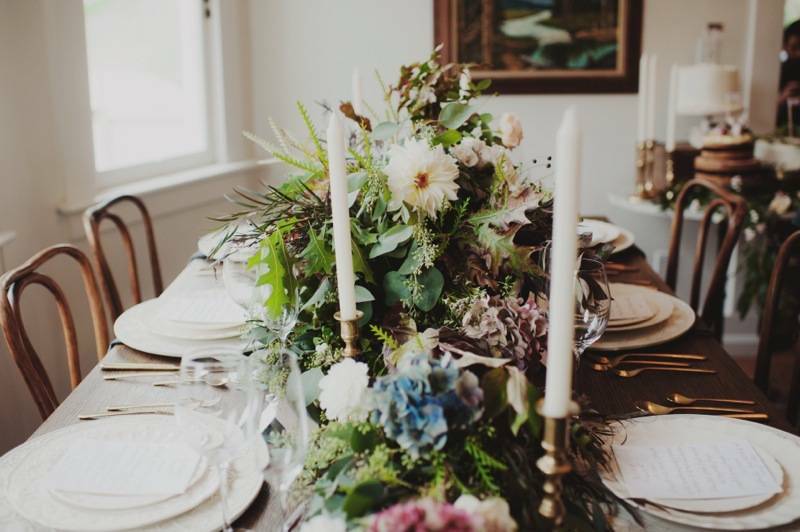 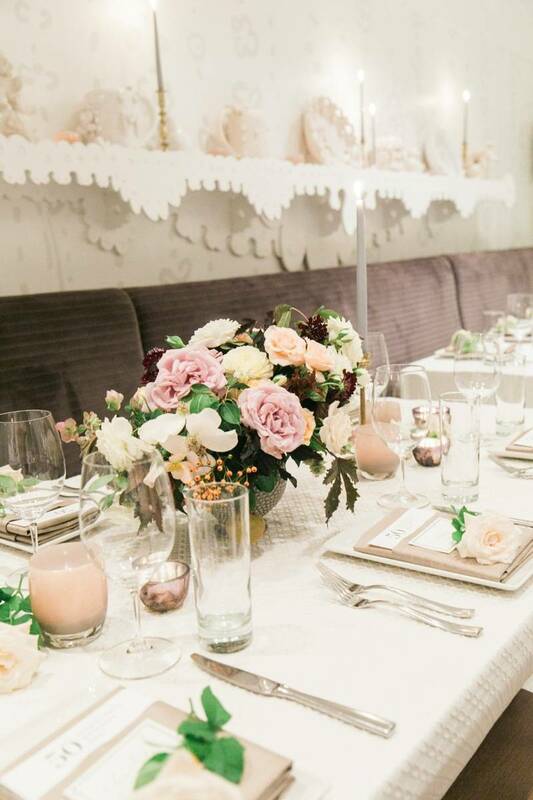 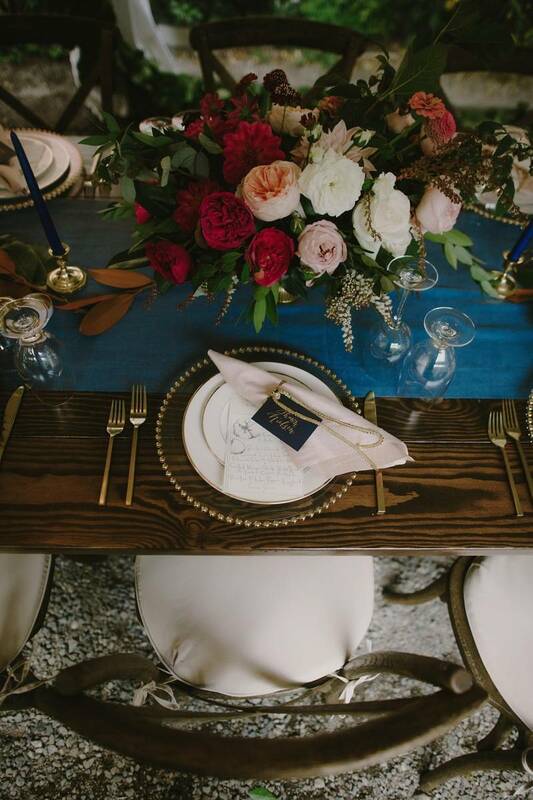 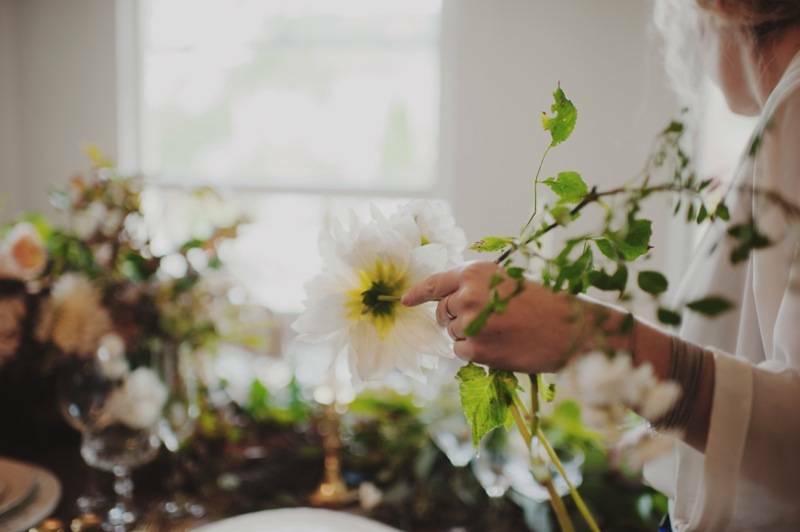 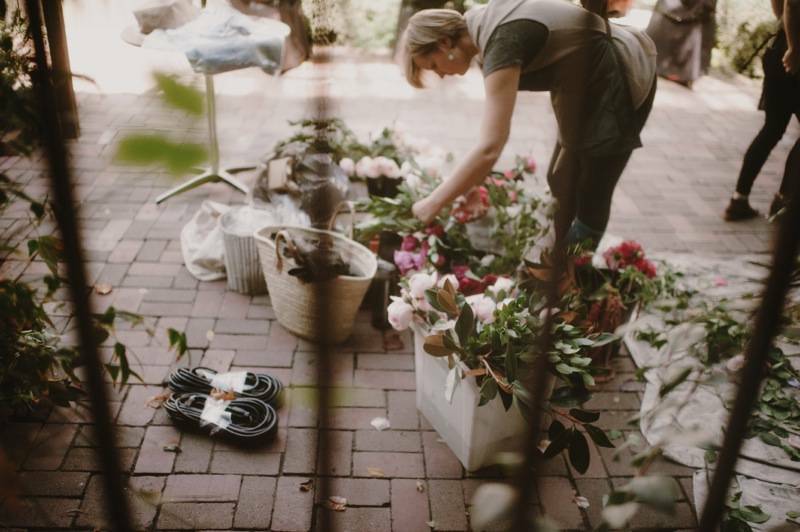 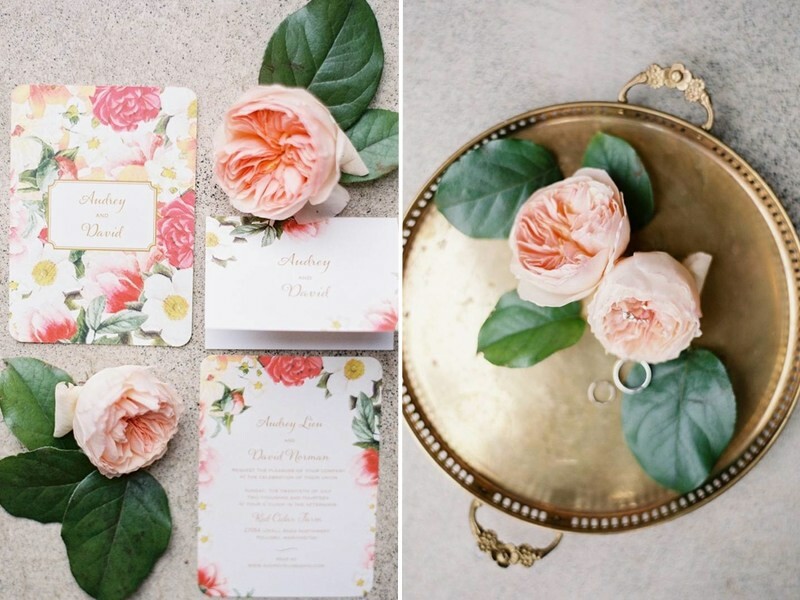 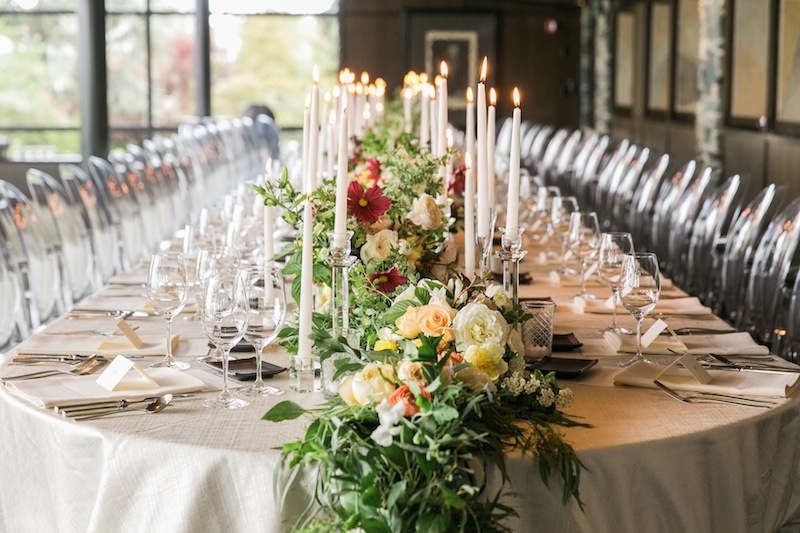 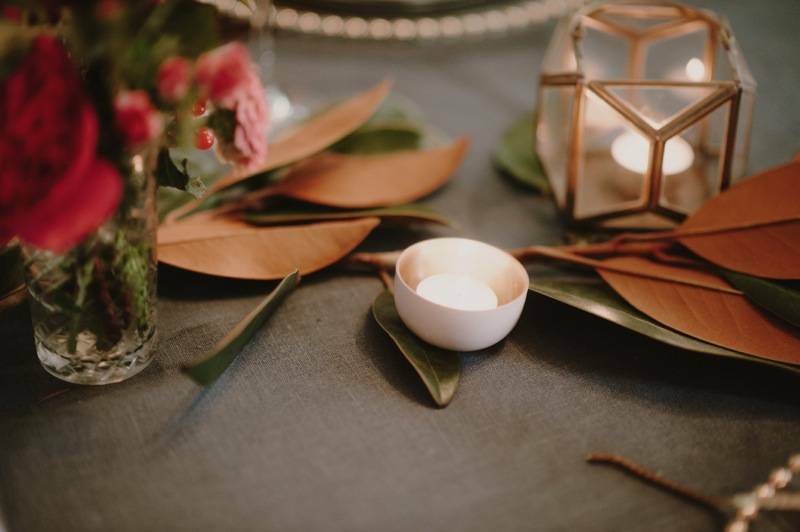 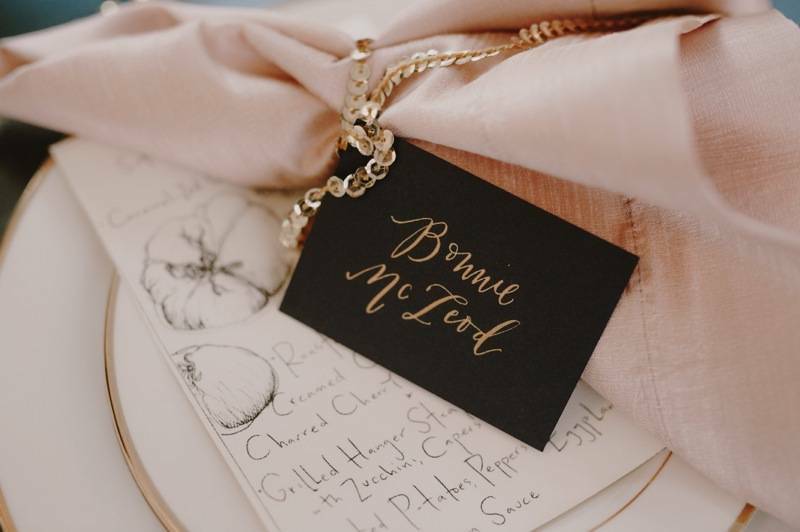 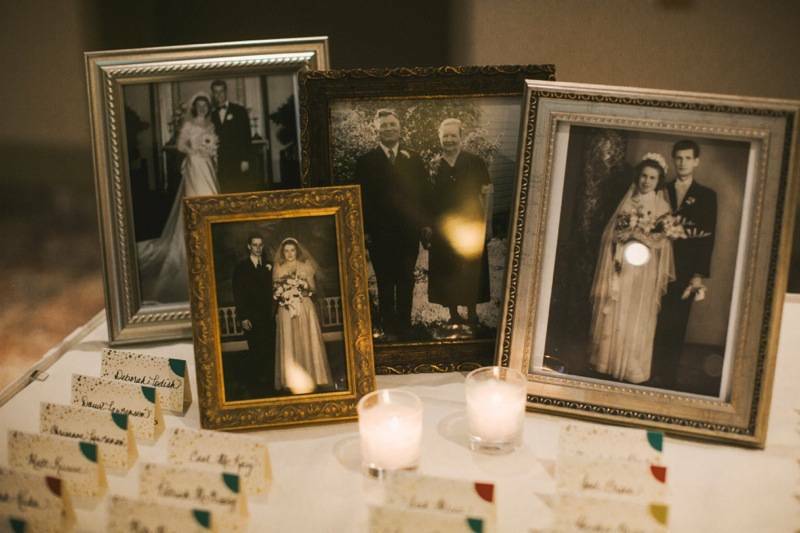 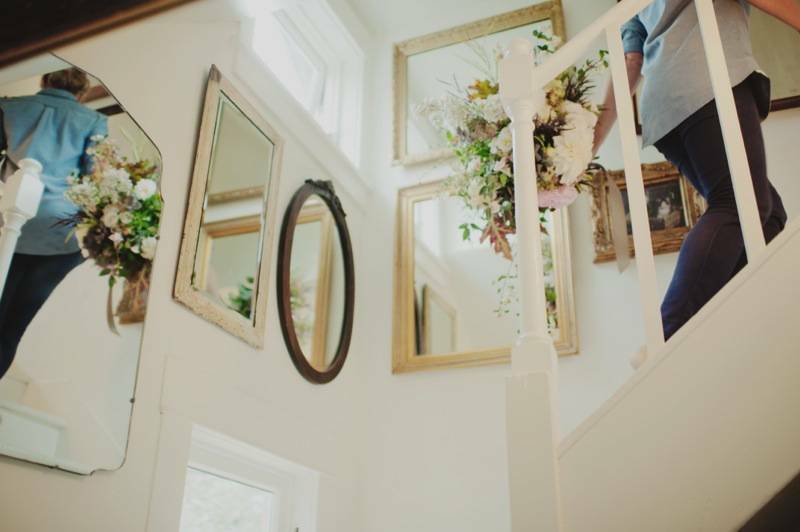 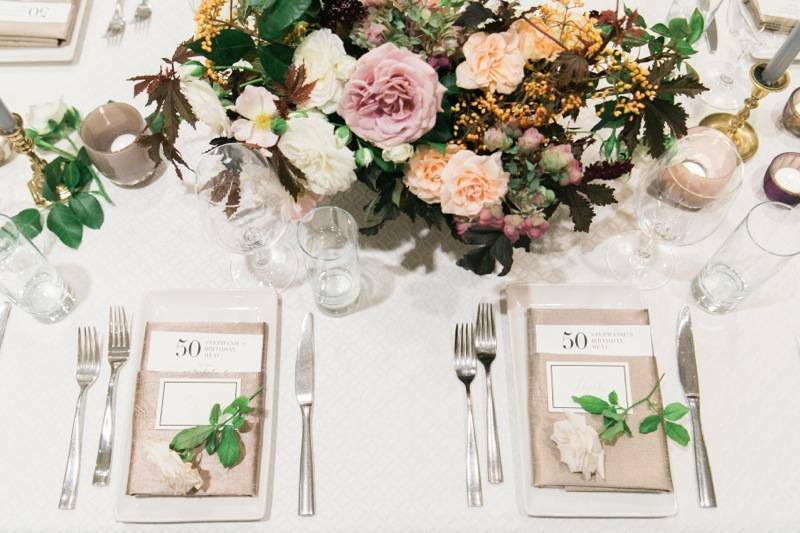 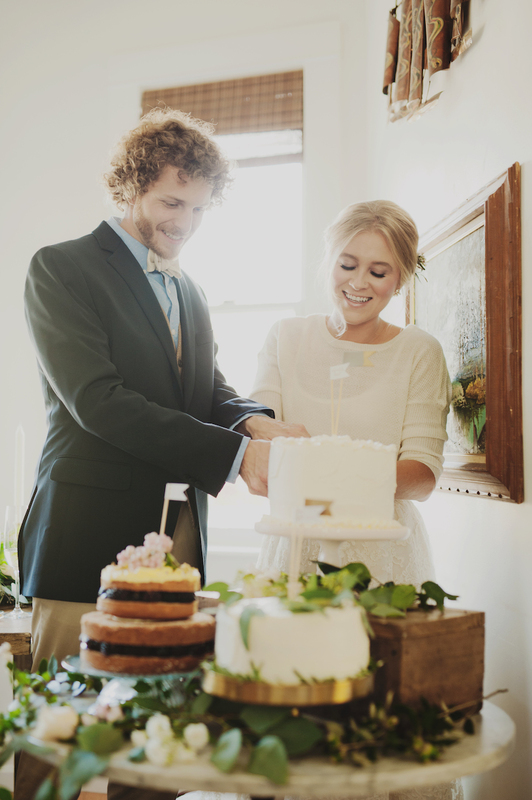 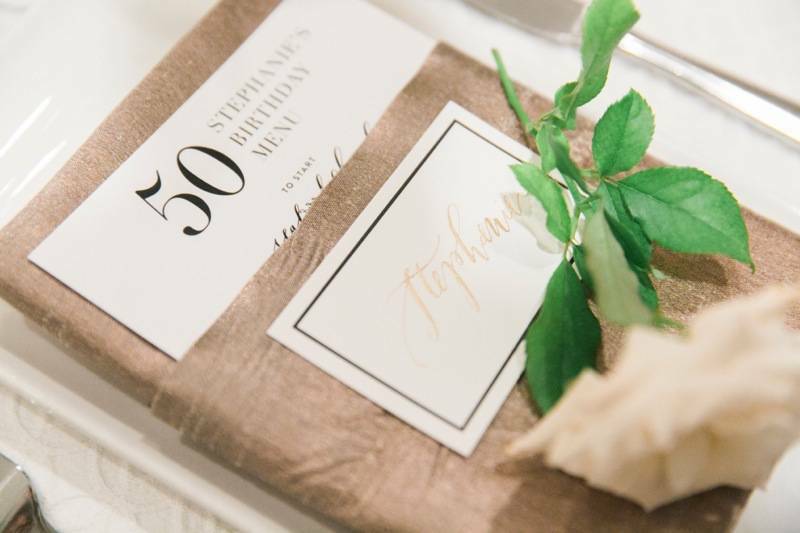 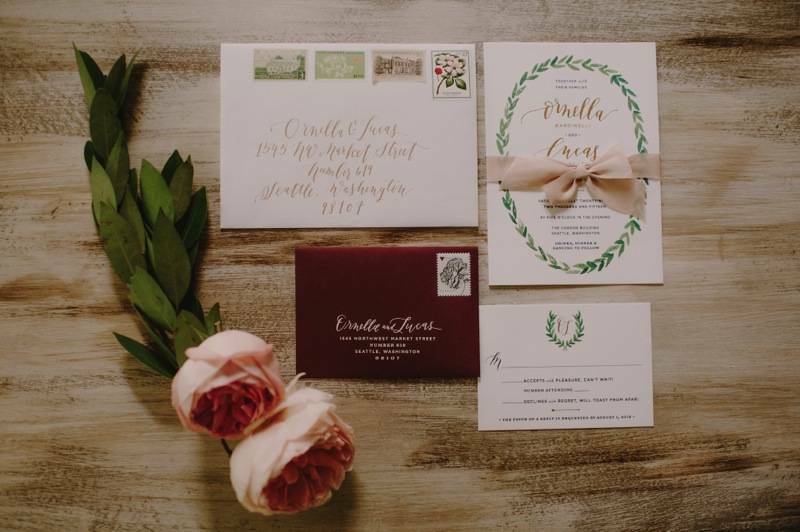 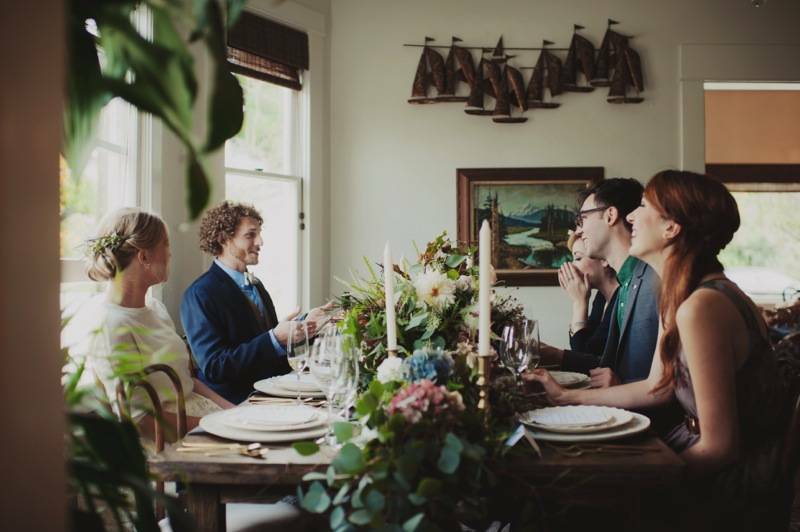 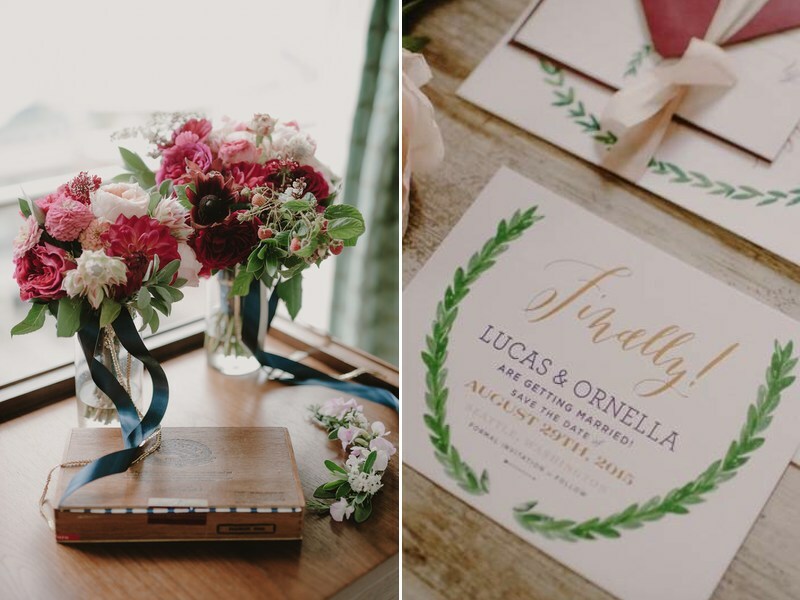 To achieve this, we employed a mix of rented vintage pieces – old clocks, jewelry boxes, packets of antique love letters, a French barn ladder, and art déco pottery with lush, organic florals in luxe gold urns. 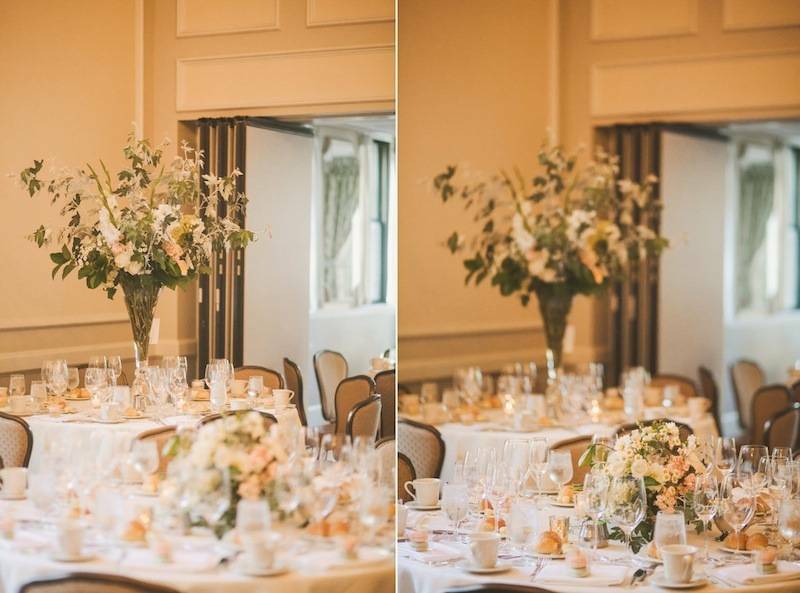 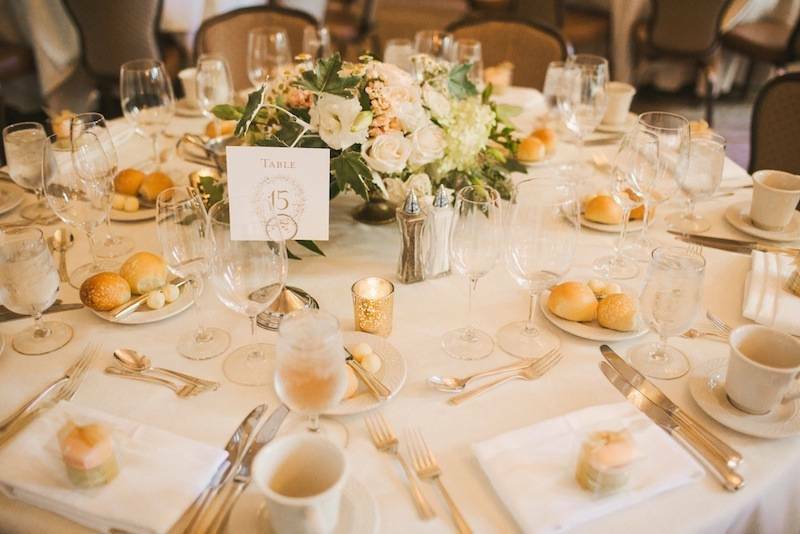 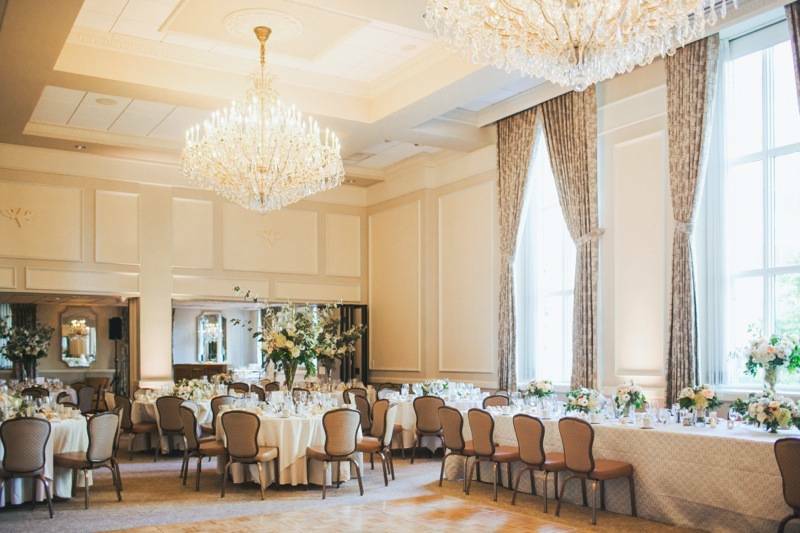 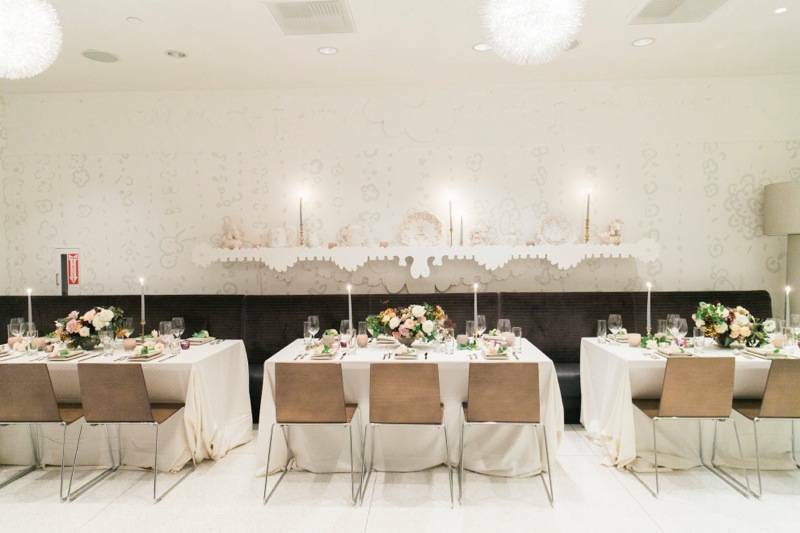 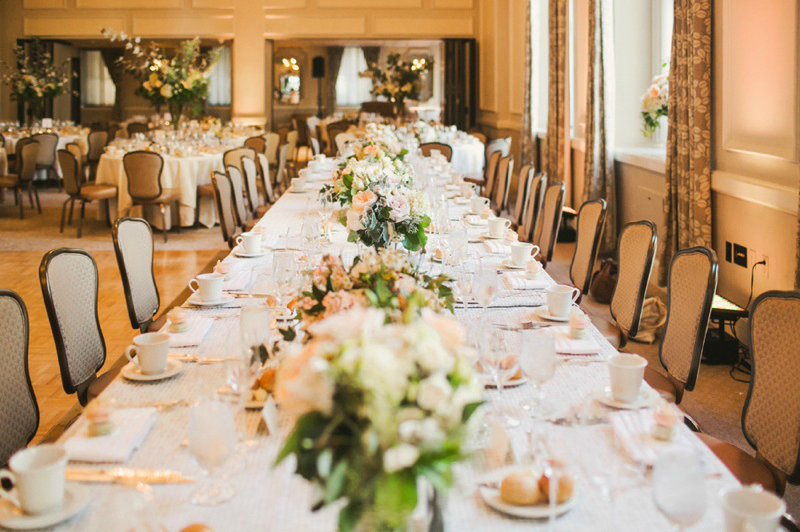 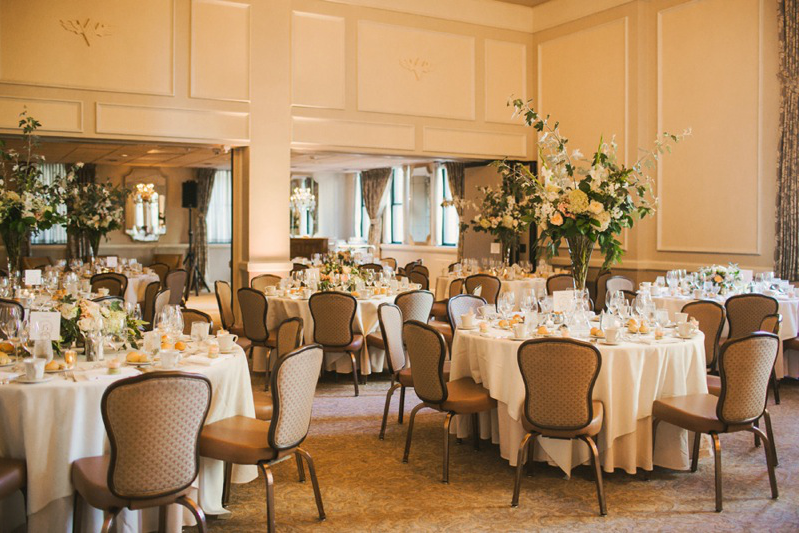 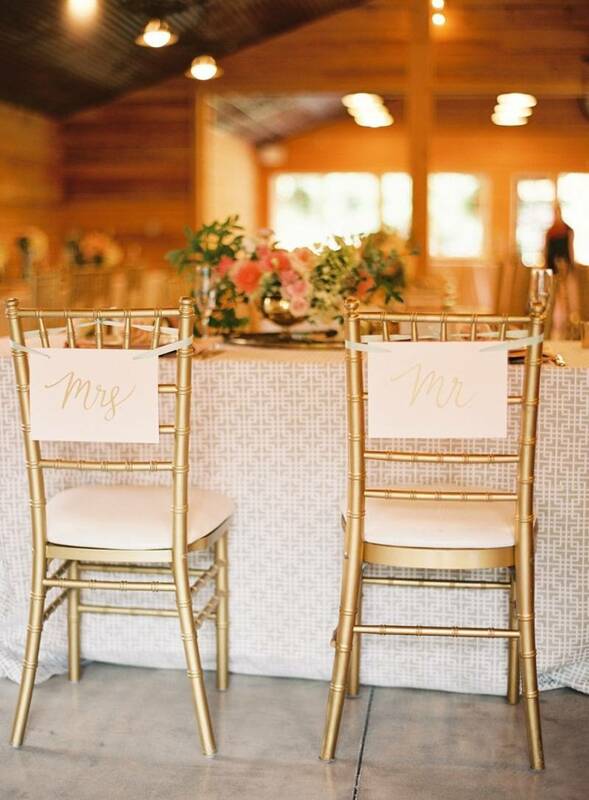 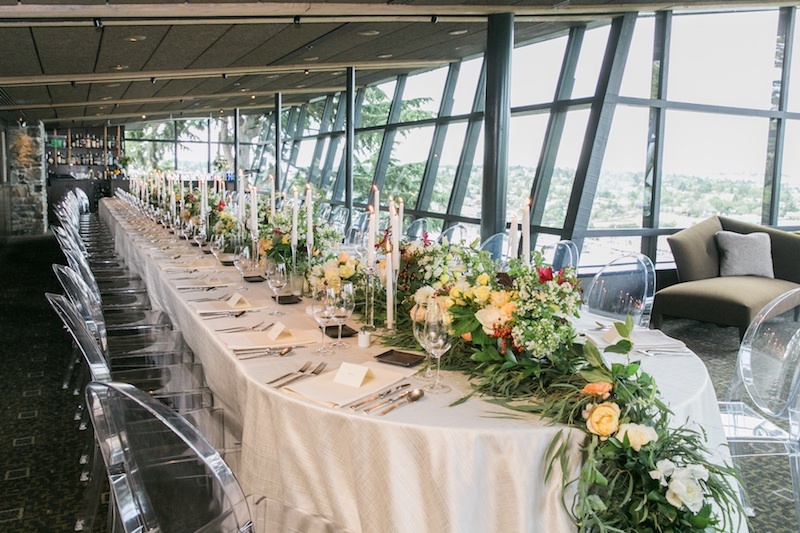 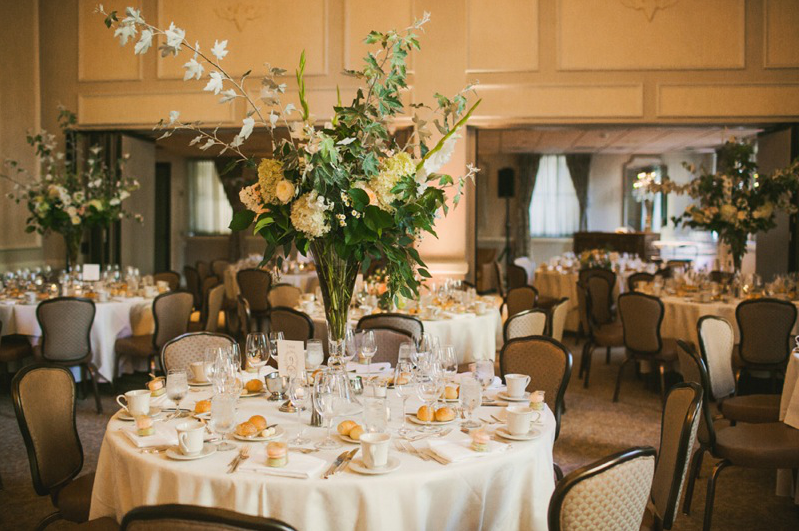 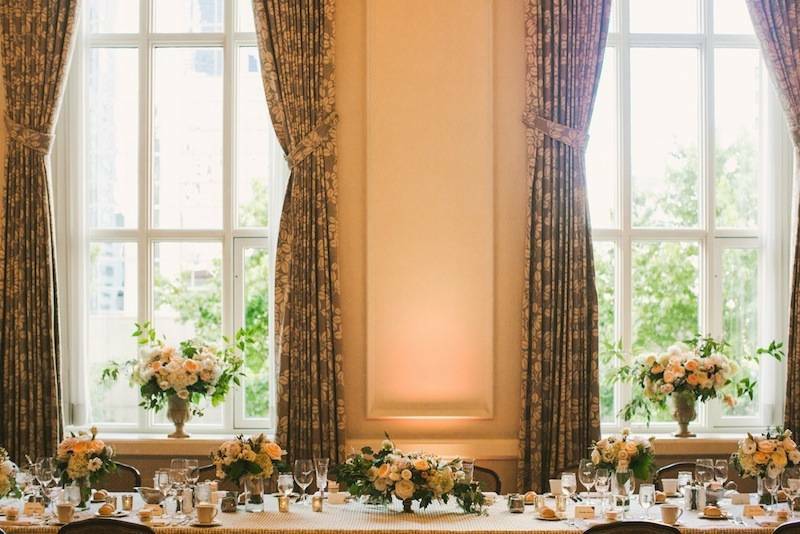 Gold rimmed plates, chargers and Chiviari chairs added to the ballroom look while stunning La Tavola linens added a final touch of elegance. 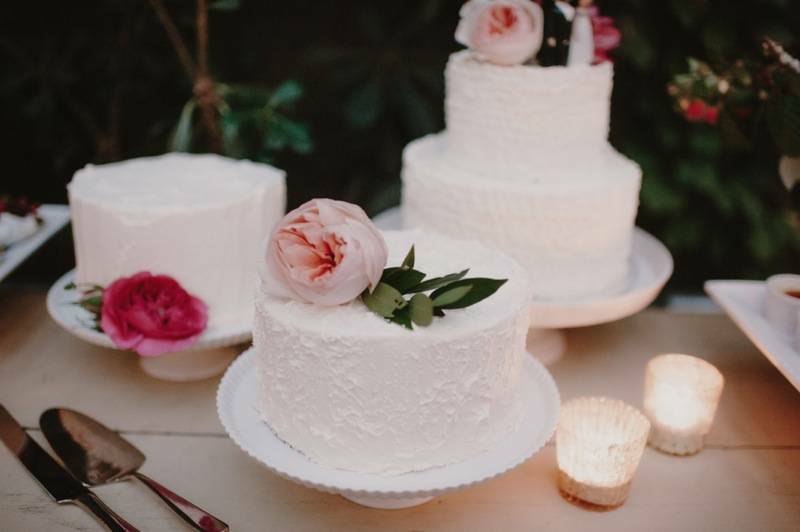 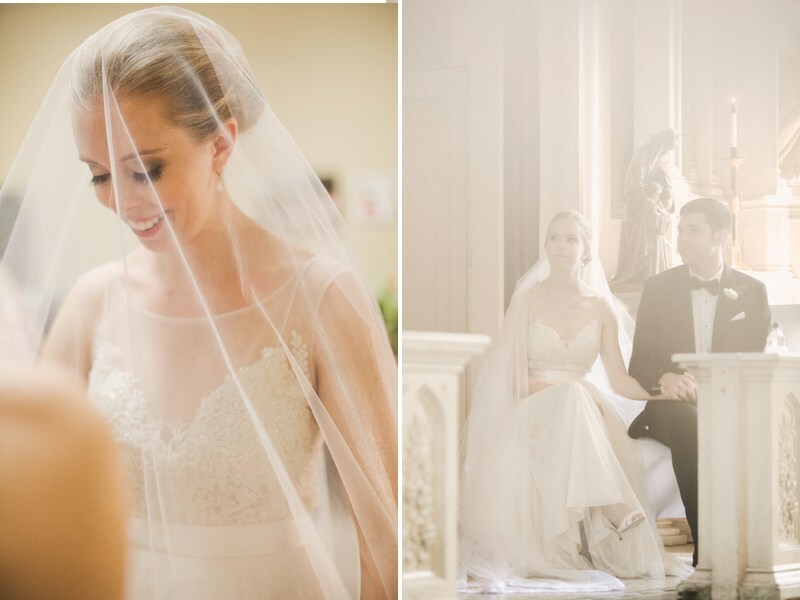 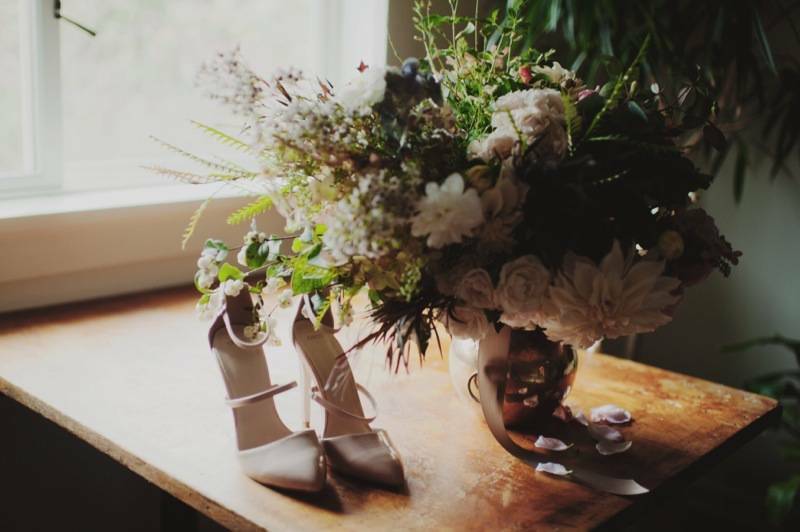 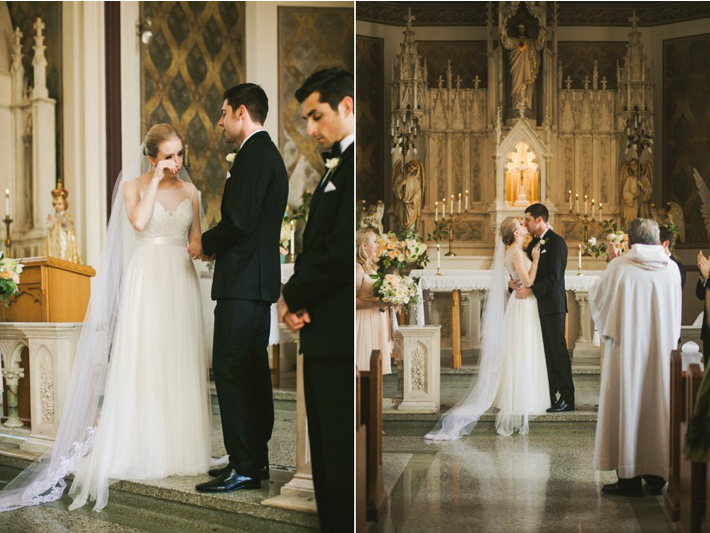 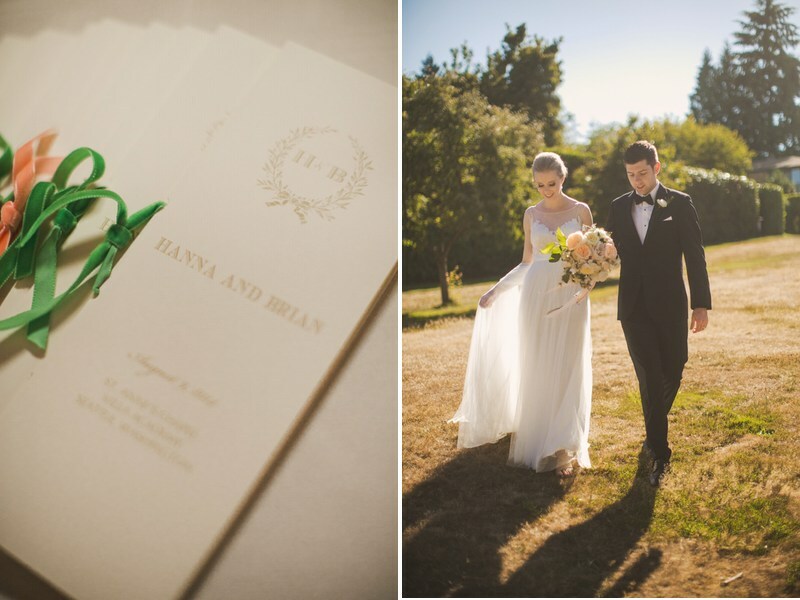 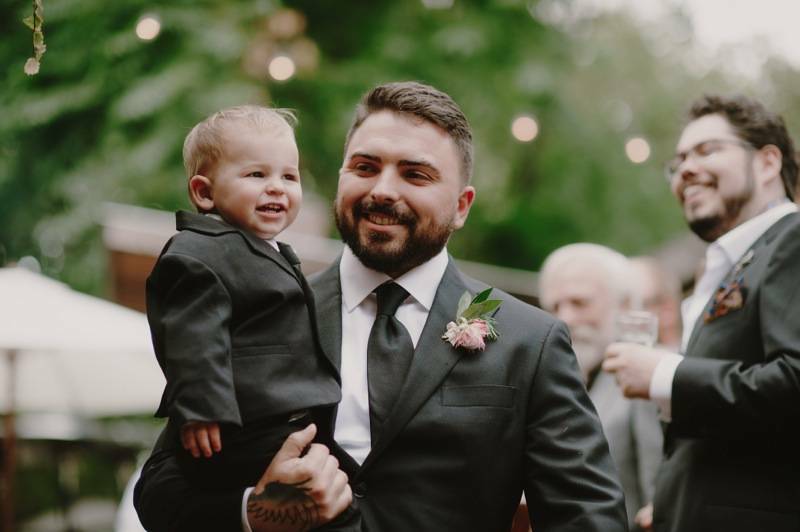 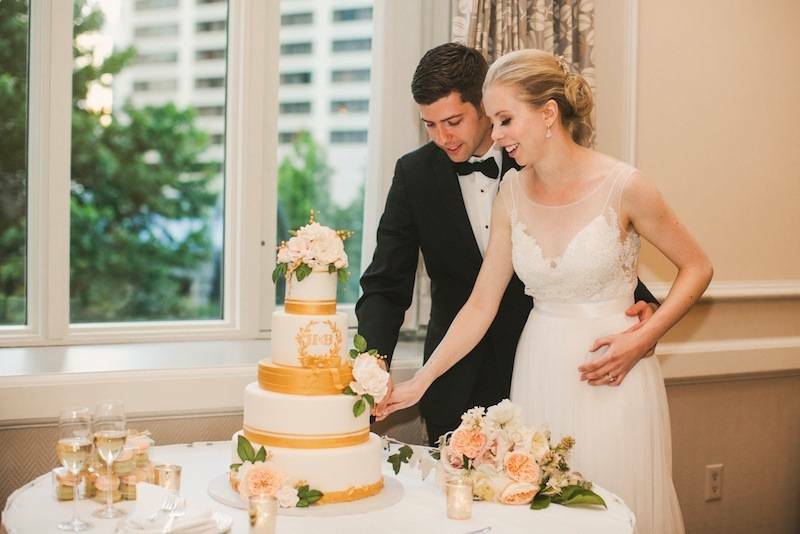 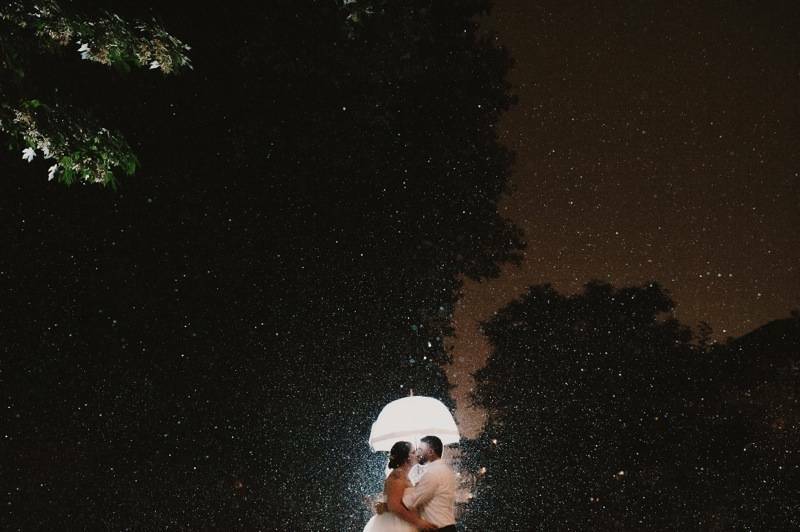 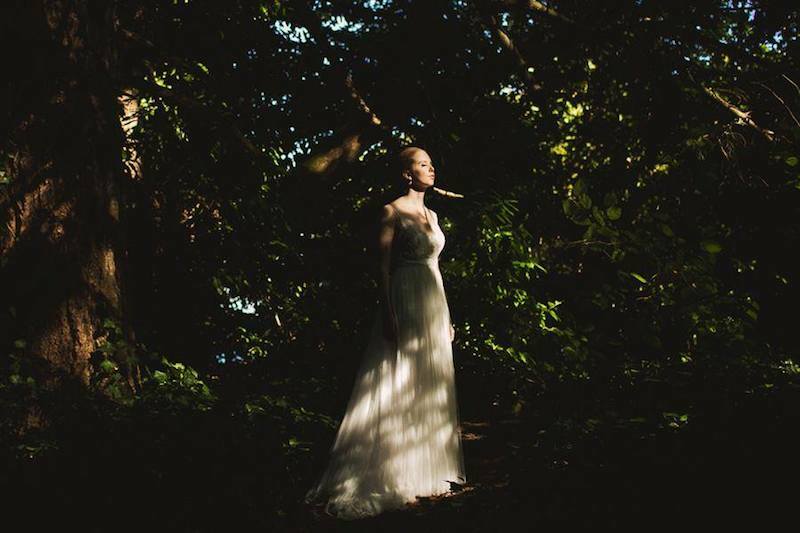 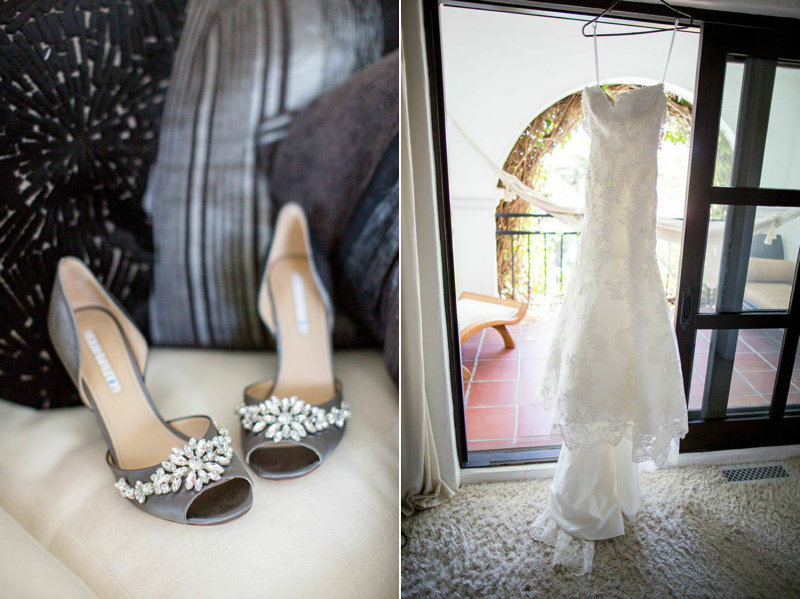 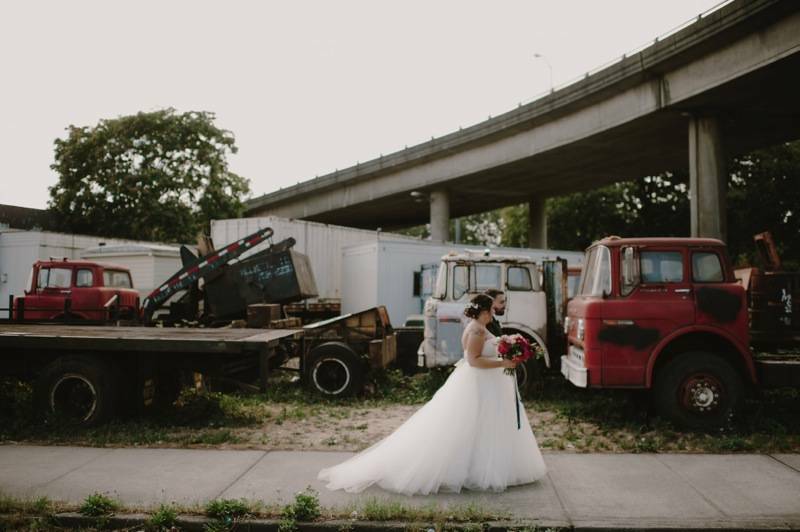 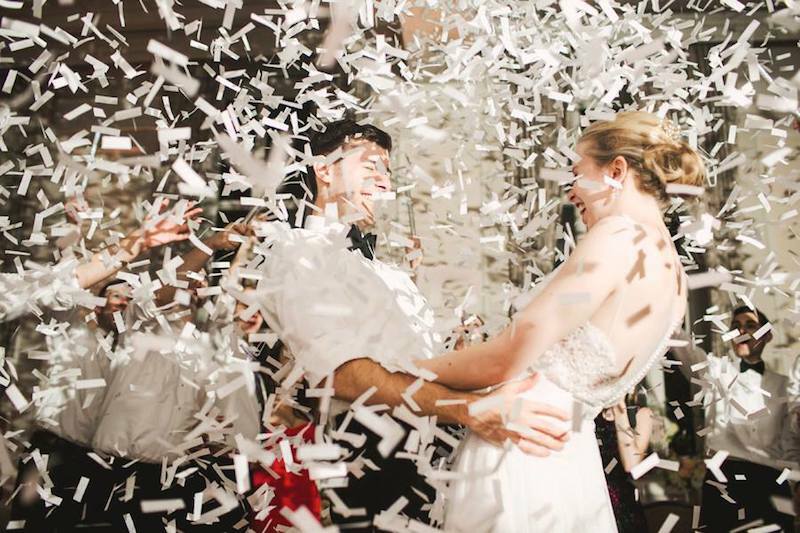 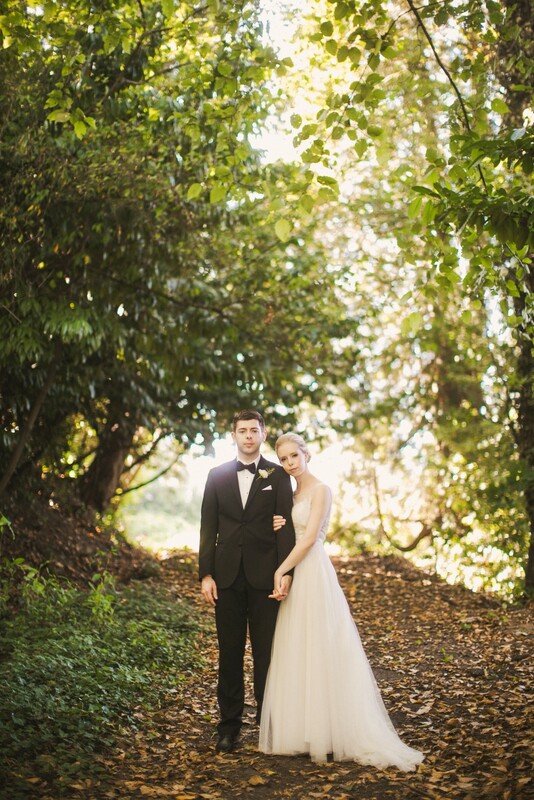 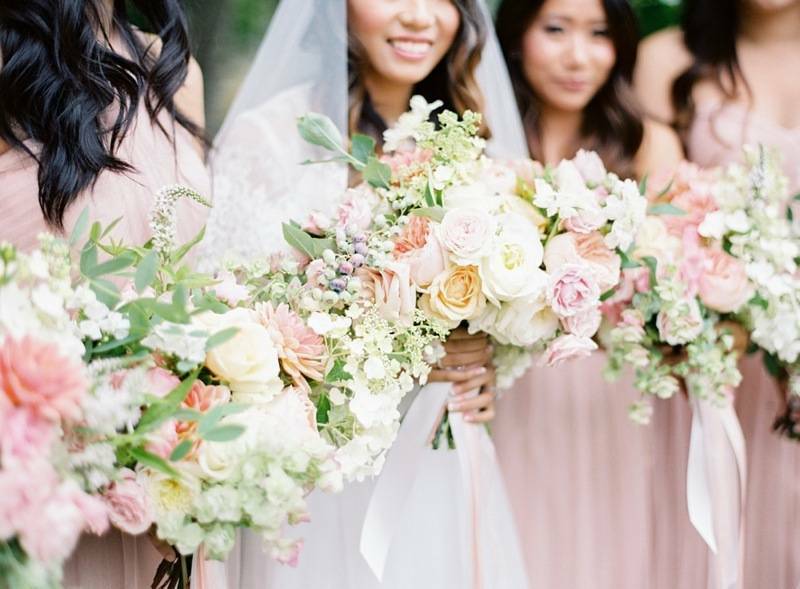 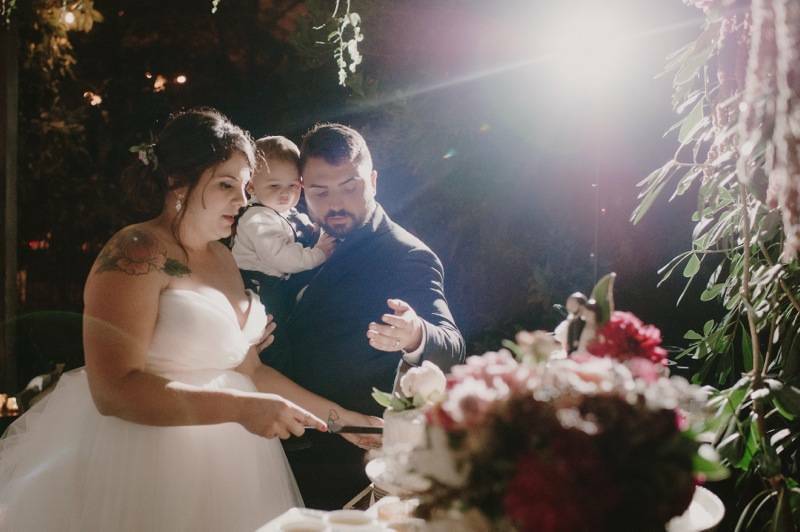 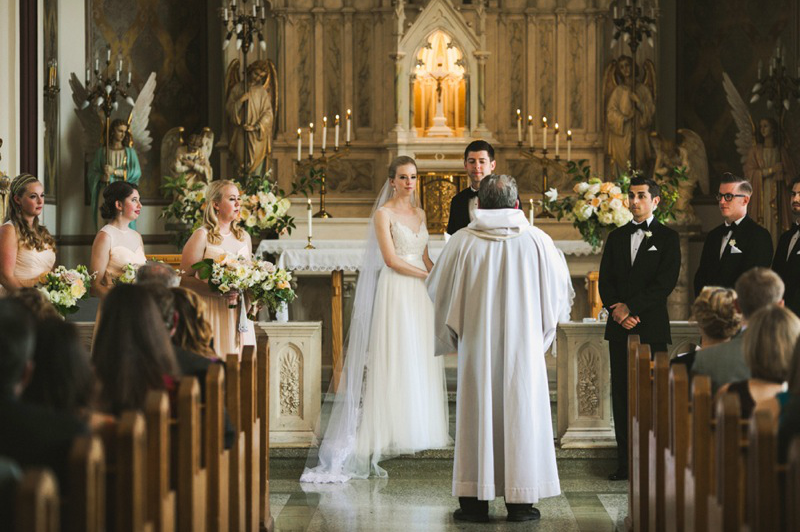 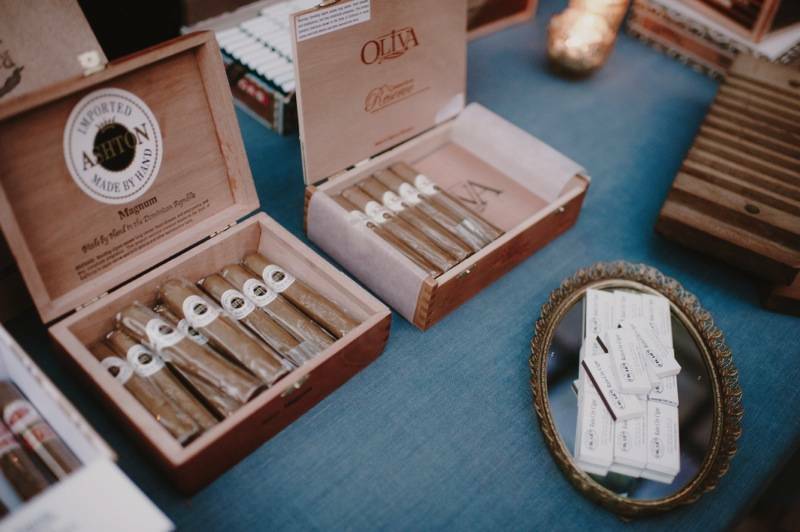 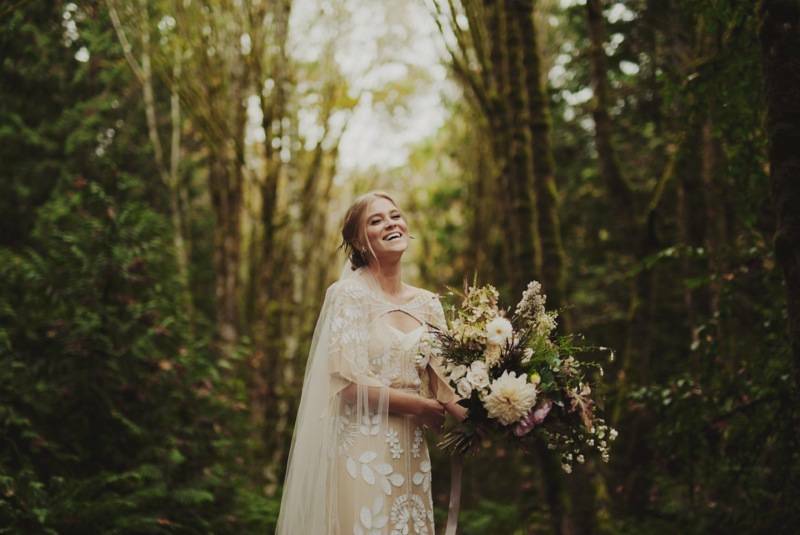 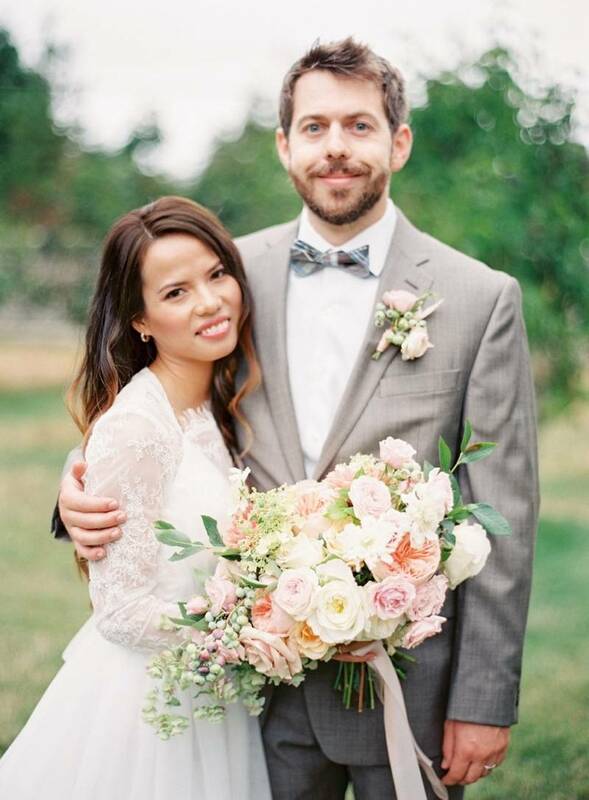 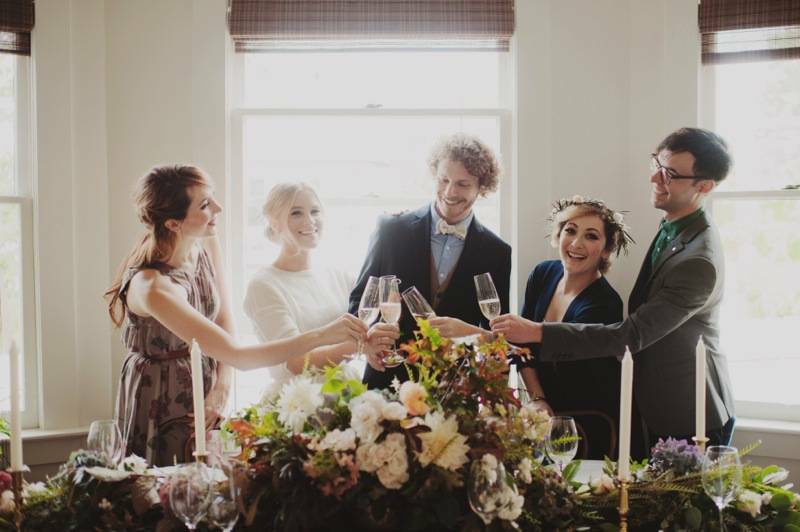 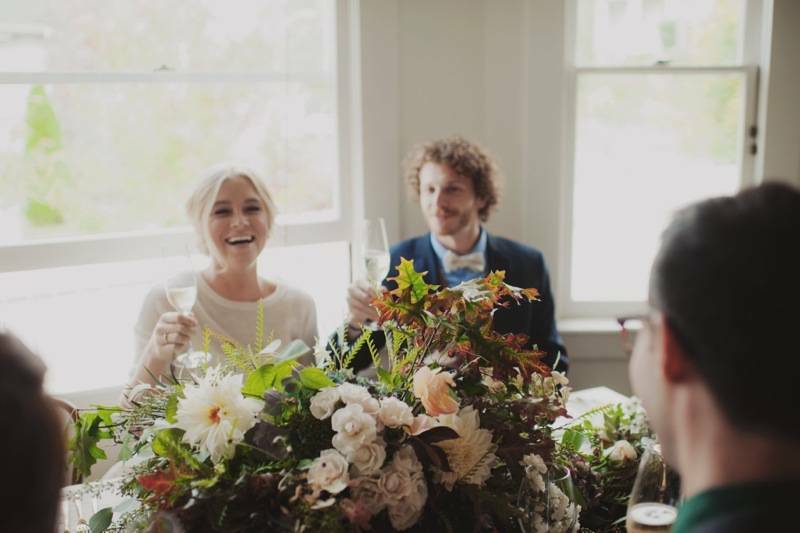 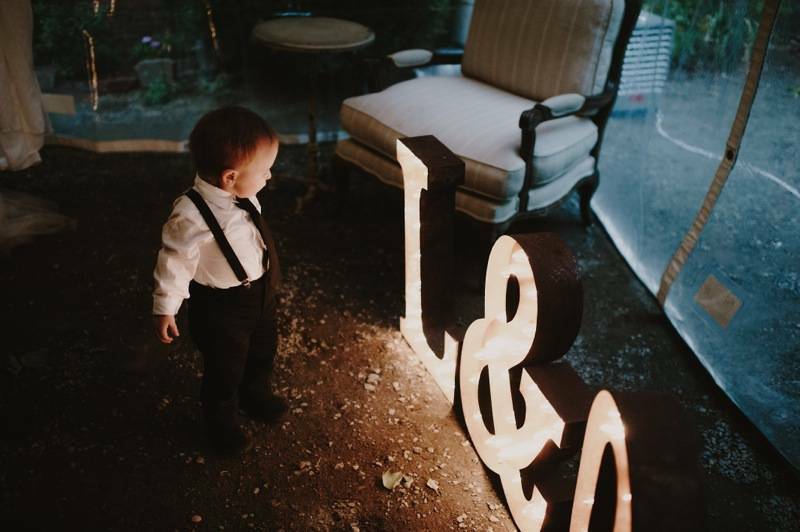 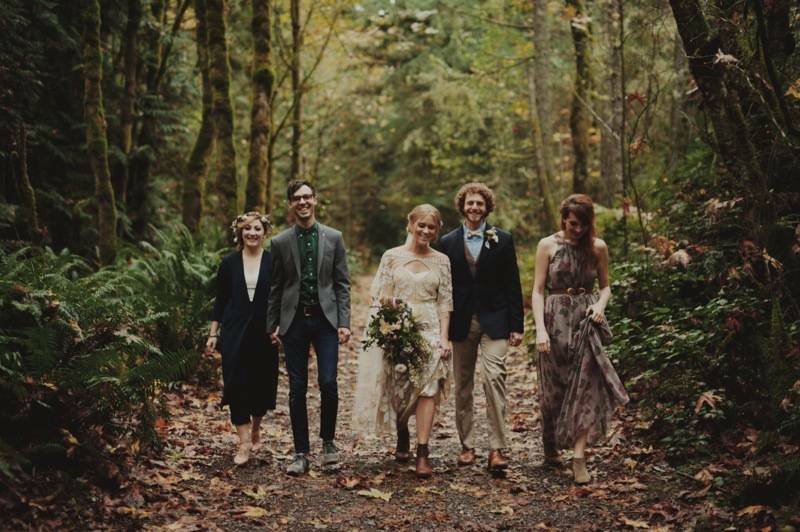 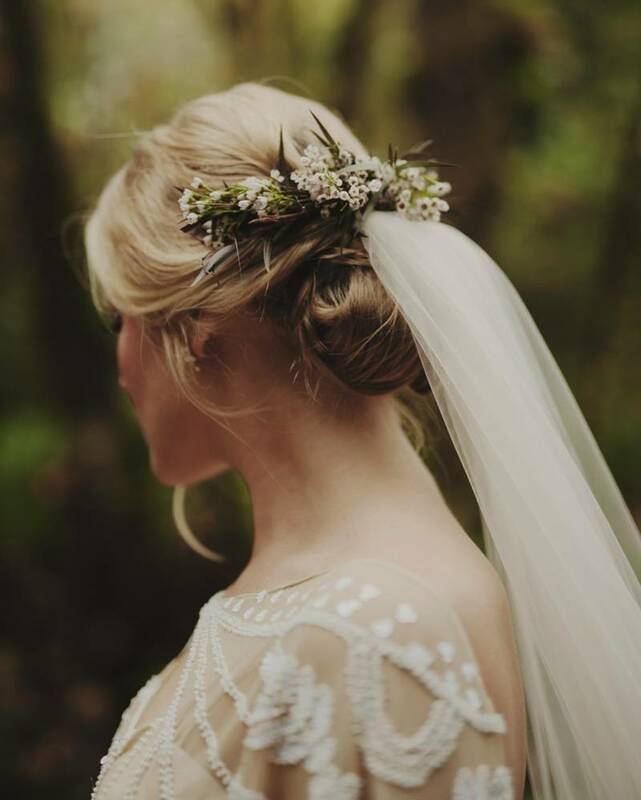 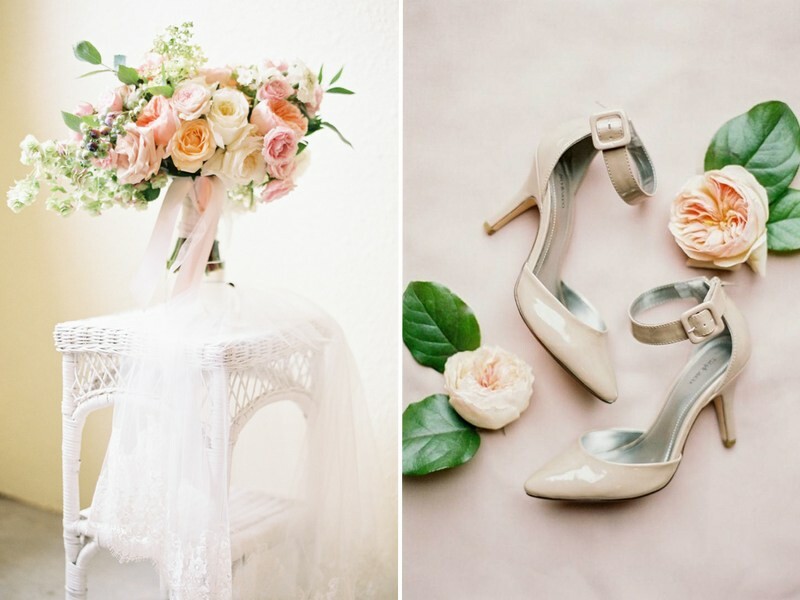 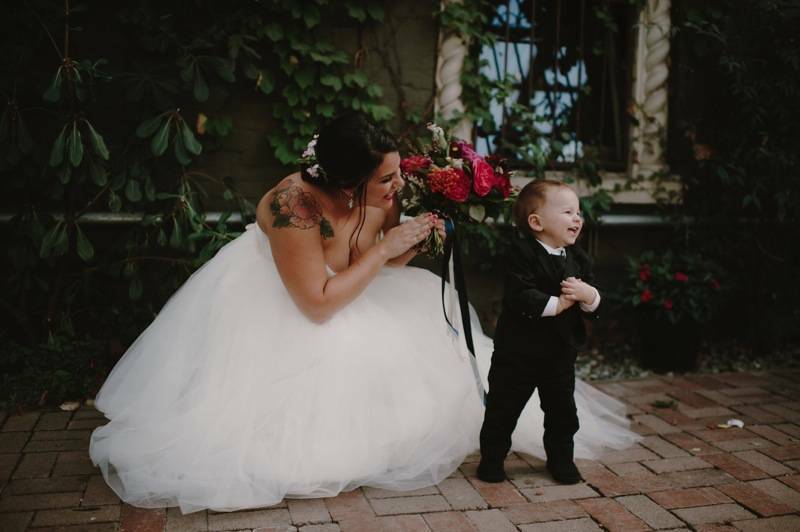 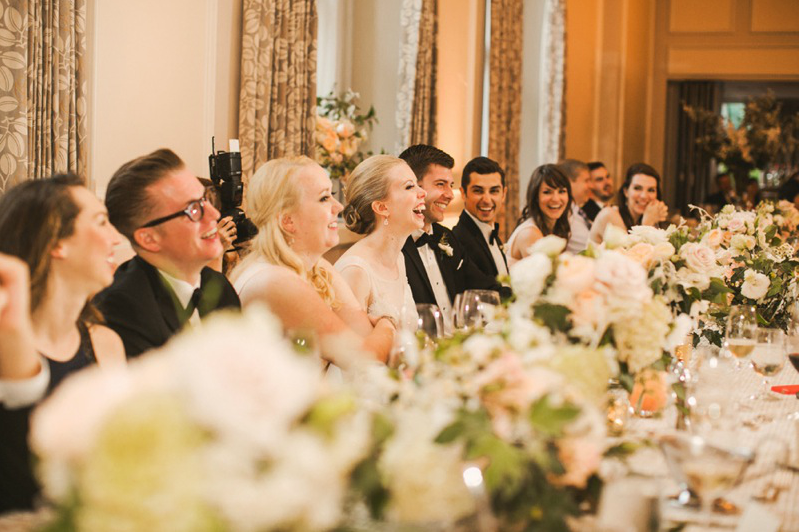 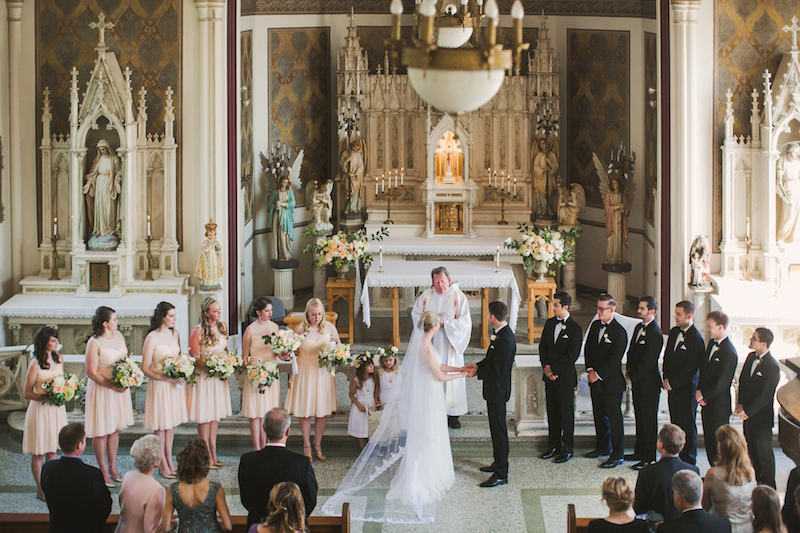 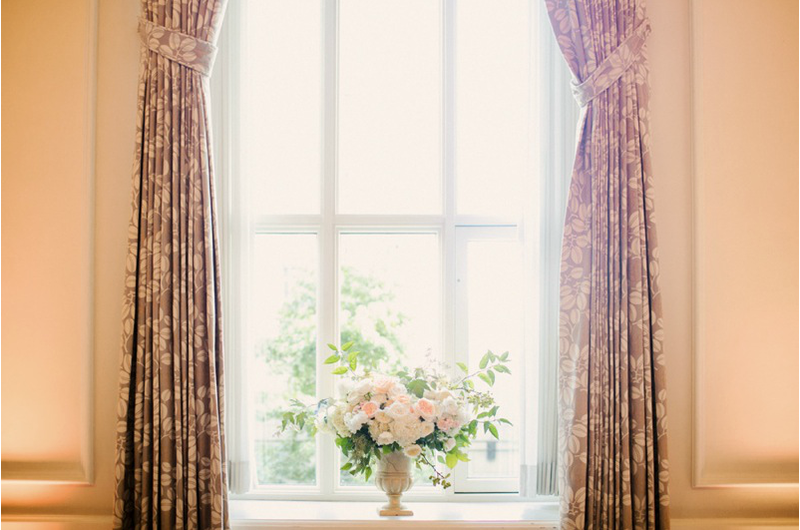 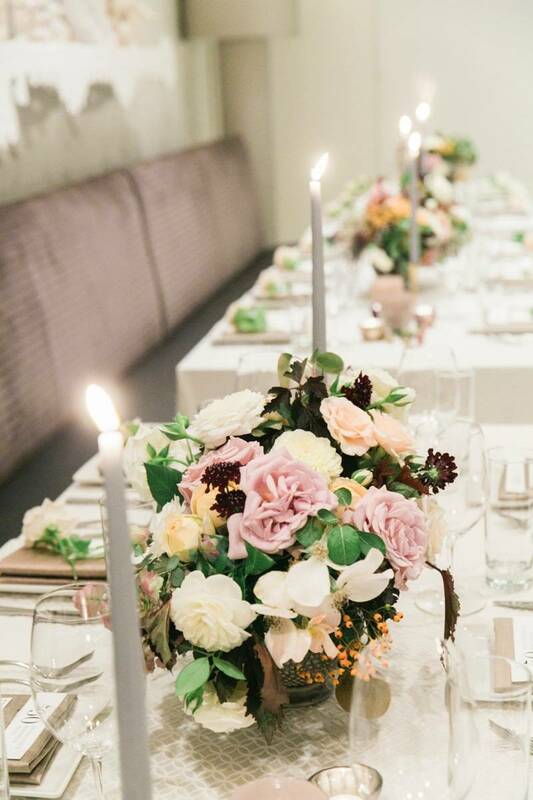 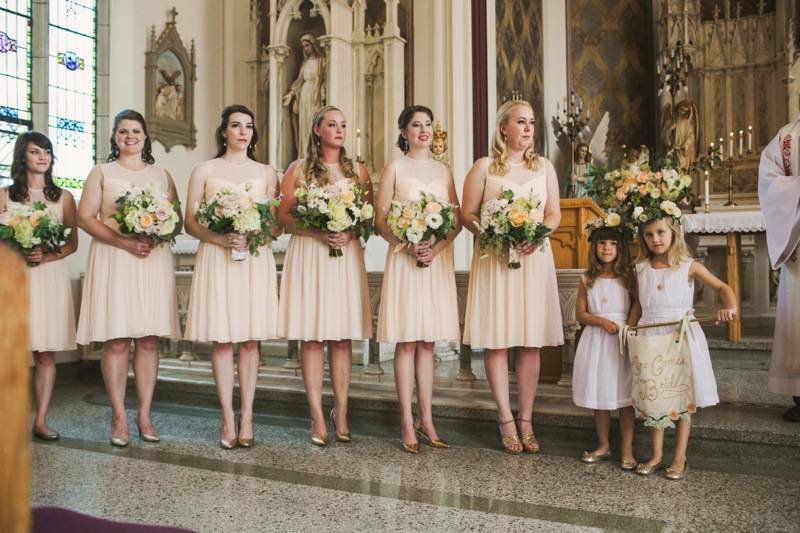 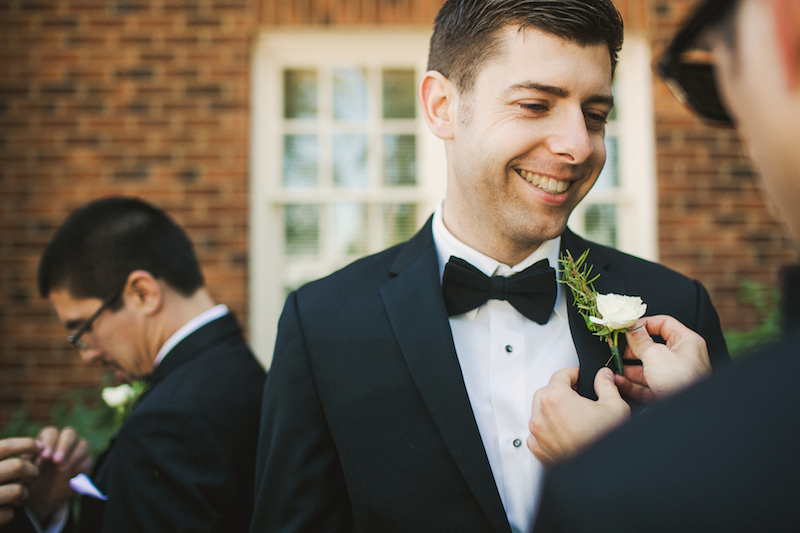 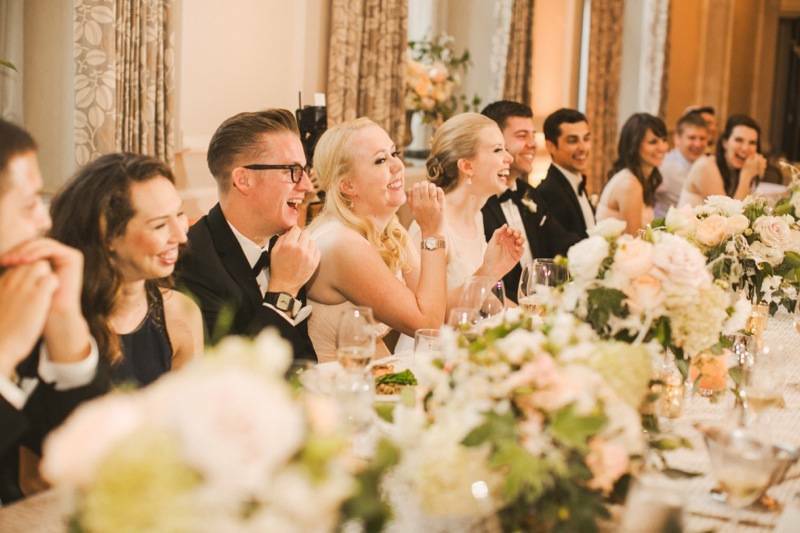 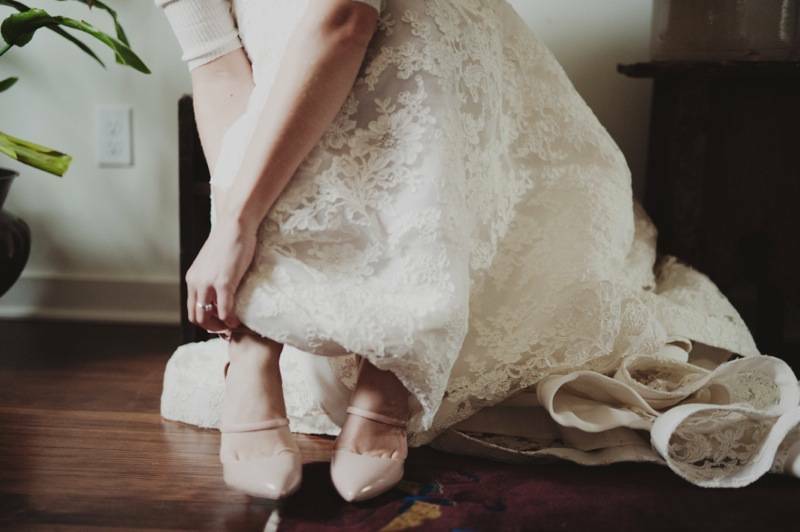 This lovely wedding was featured on Style Me Pretty last week – you can see the full gallery of images from Coco Tran here. 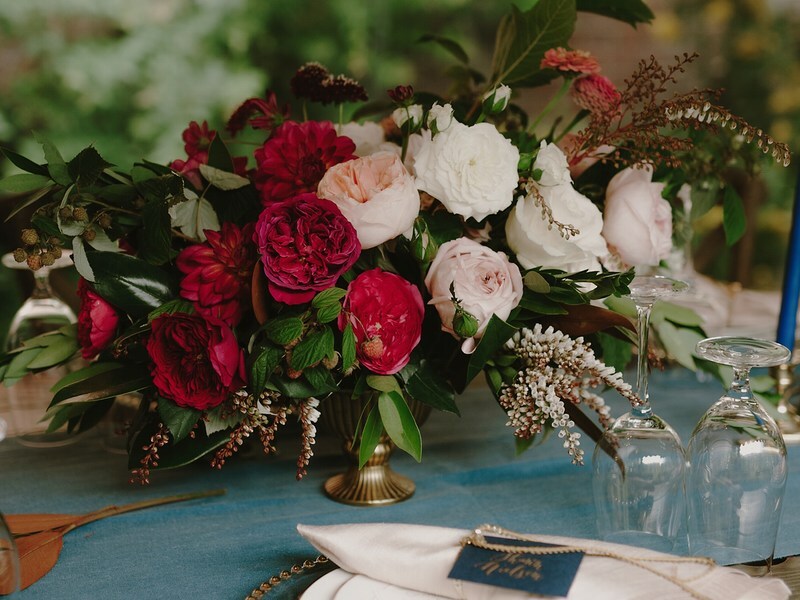 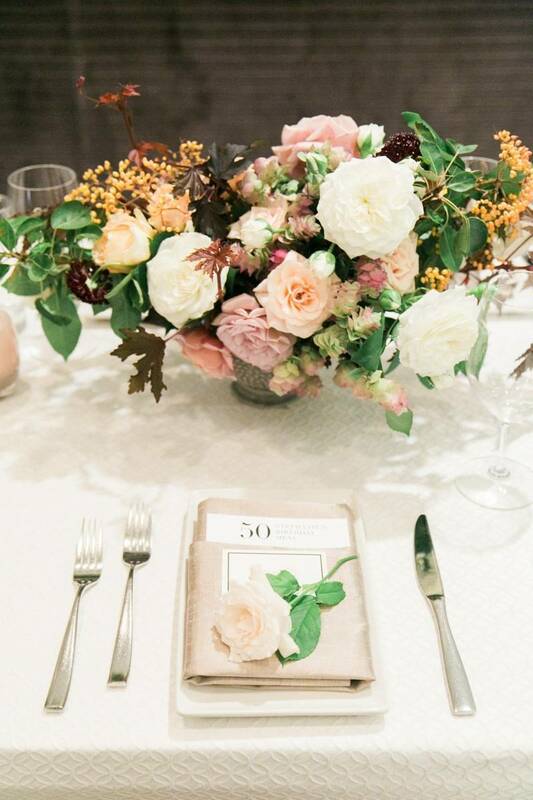 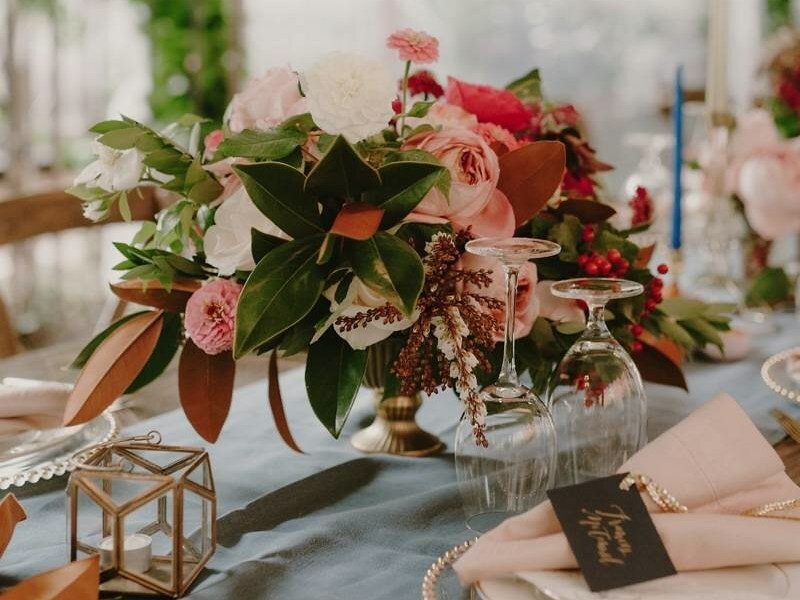 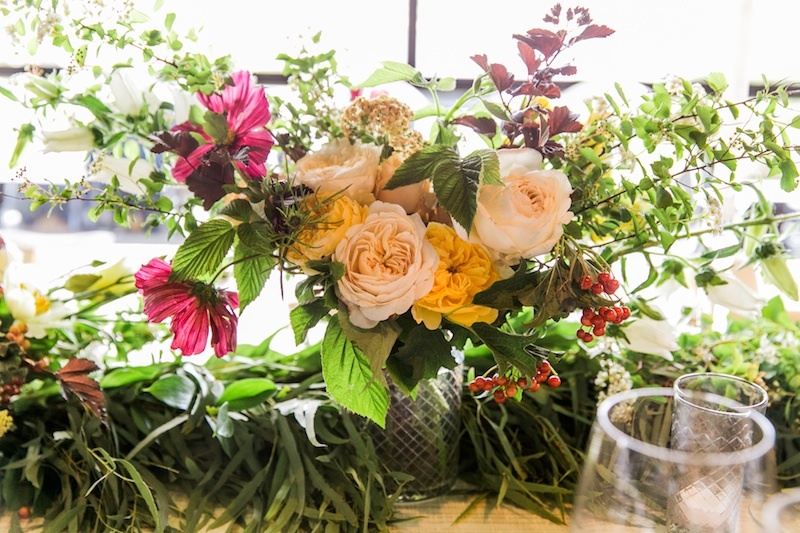 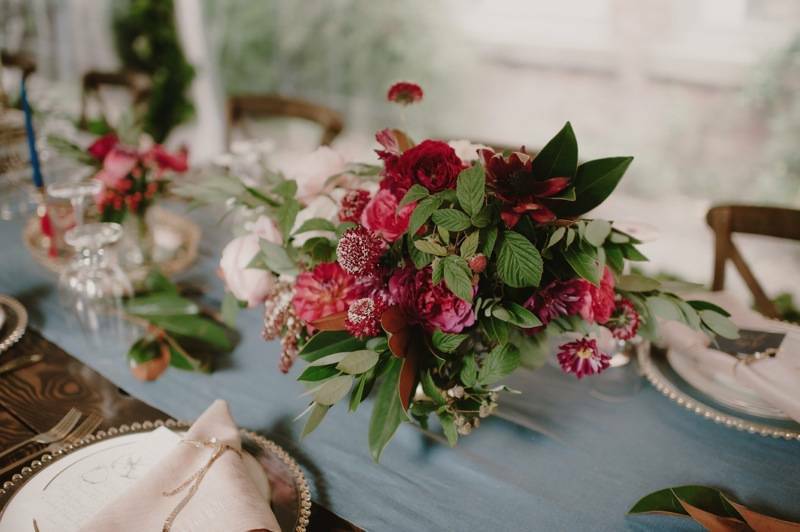 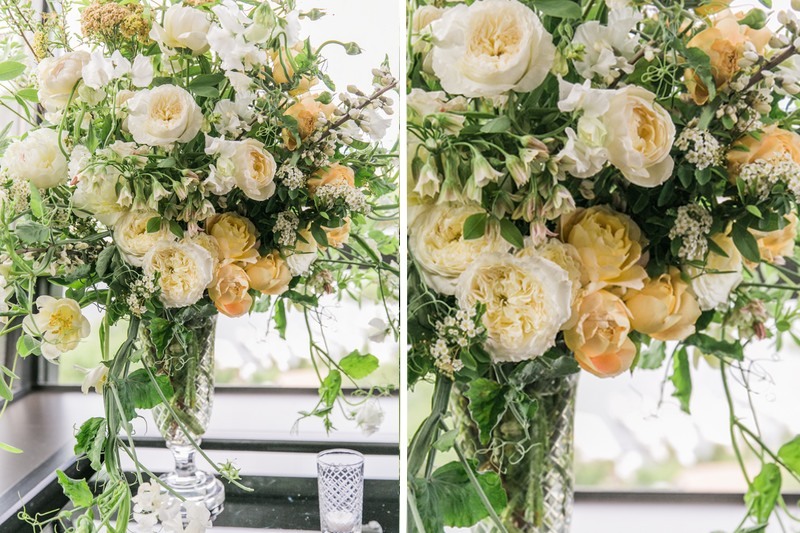 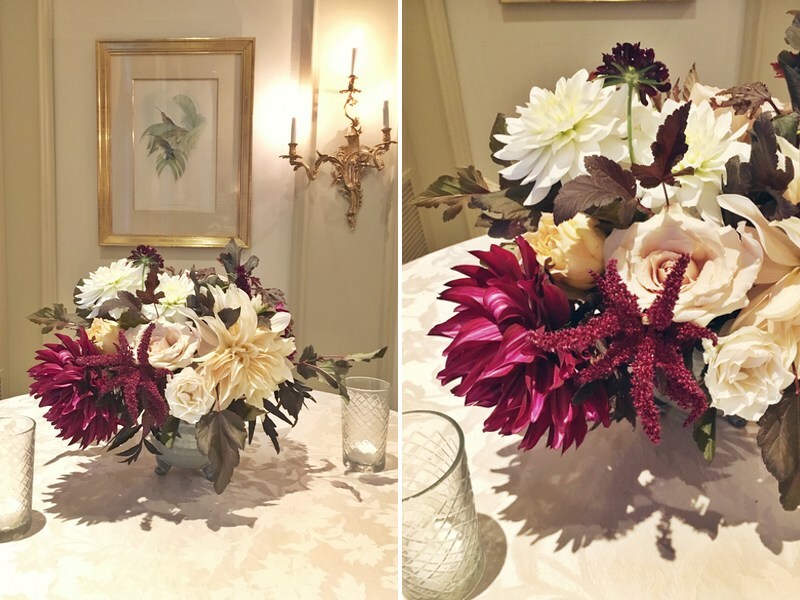 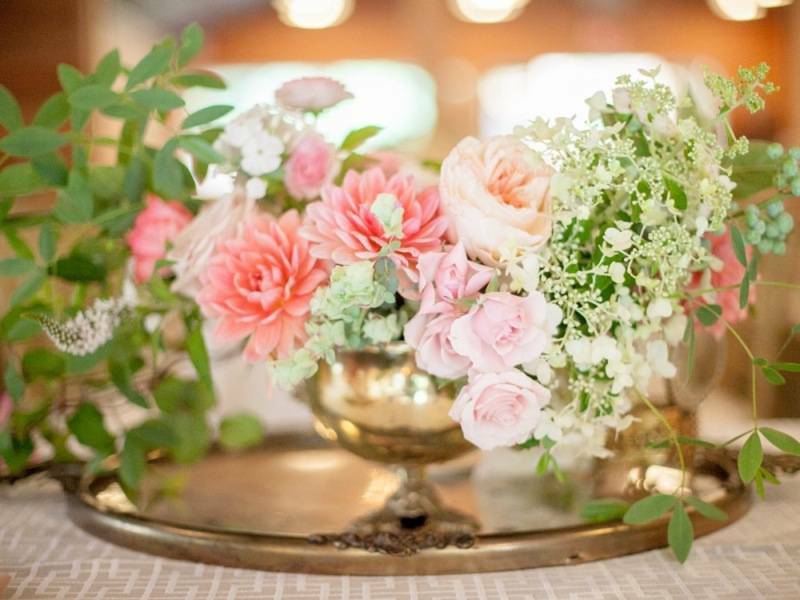 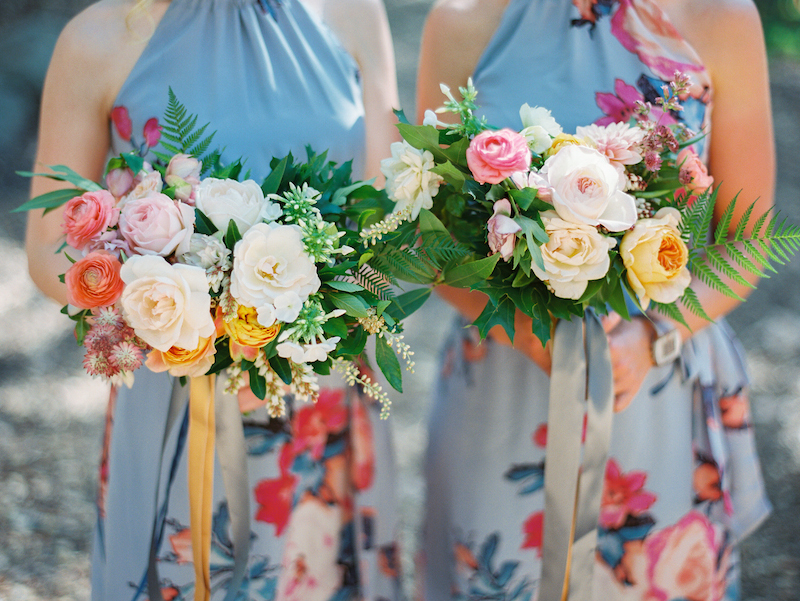 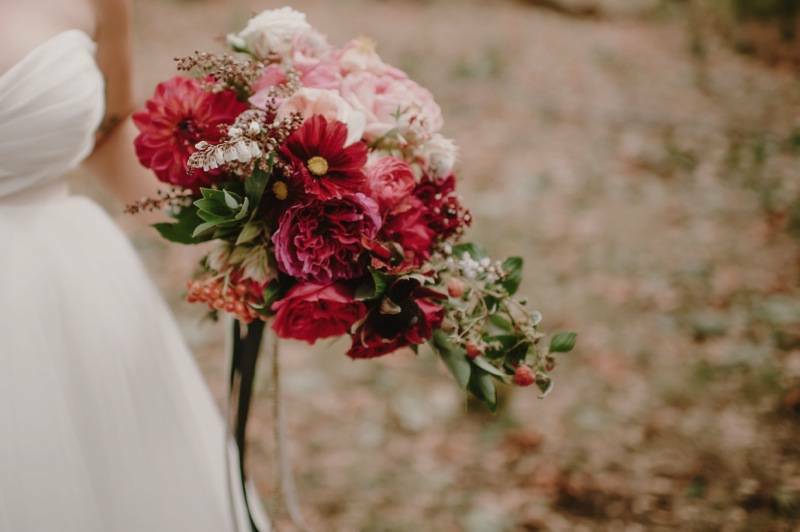 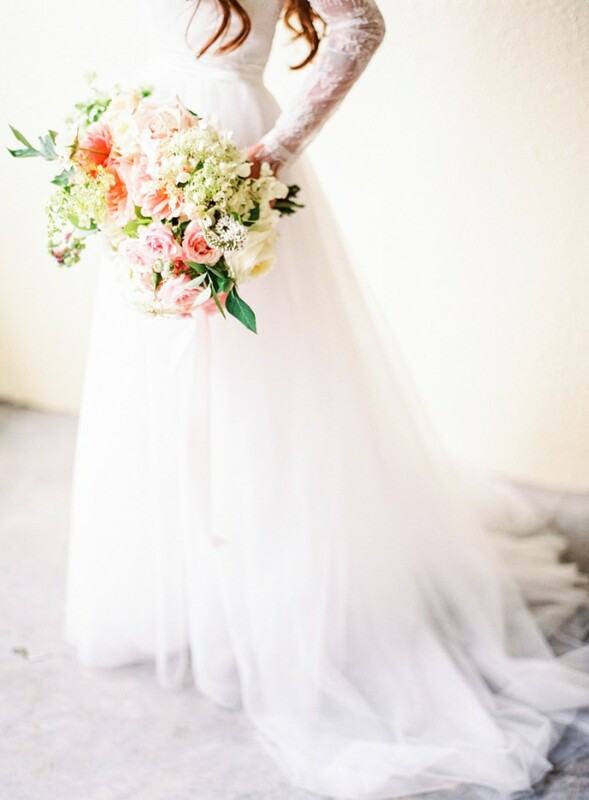 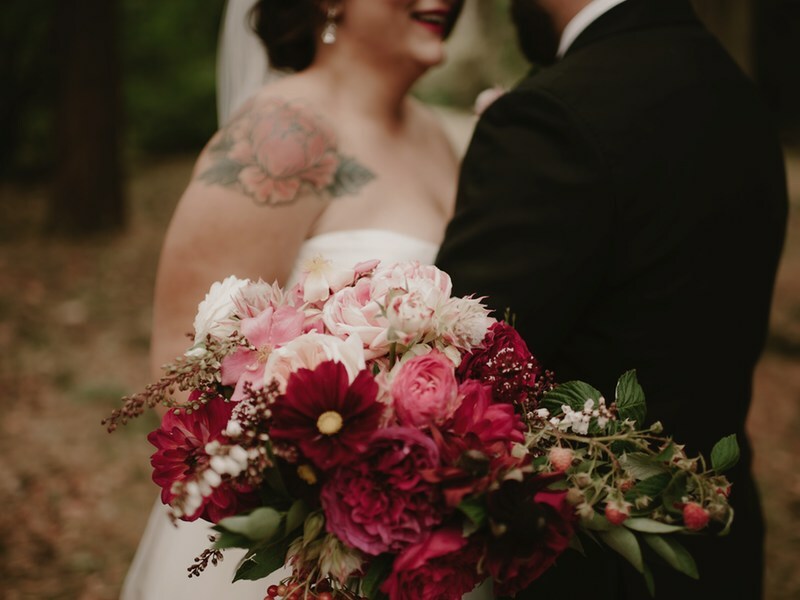 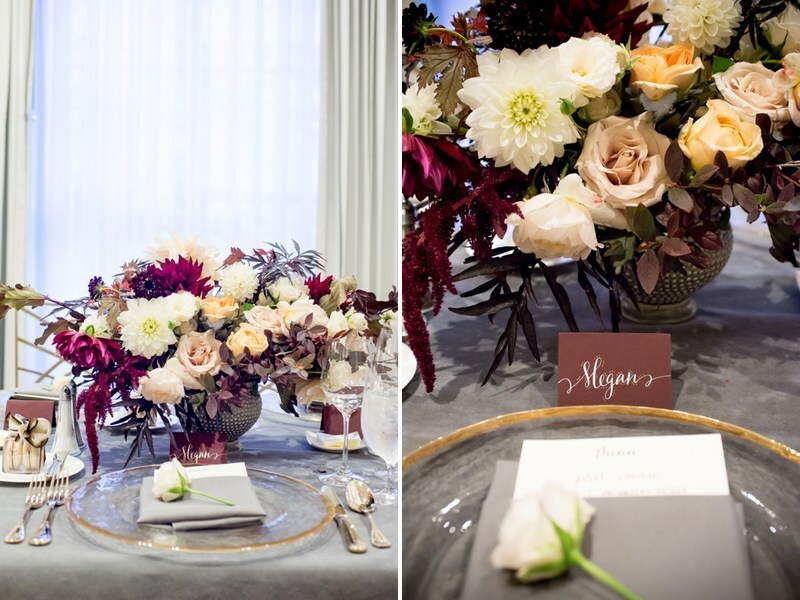 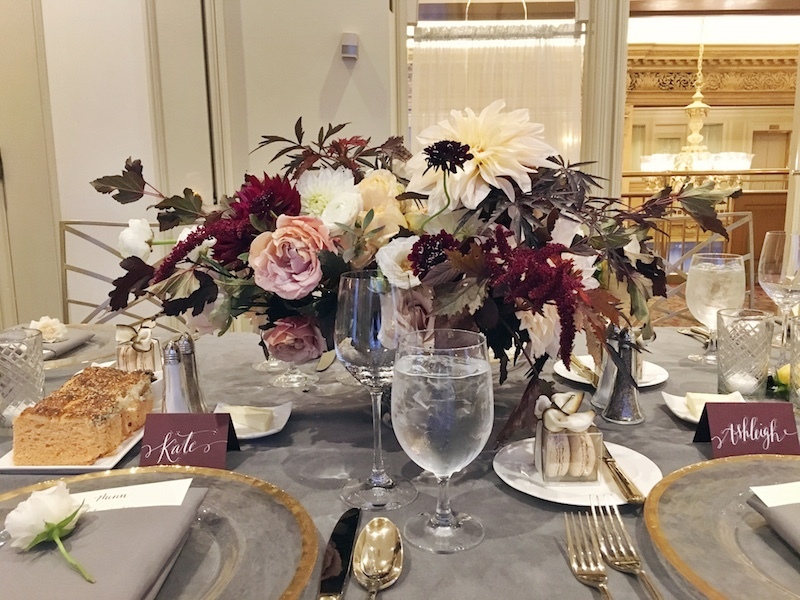 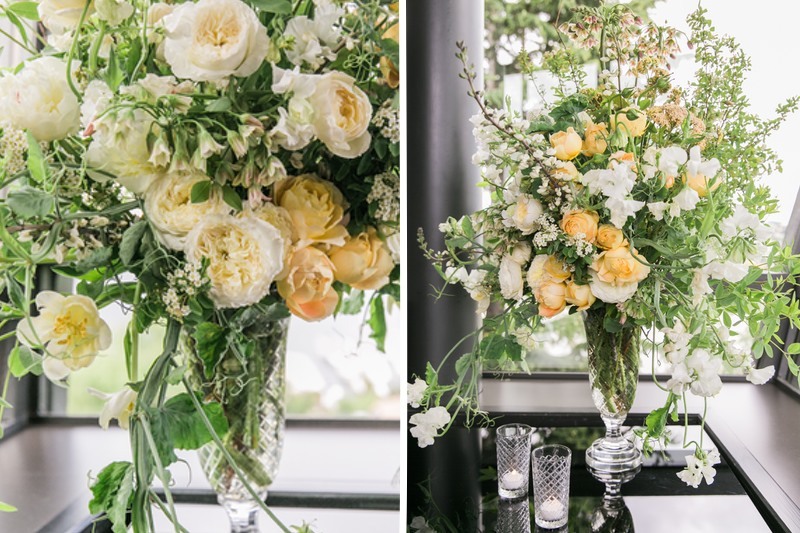 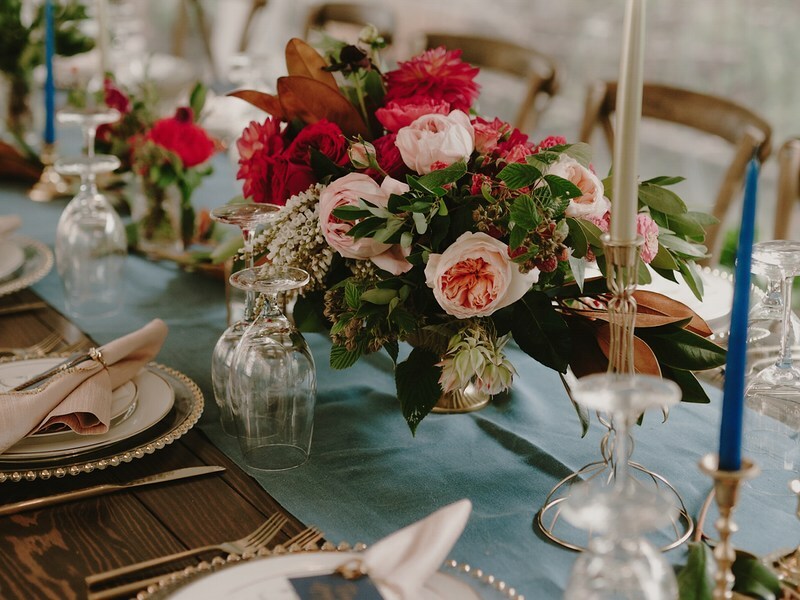 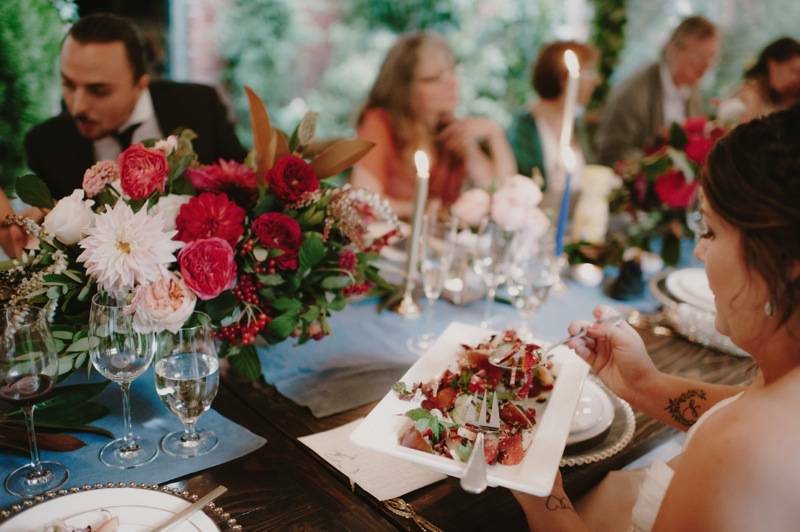 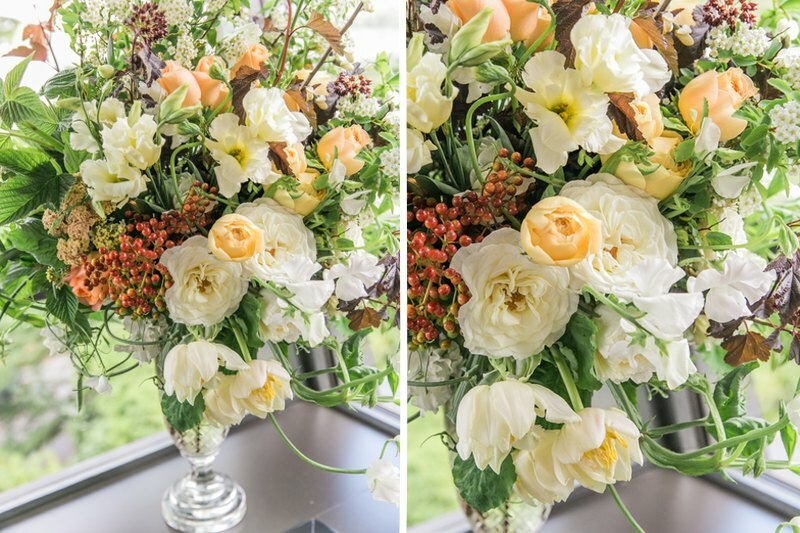 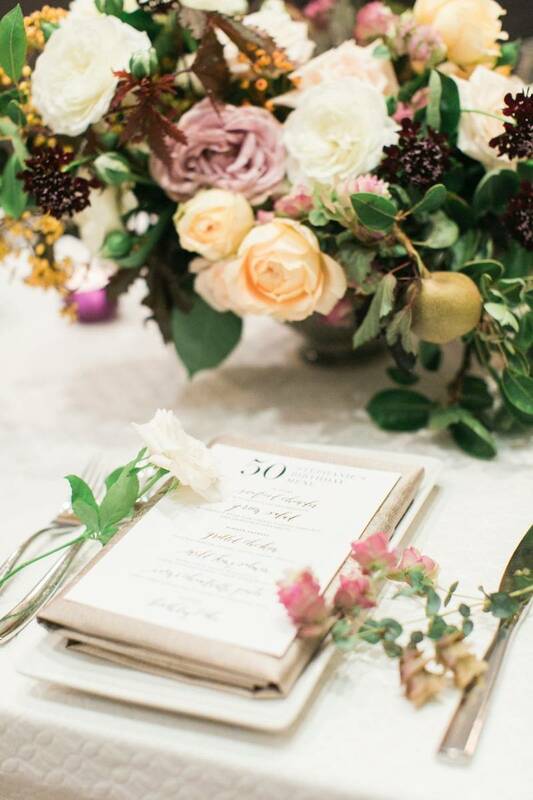 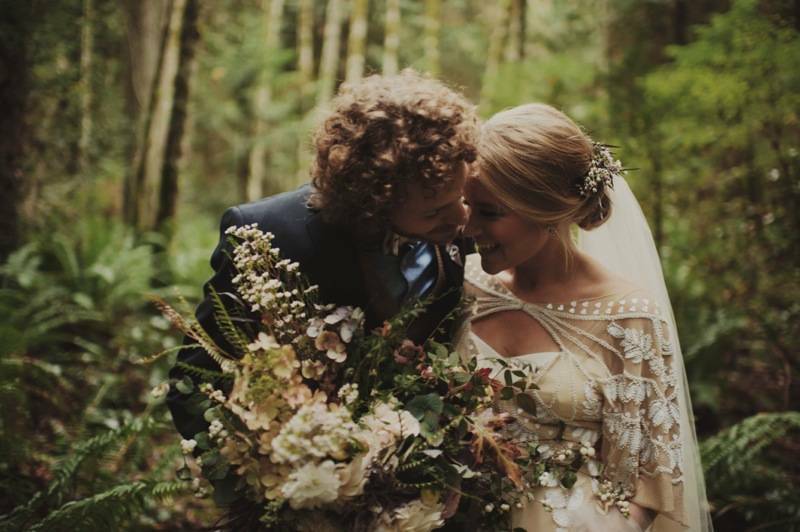 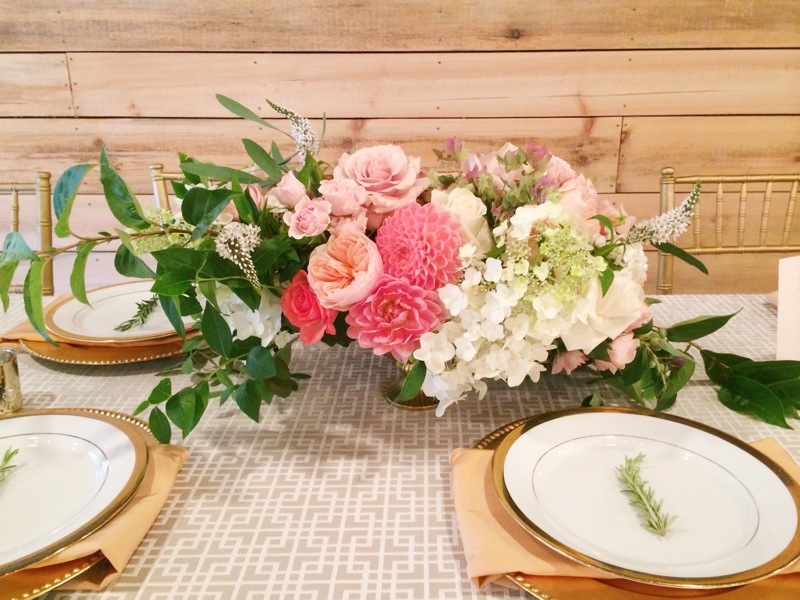 The garden inspired florals included local garden roses and dahlias, fresh blueberry branches, clematis, Annabelle hydrangea and Kent Beauty oregano. 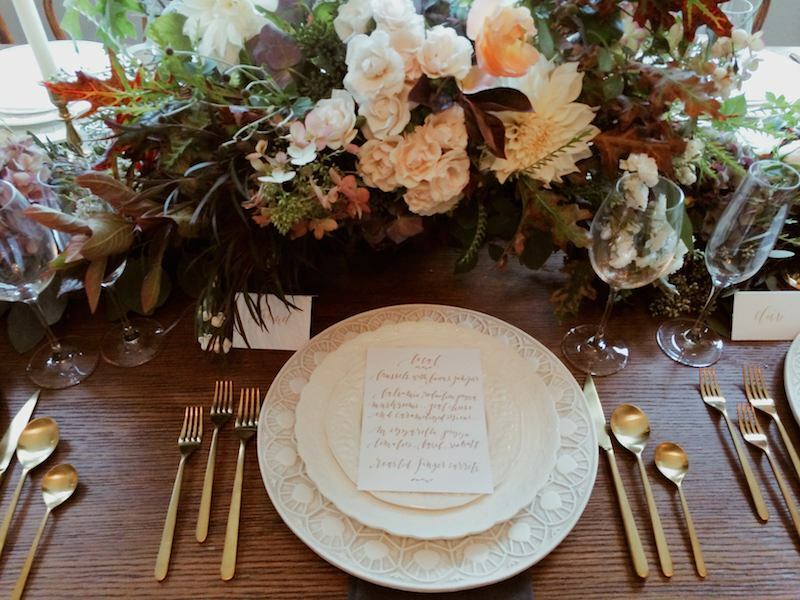 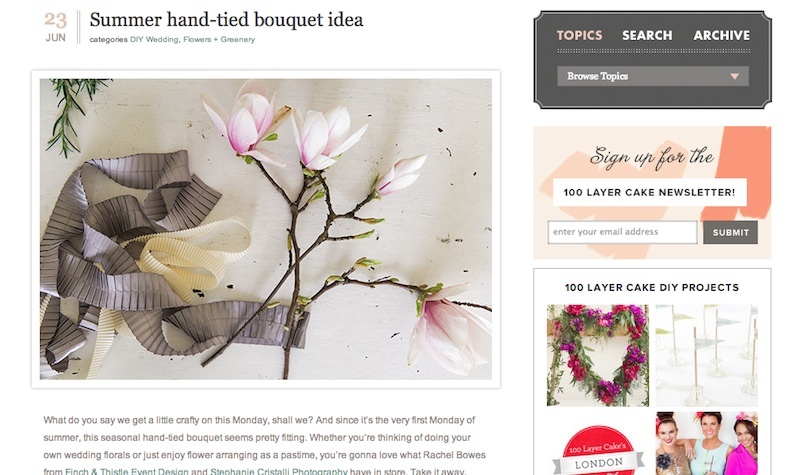 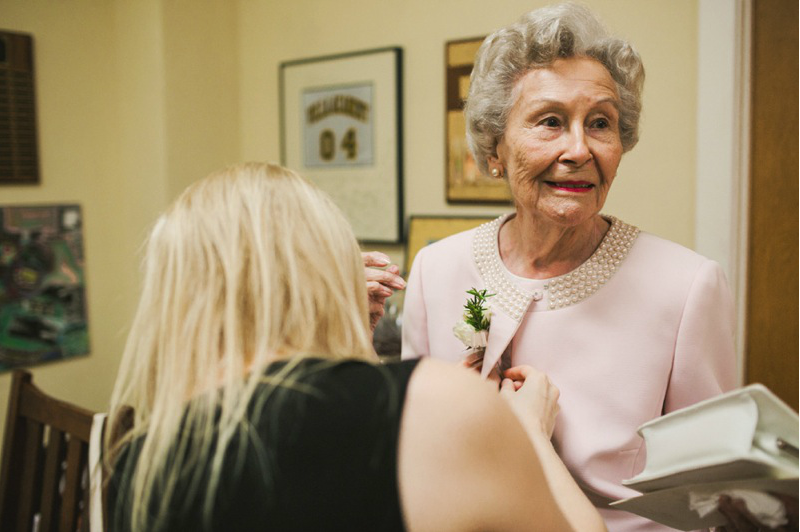 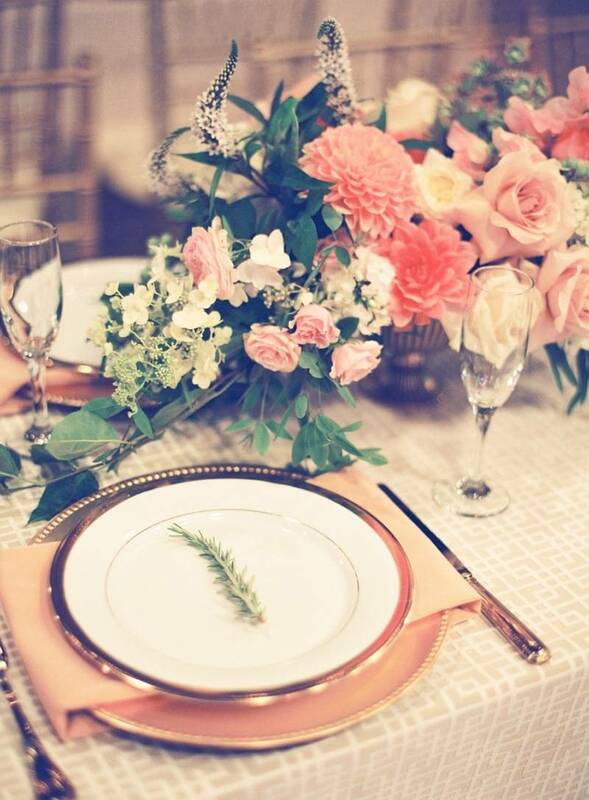 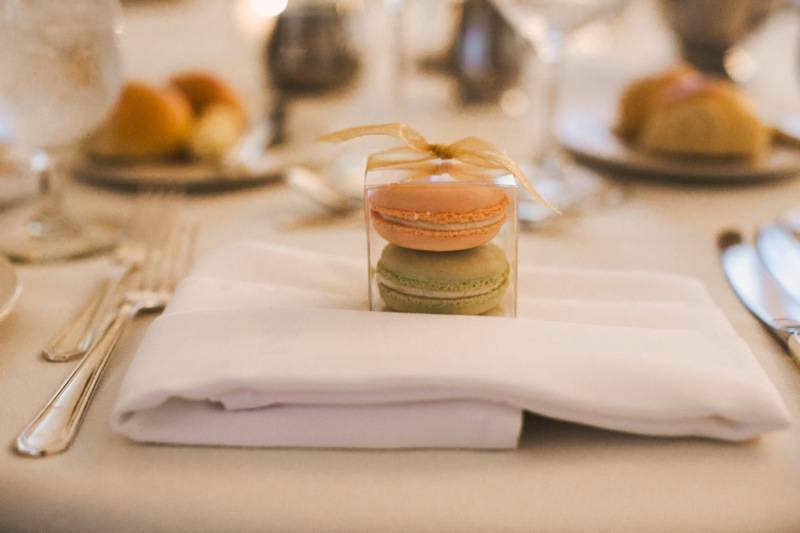 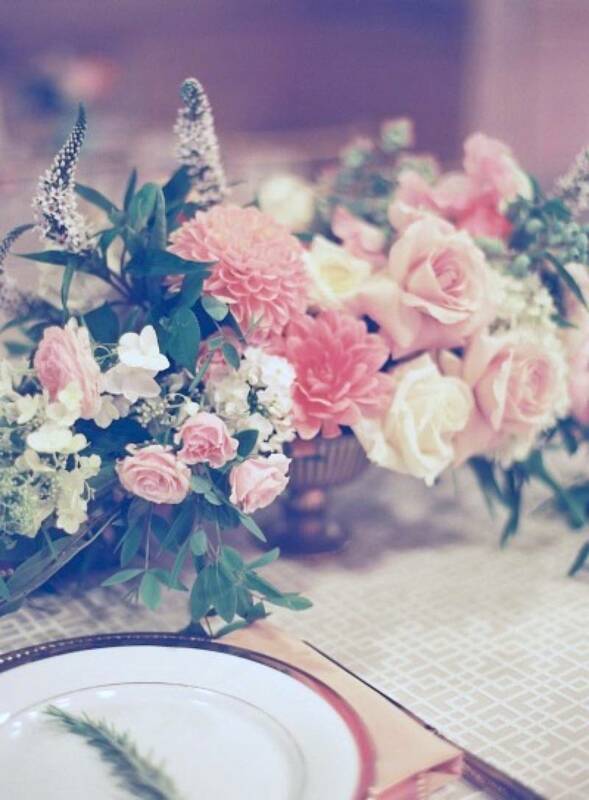 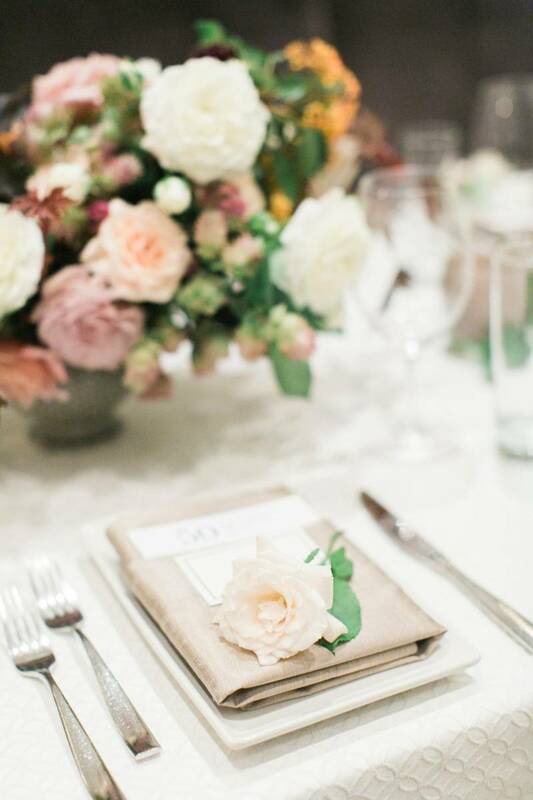 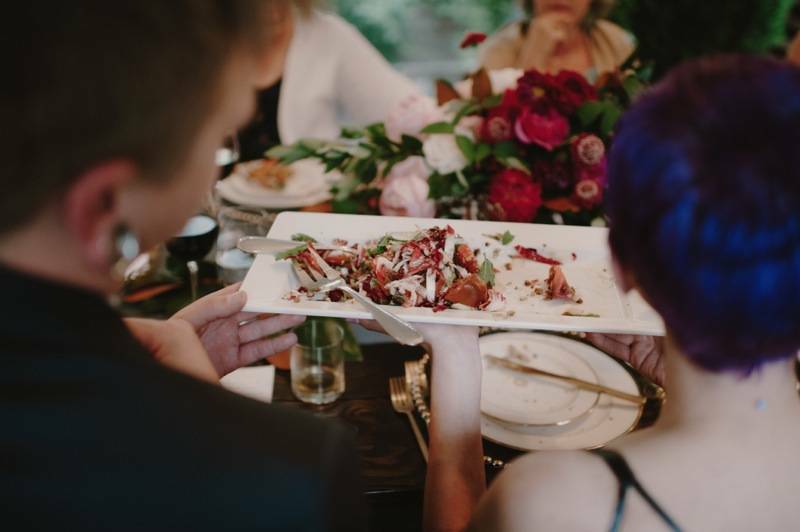 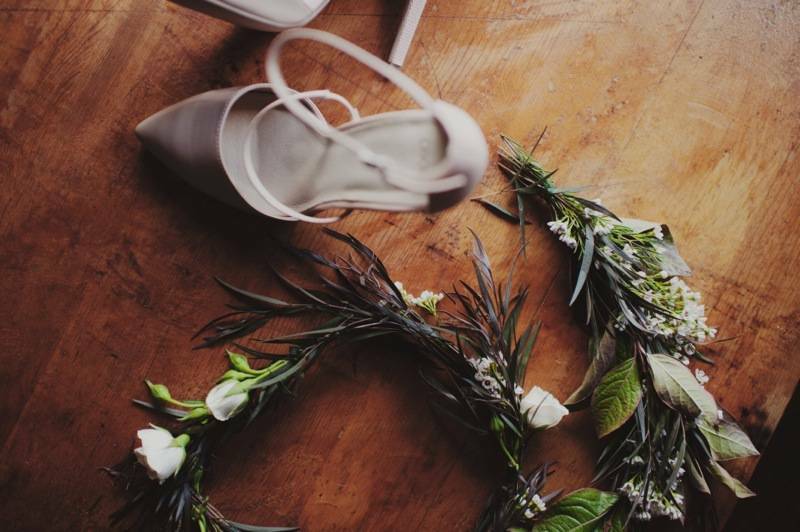 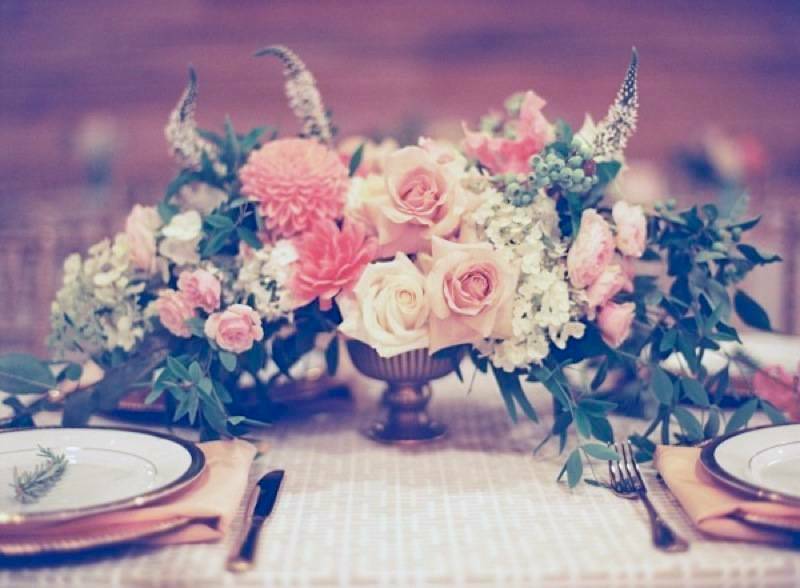 A sprig of rosemary at each place setting added a fragrant touch. 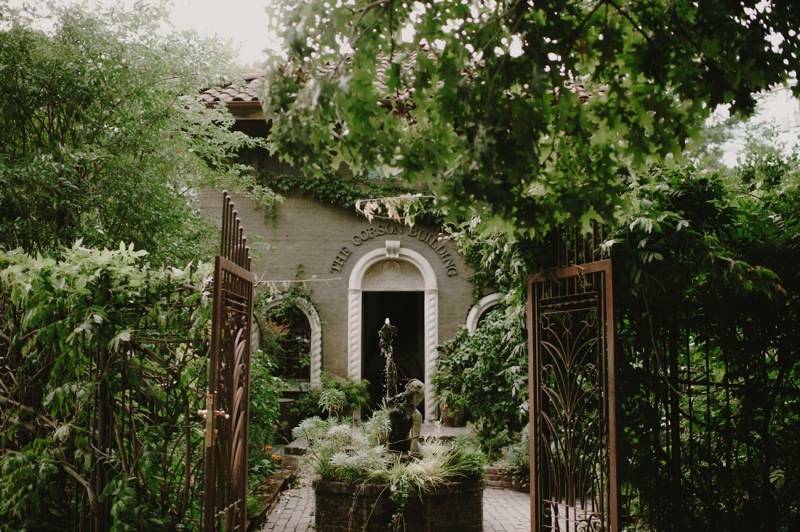 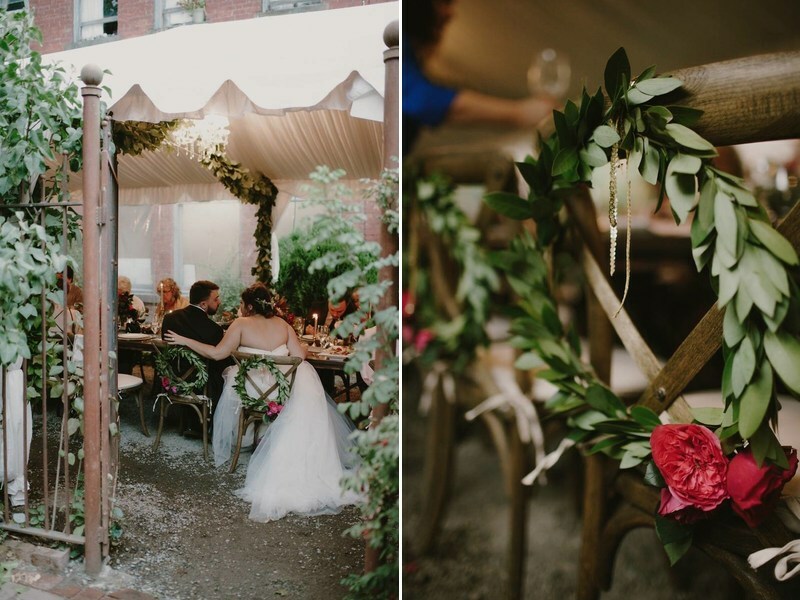 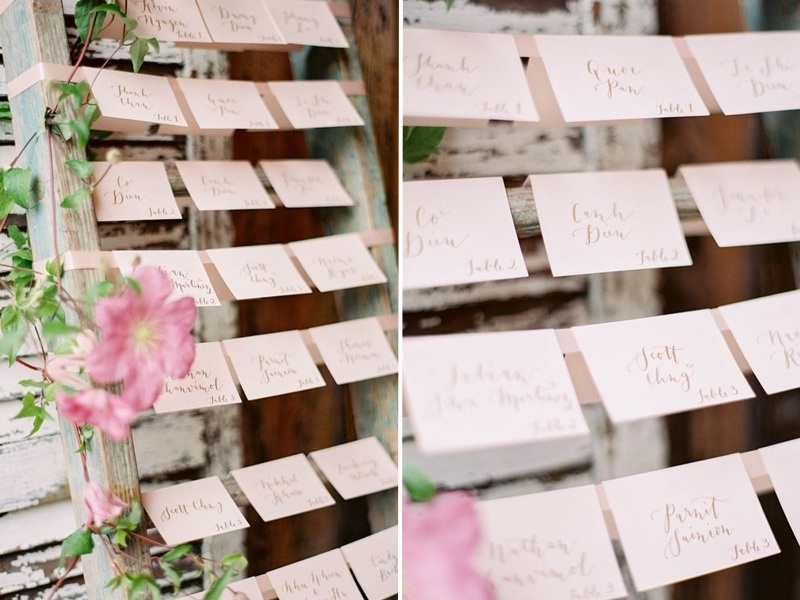 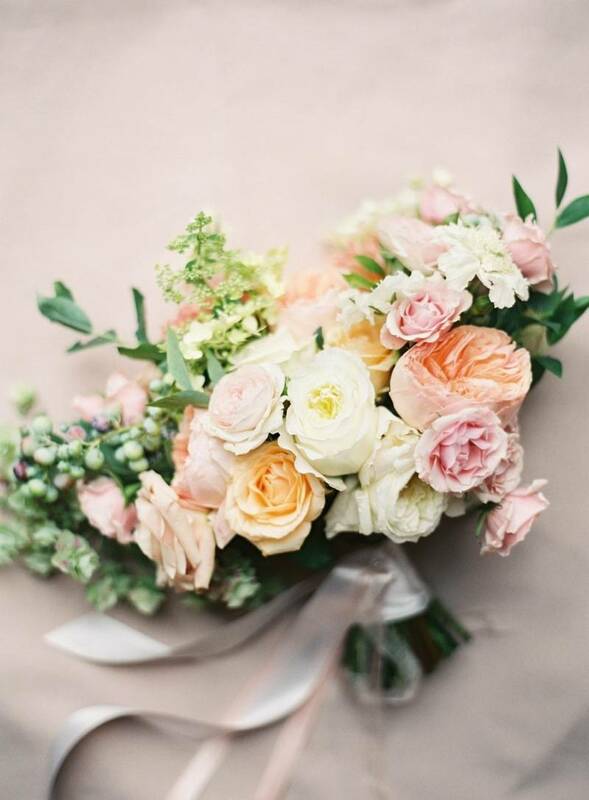 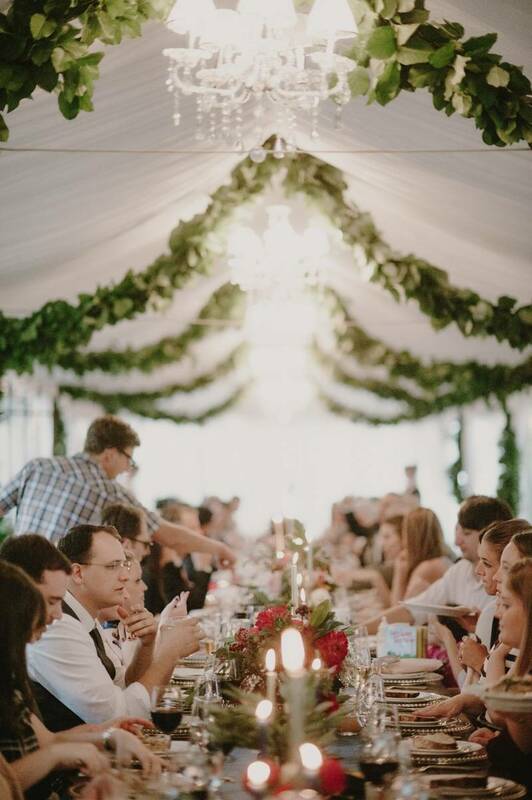 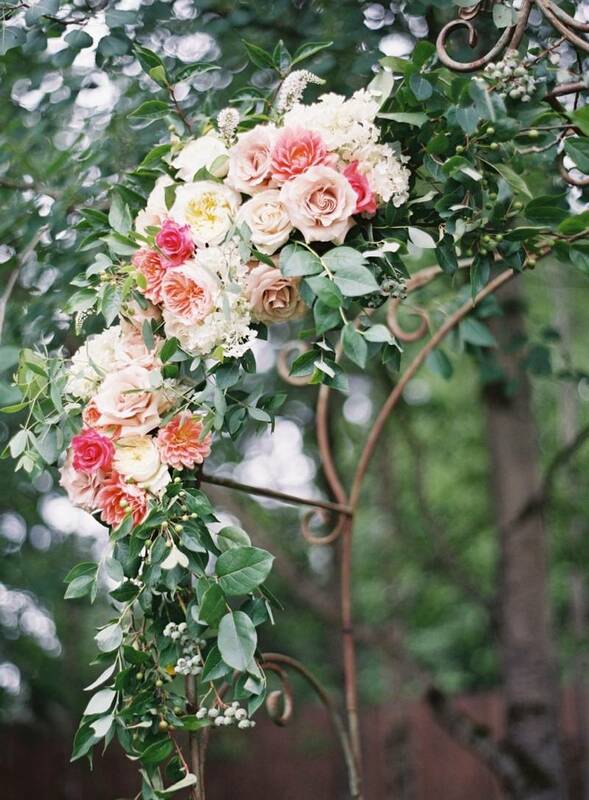 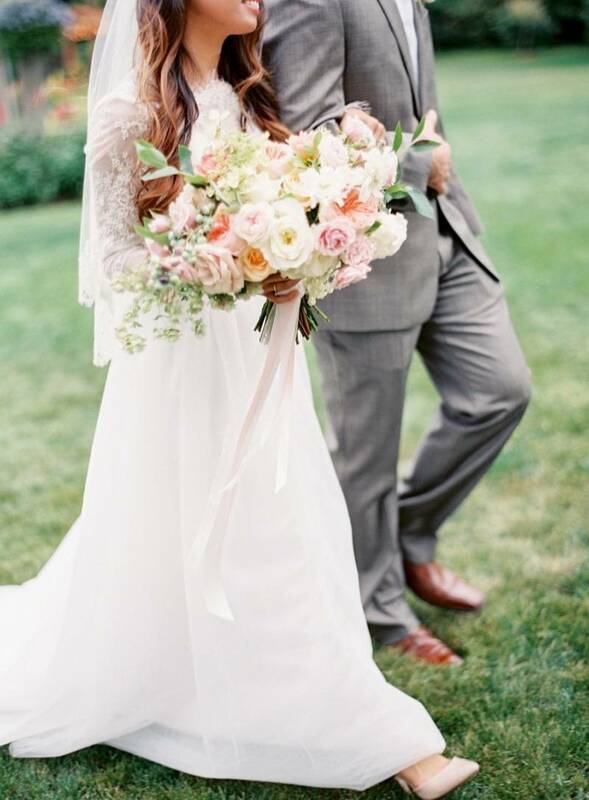 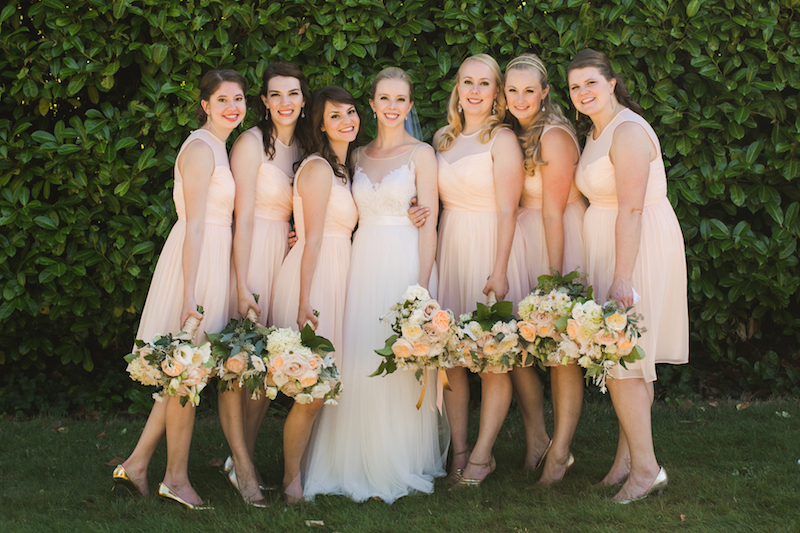 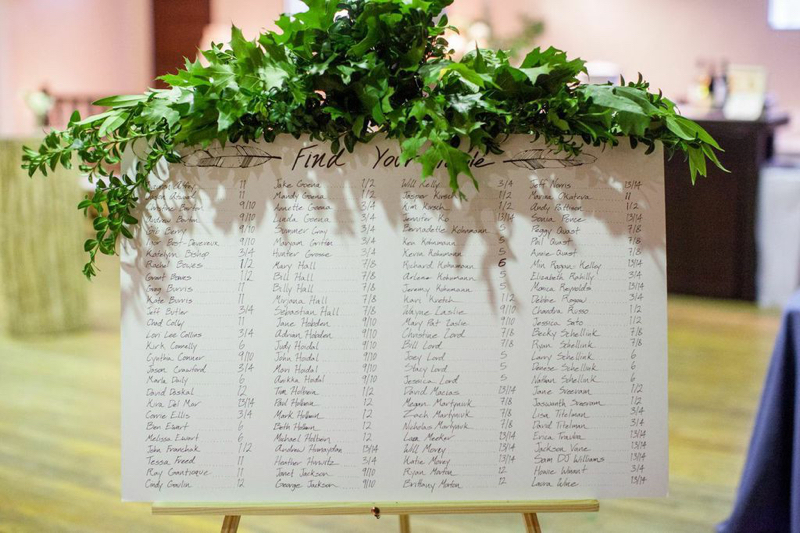 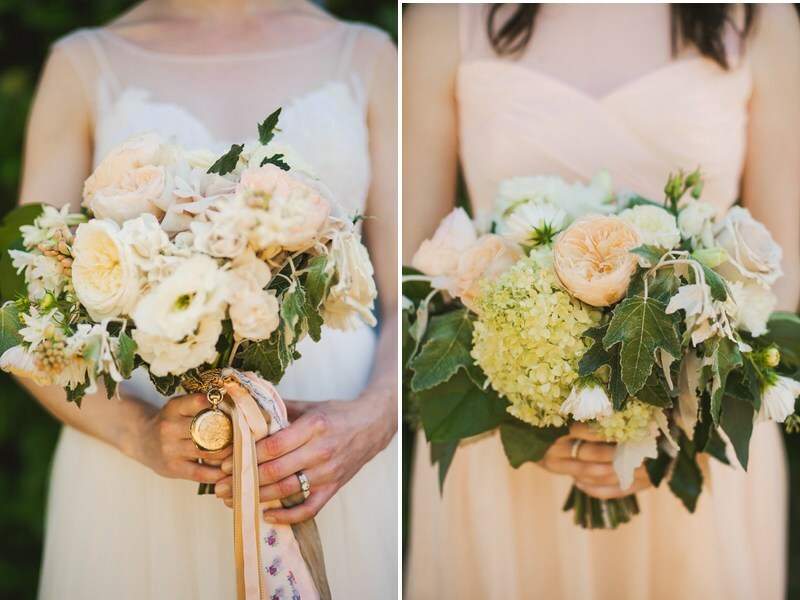 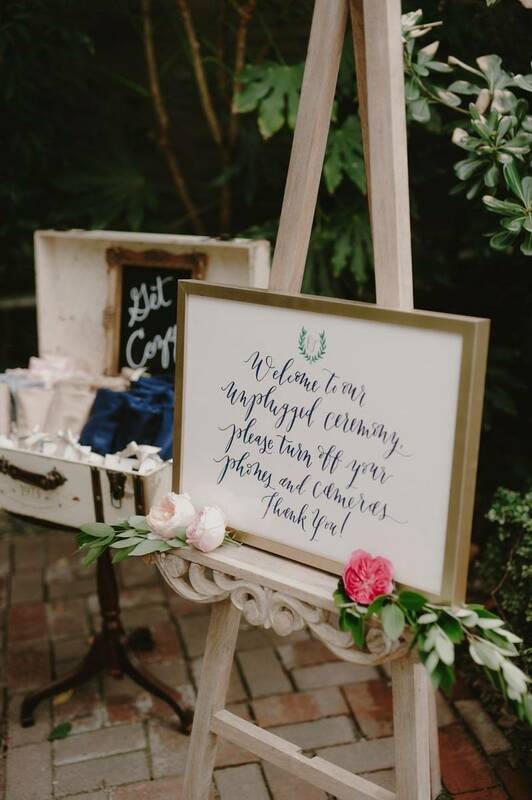 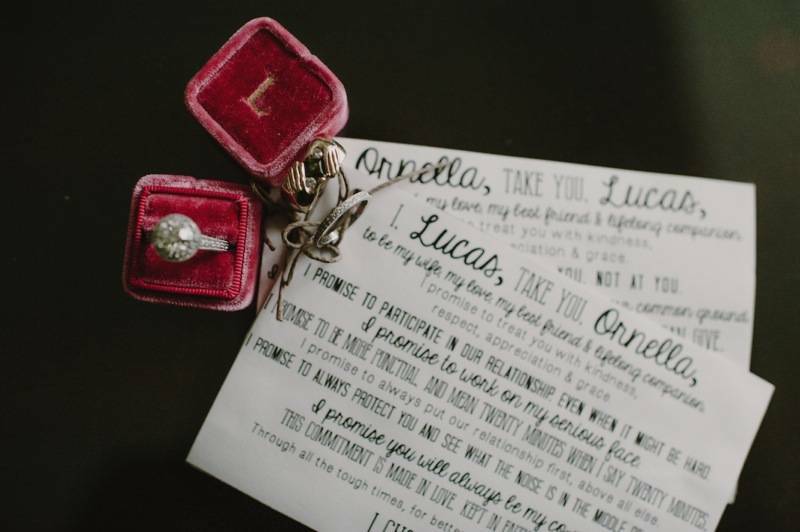 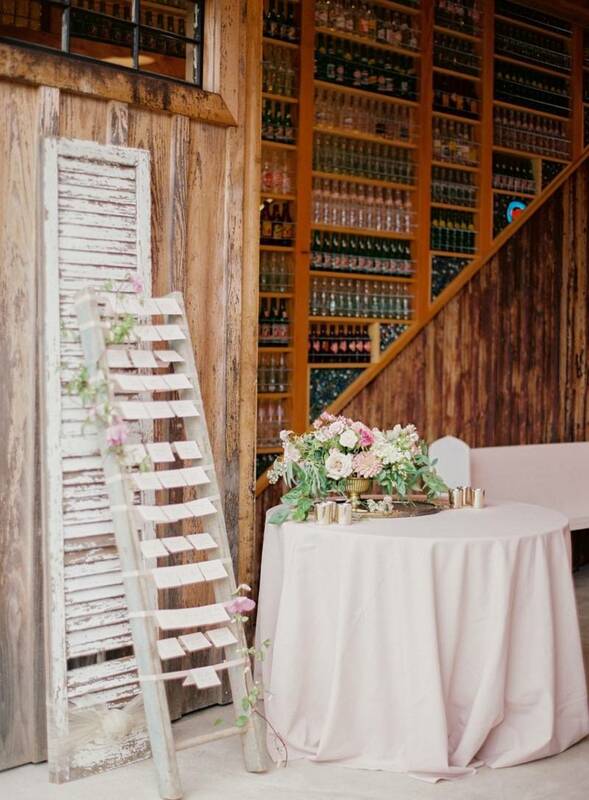 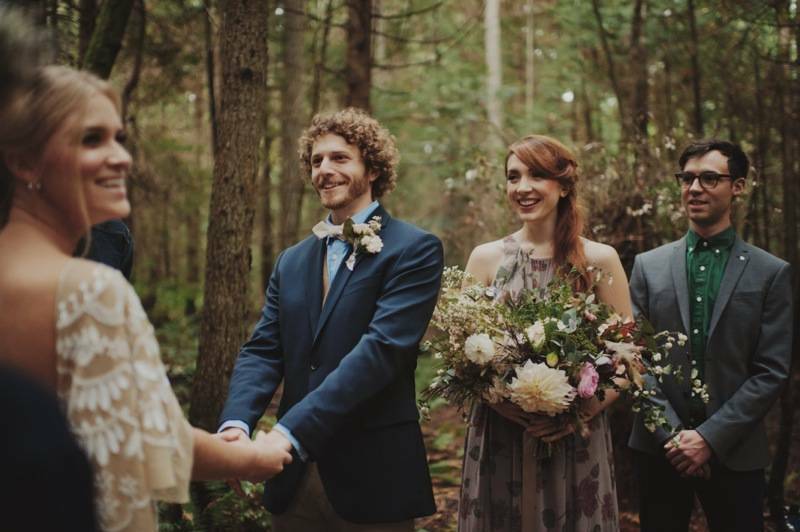 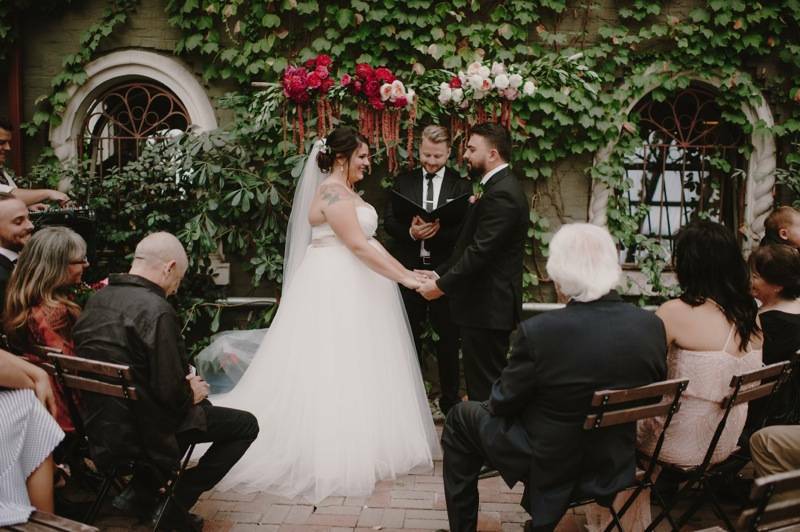 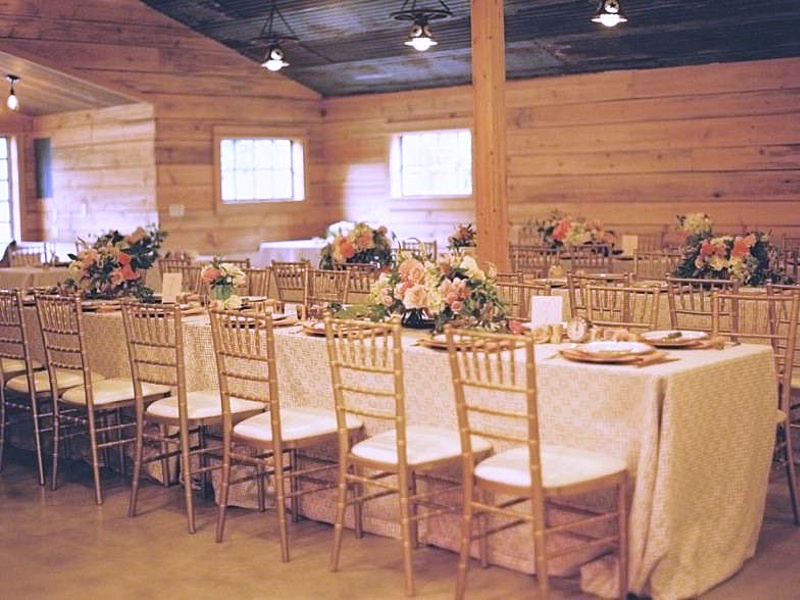 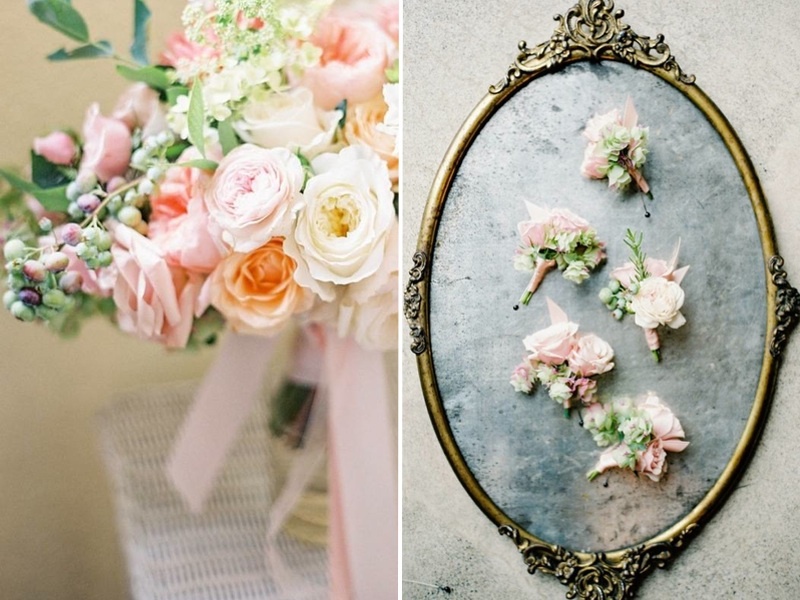 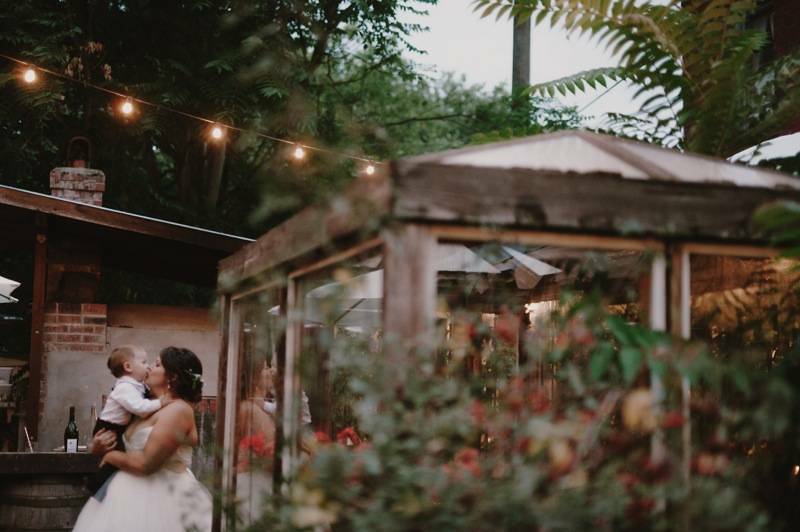 Guests wandered around the farm visiting the various resident animals and then took their seats for the ceremony on rustic wooden benches as Audrey and David were married under a metal arch covered in peach, blush and green blooms. 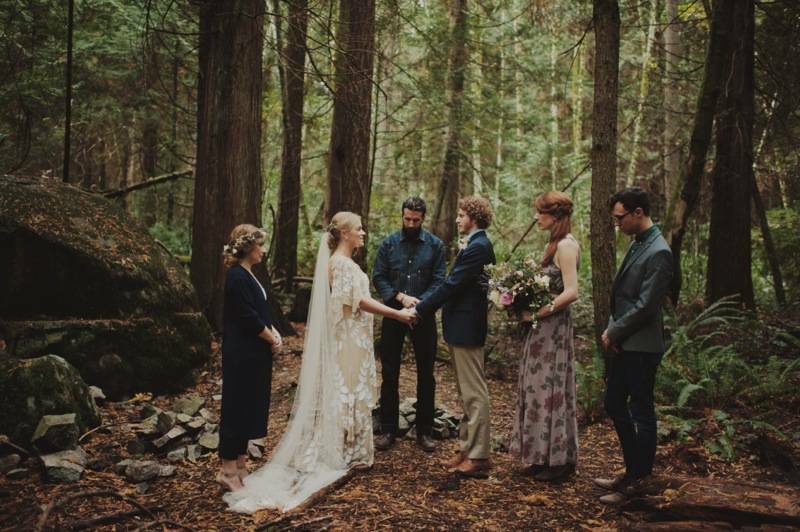 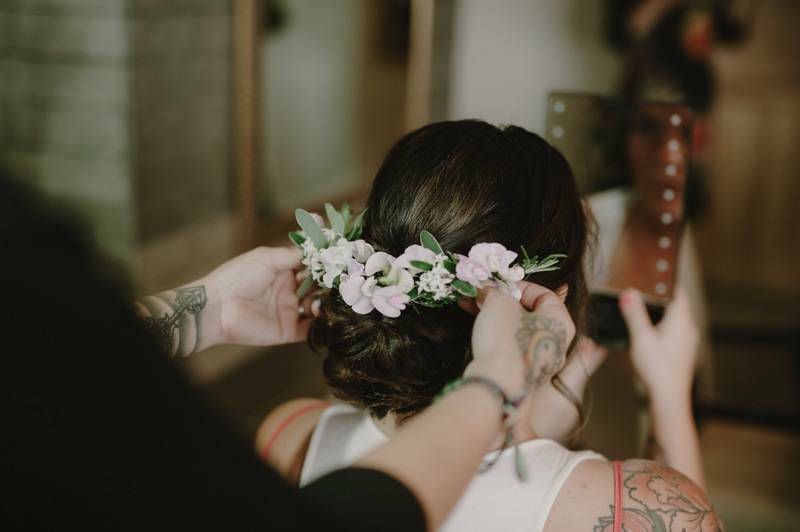 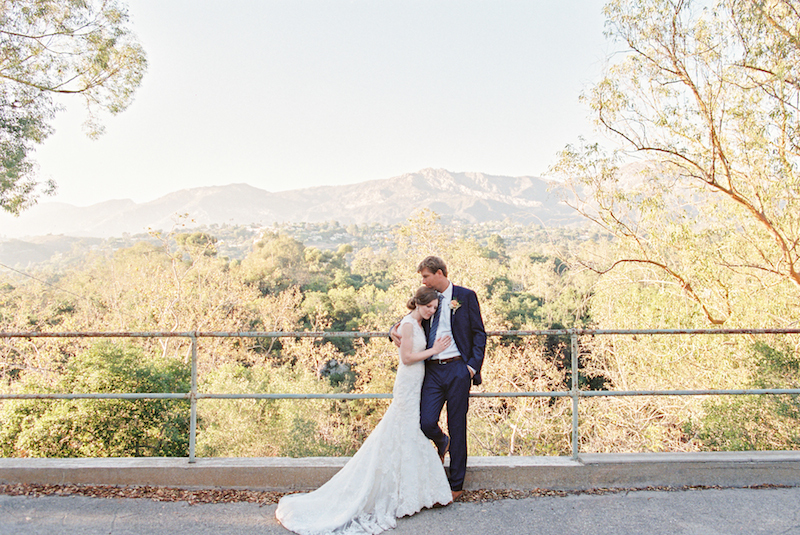 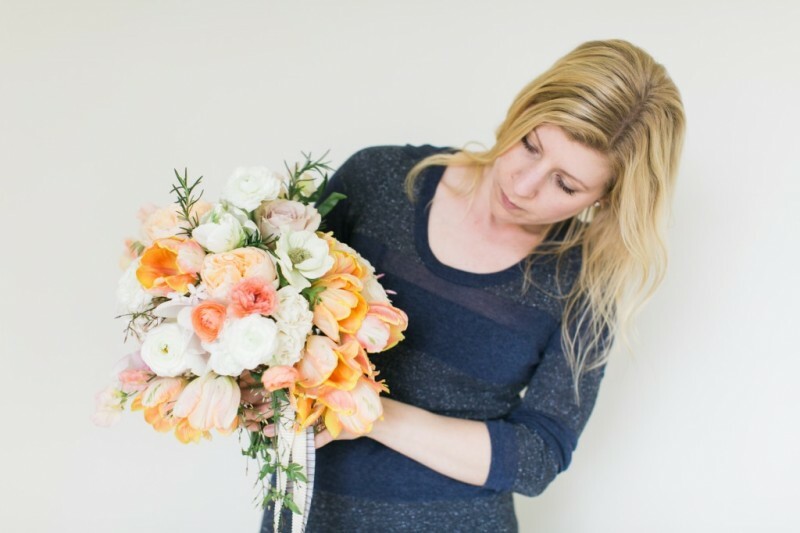 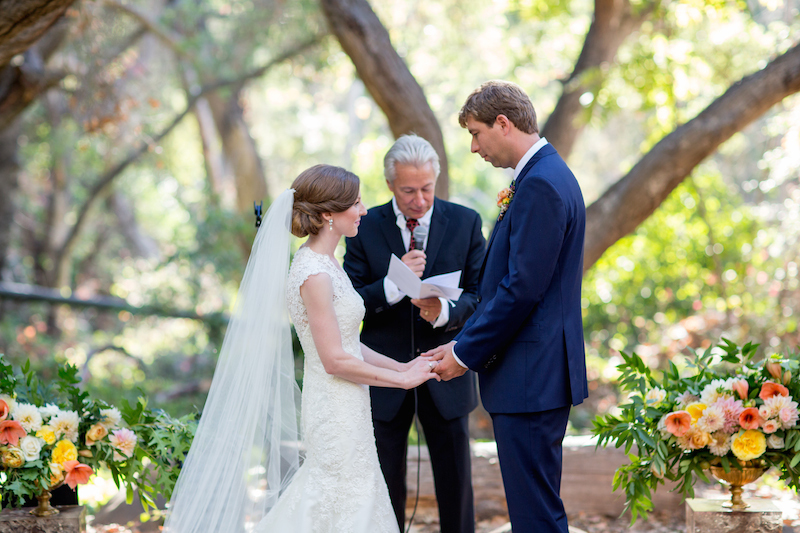 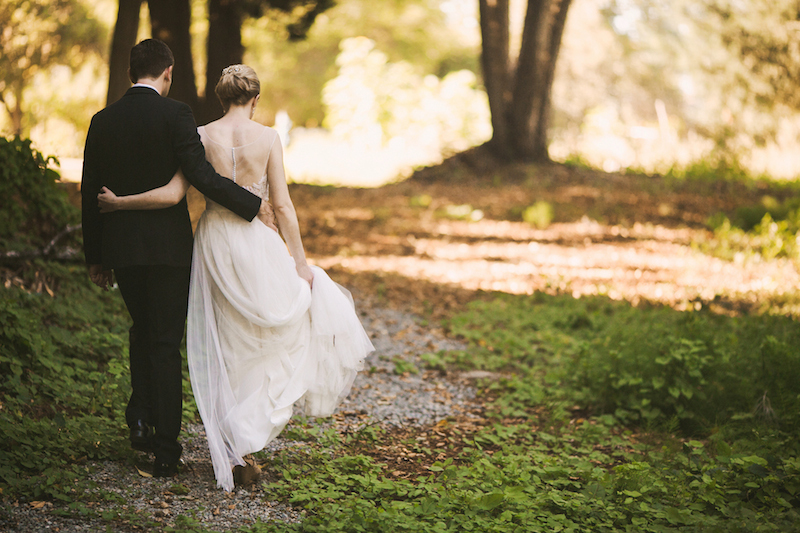 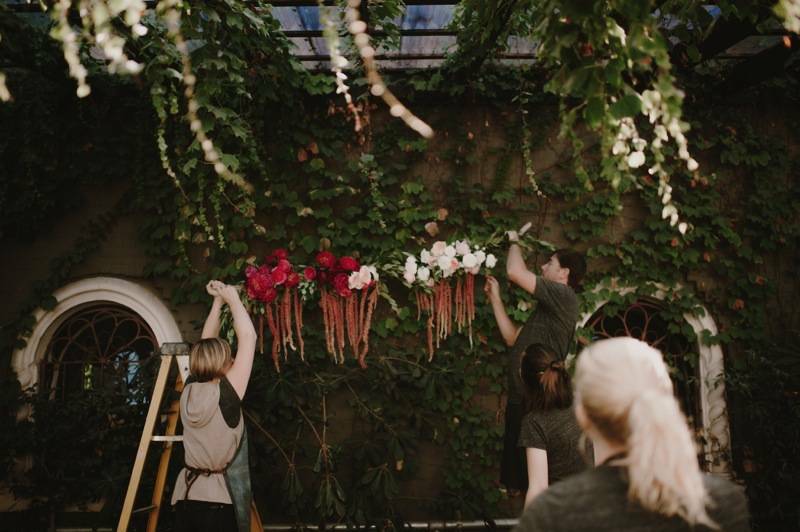 Planning and designing last fall’s wedding at the Santa Barbara Natural History Museum was a project very close to my heart because it was my sister’s wedding. 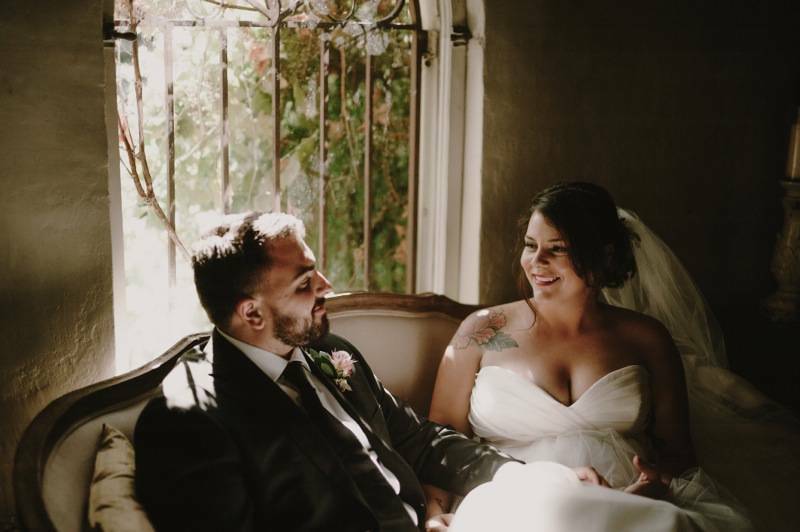 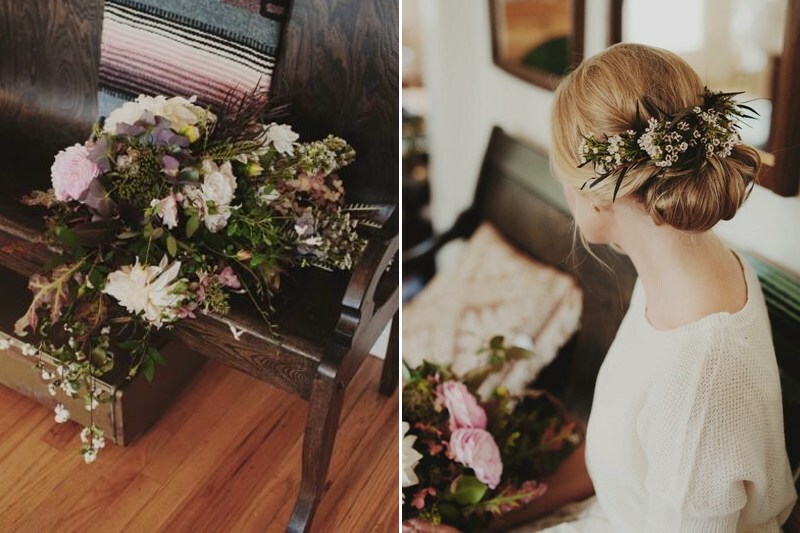 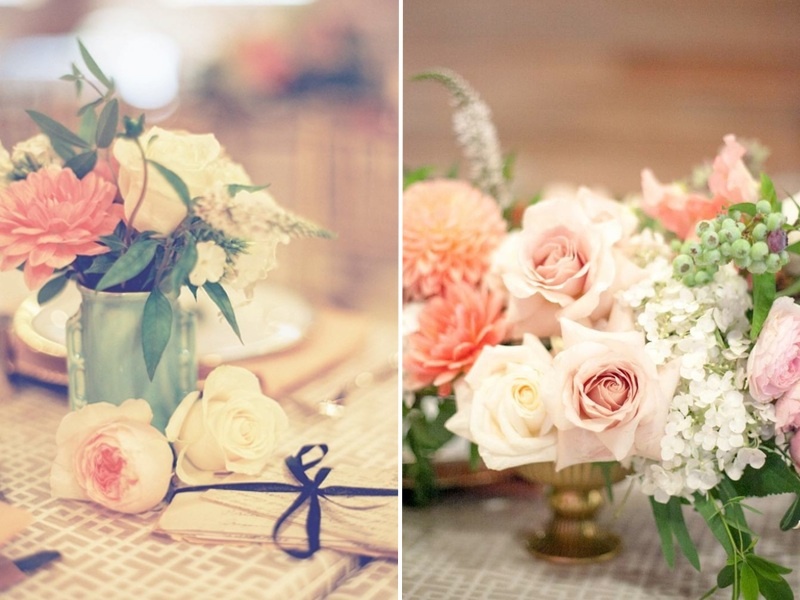 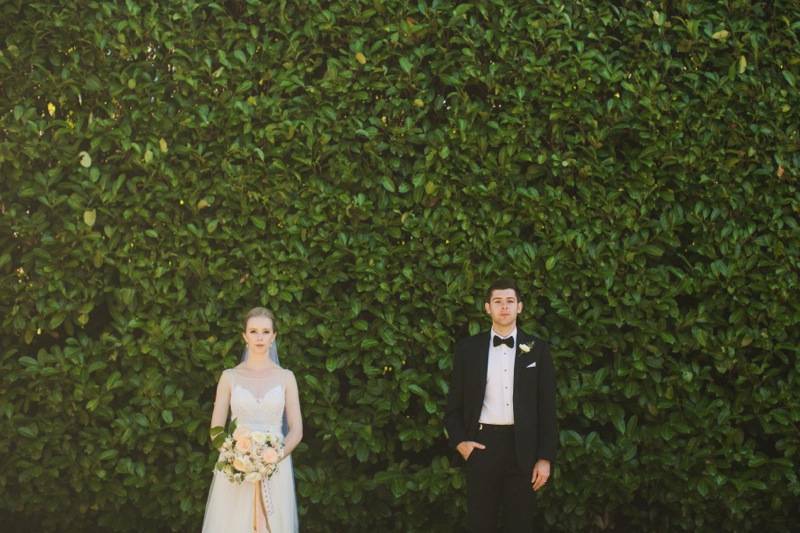 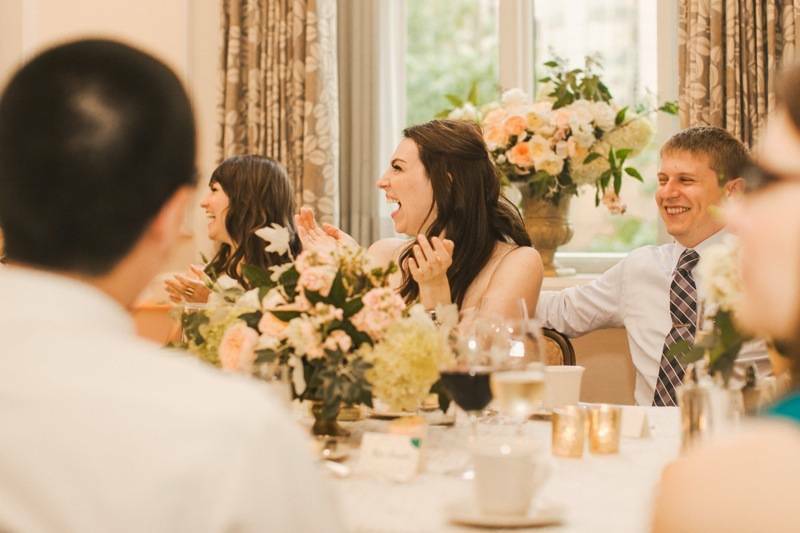 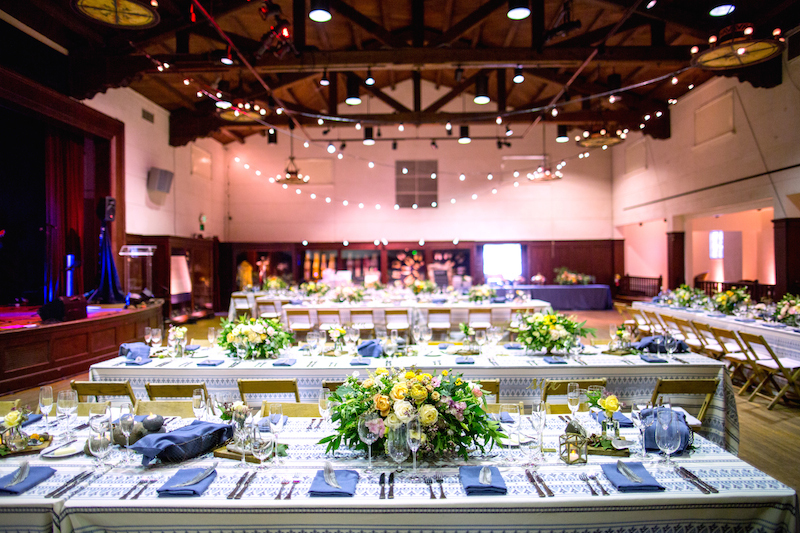 Over the course of a year, I made several trips down to California to check out the venue, source linens and rentals and play around with props and flowers. 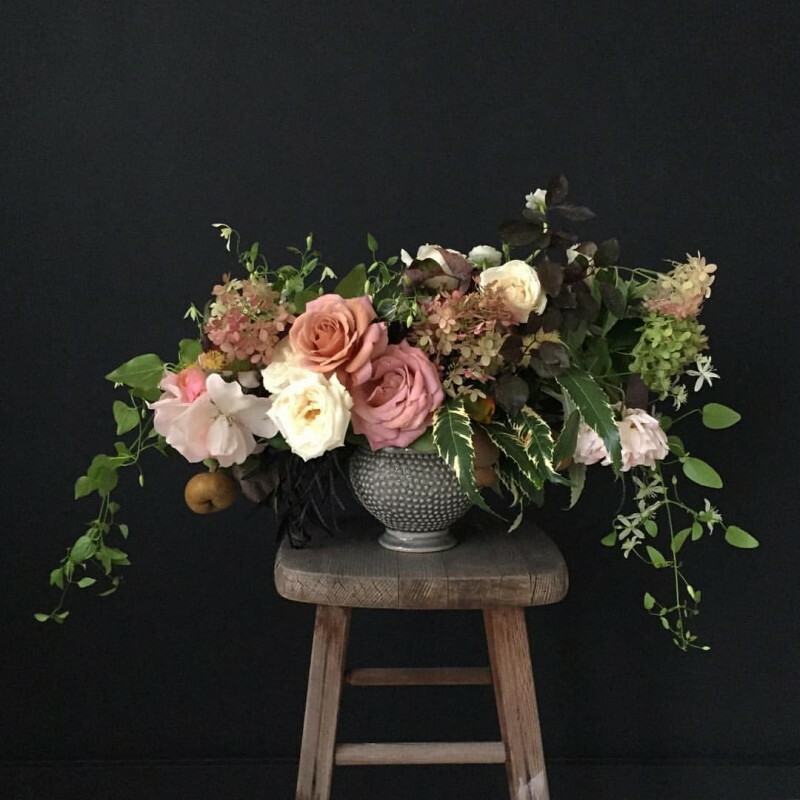 It was so fun to collaborate with my sister since I knew her taste so well and because we like so many of the same things. 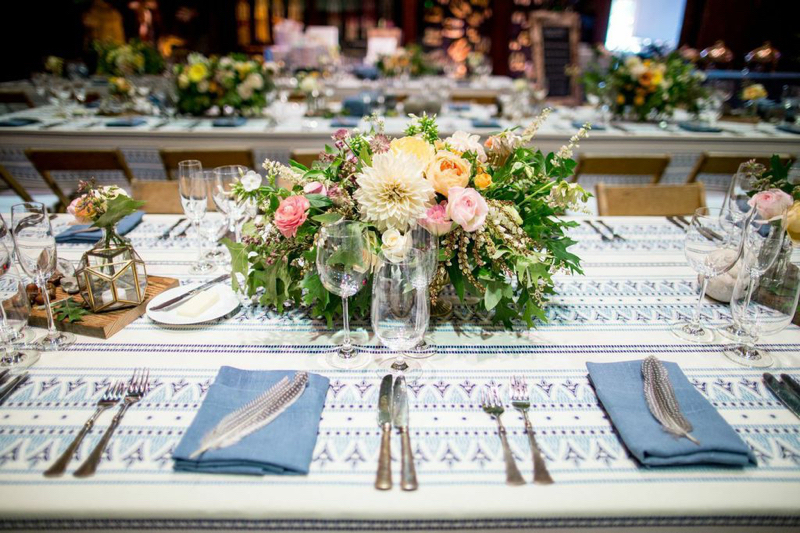 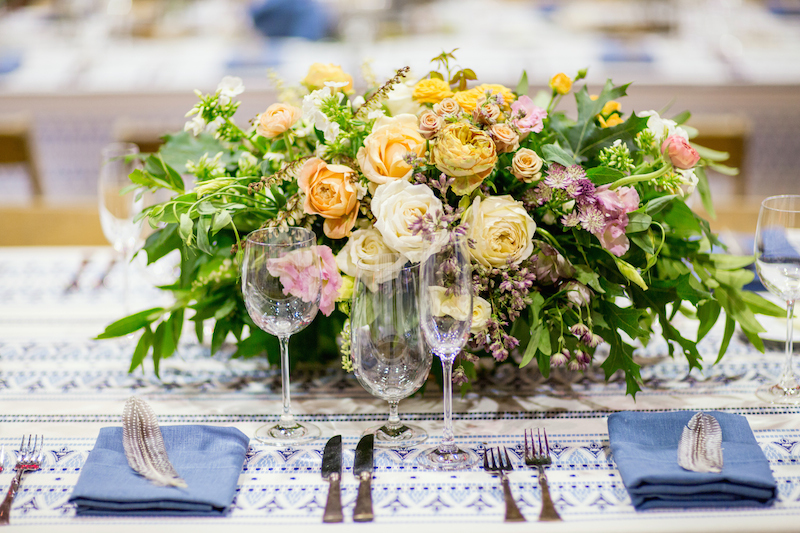 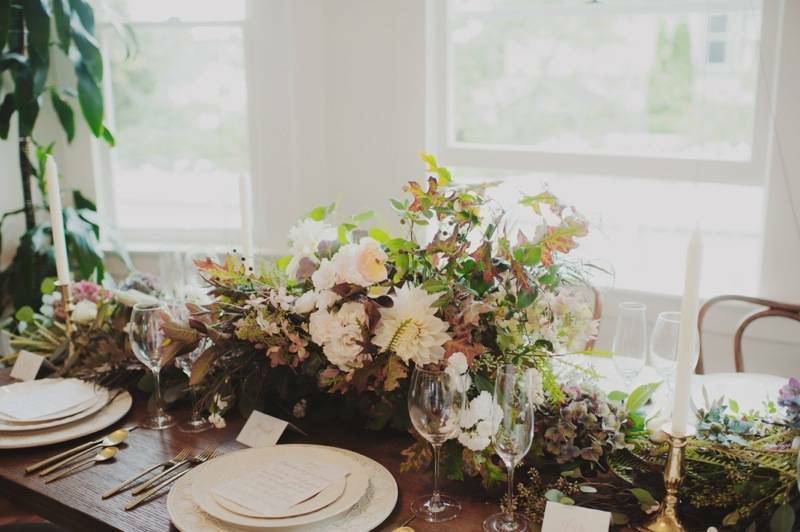 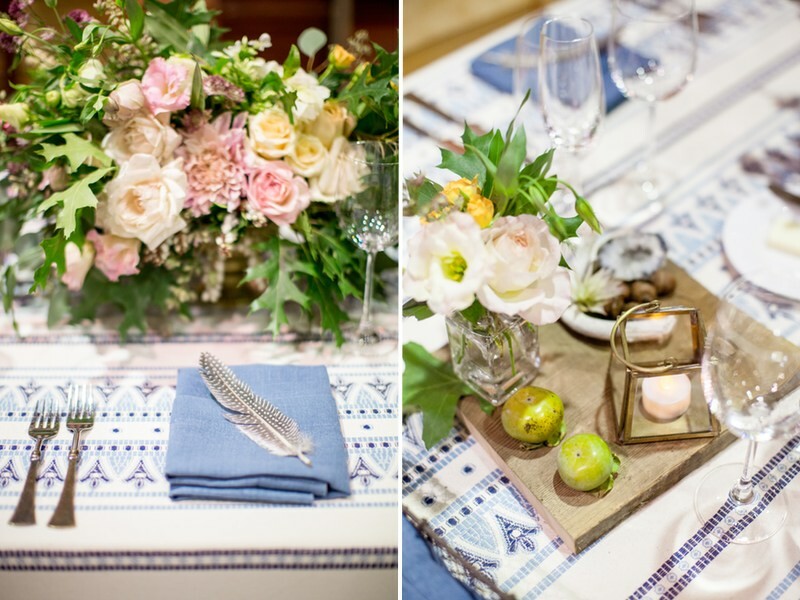 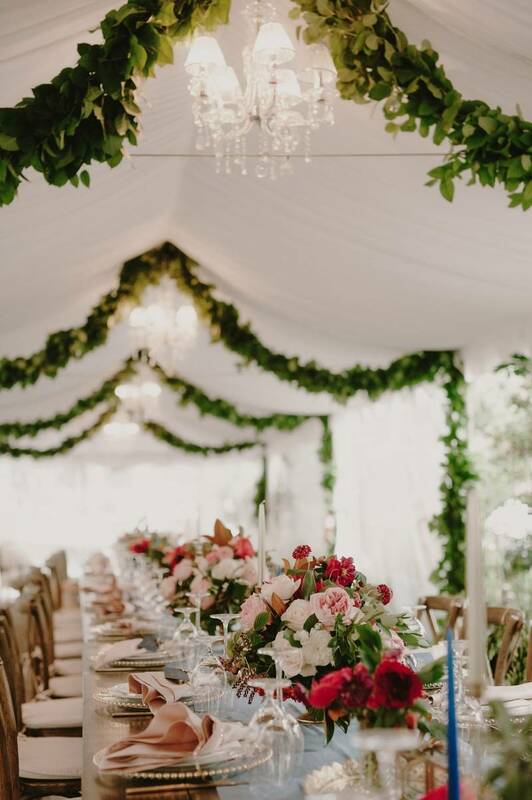 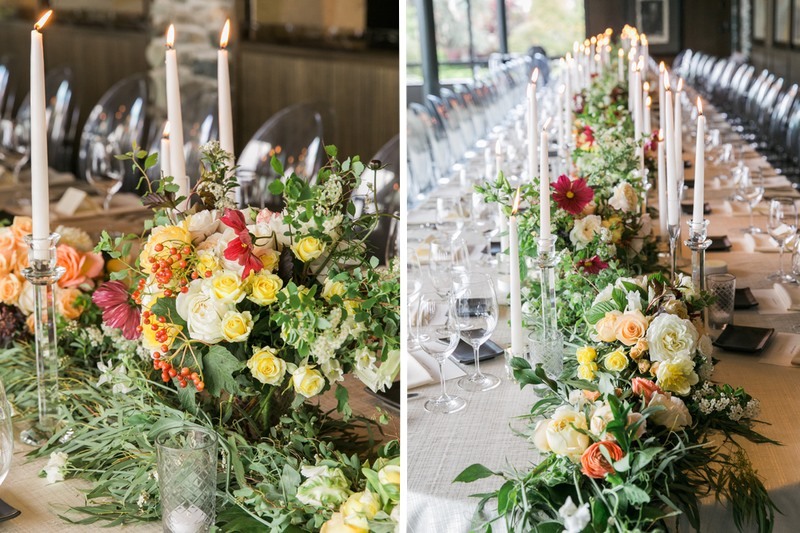 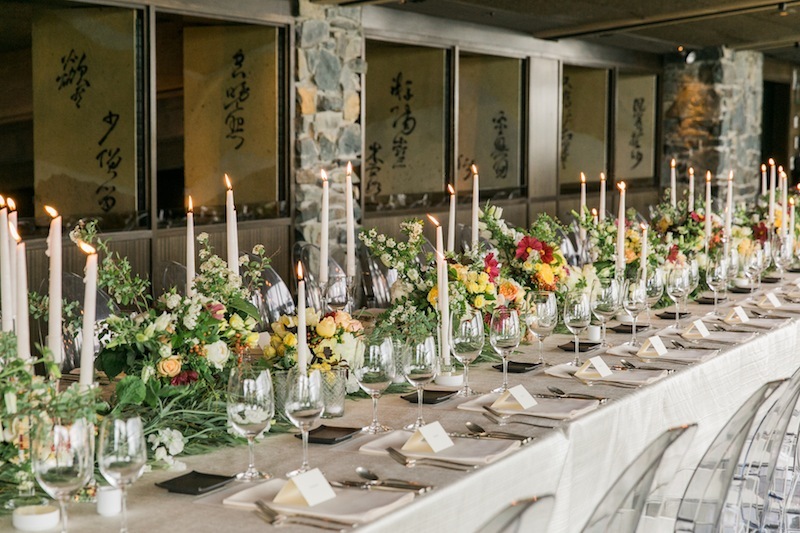 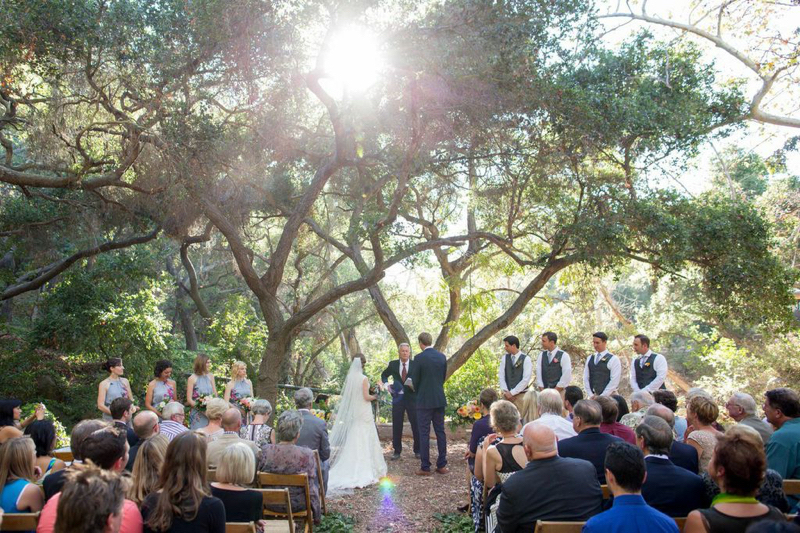 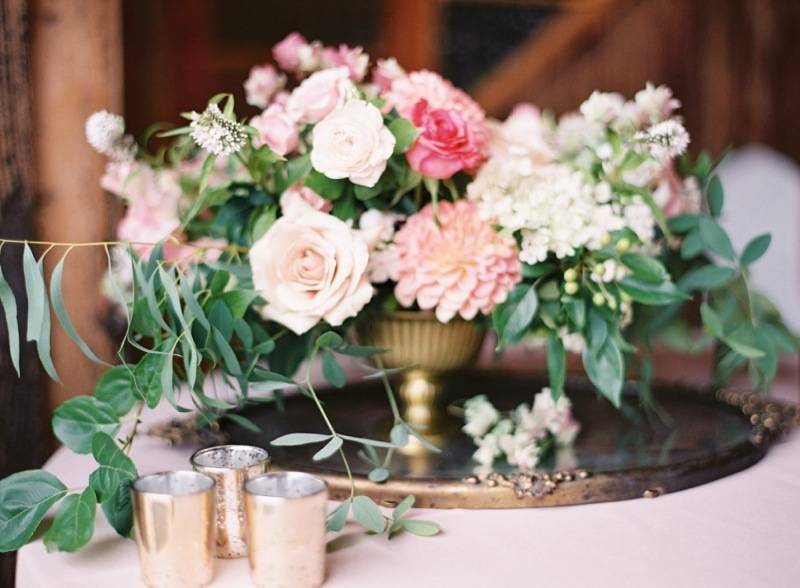 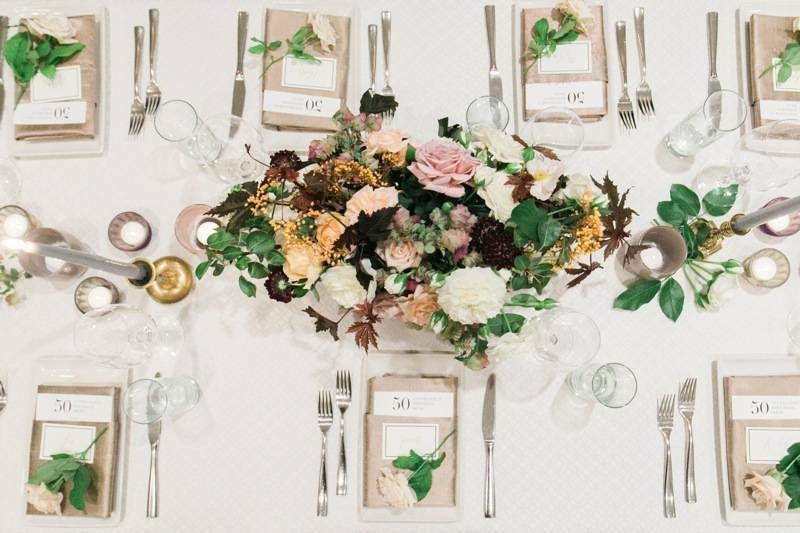 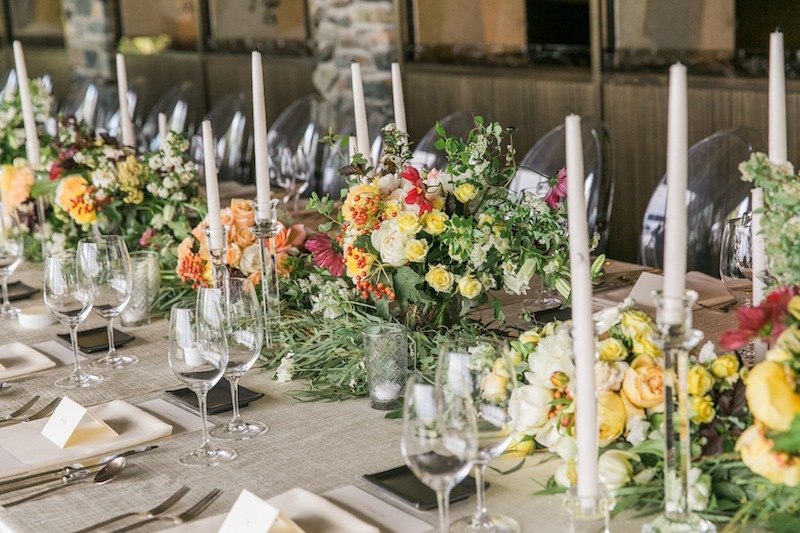 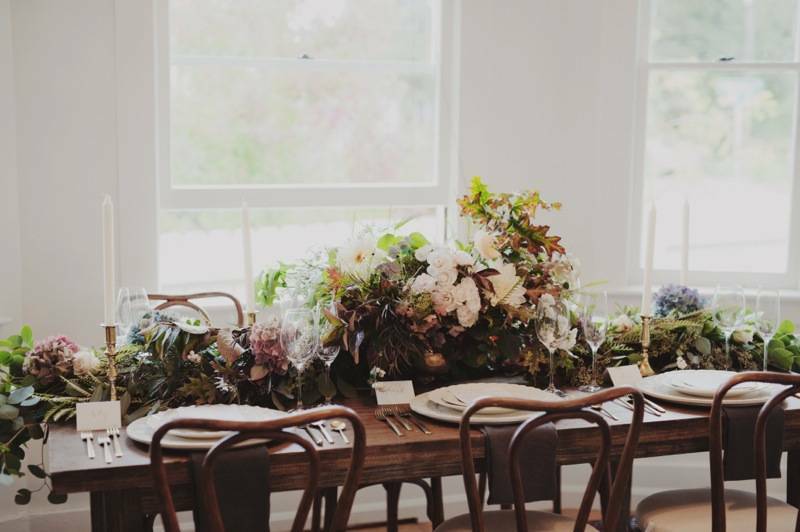 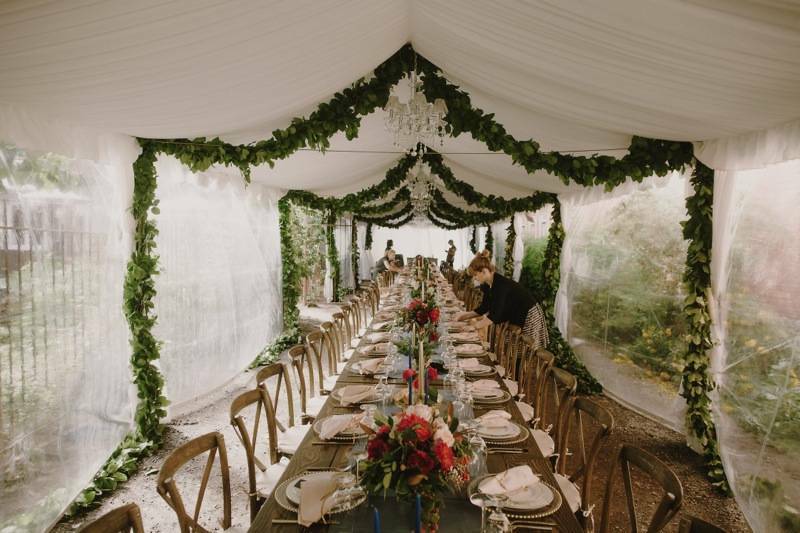 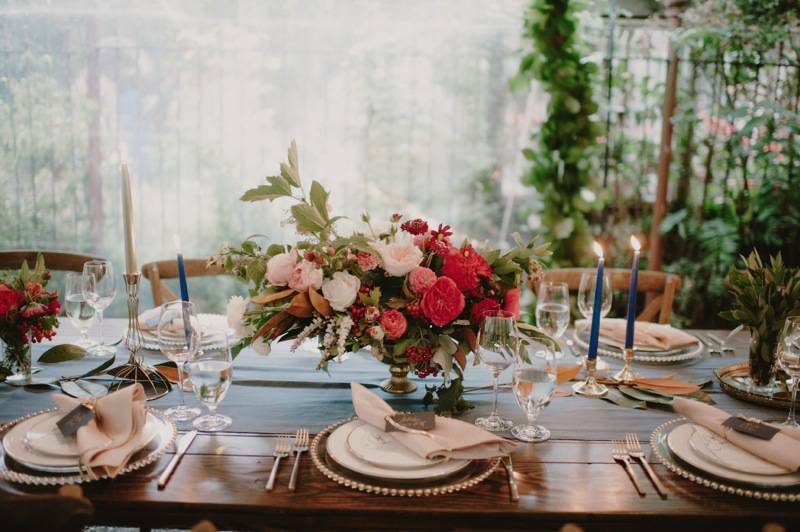 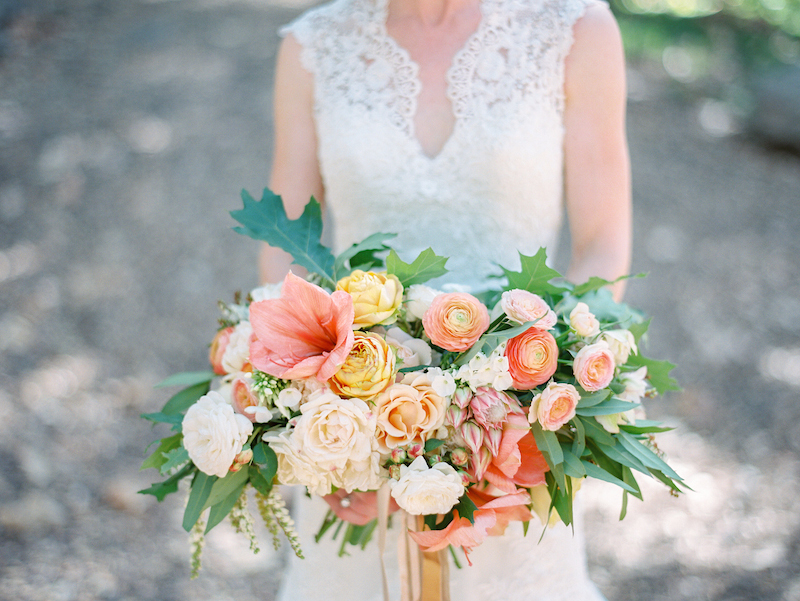 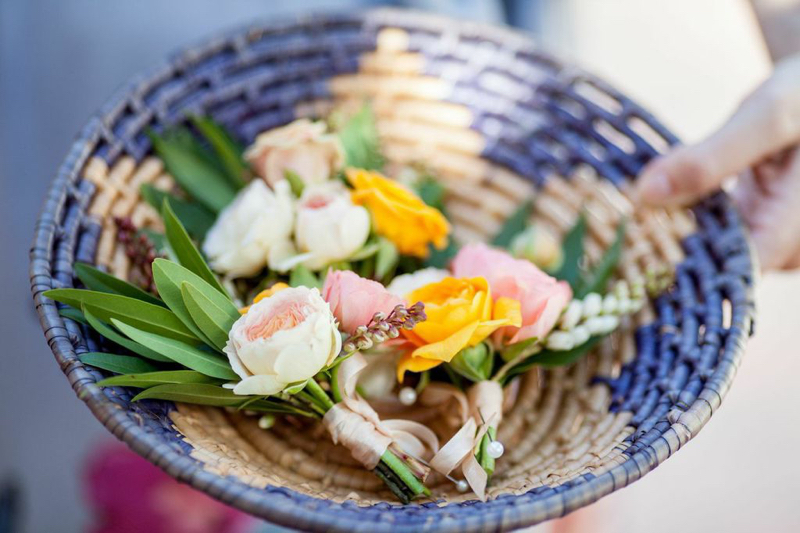 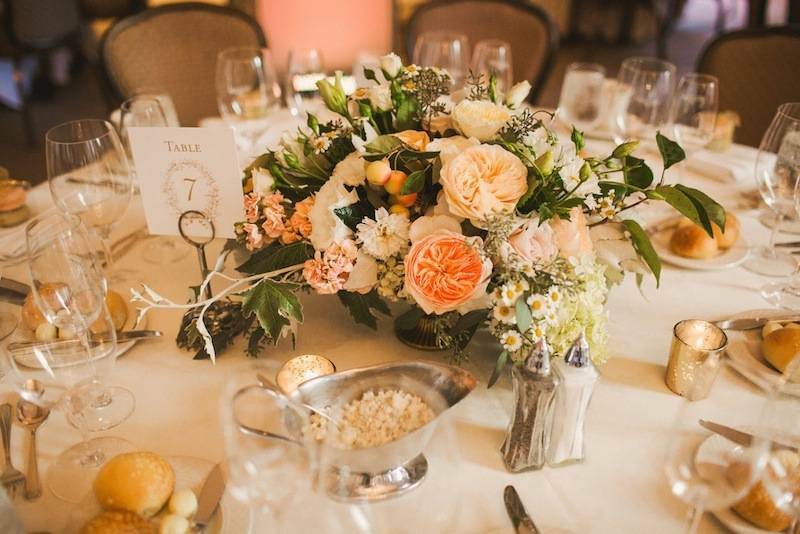 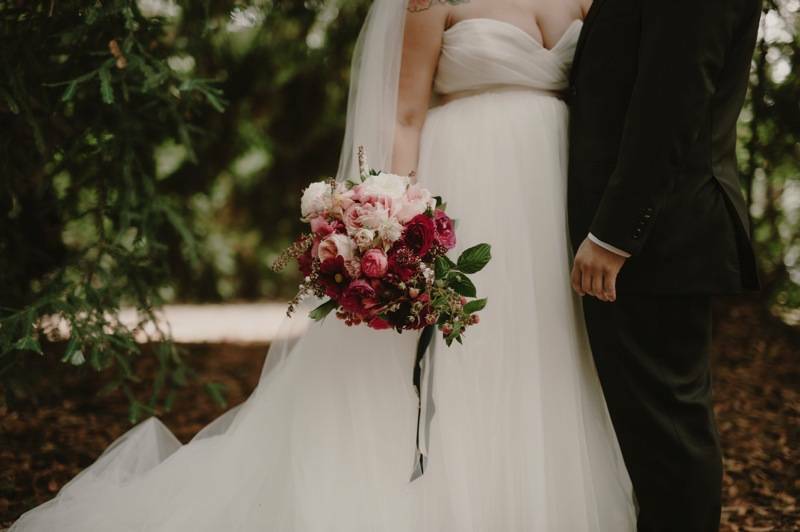 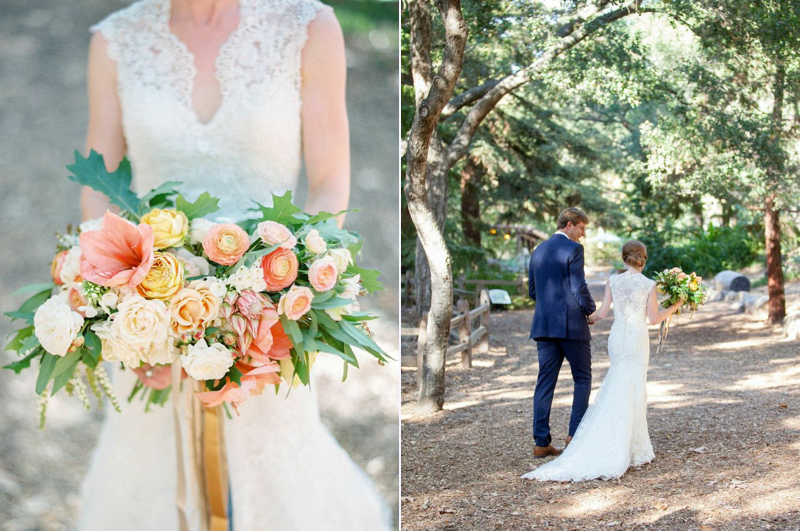 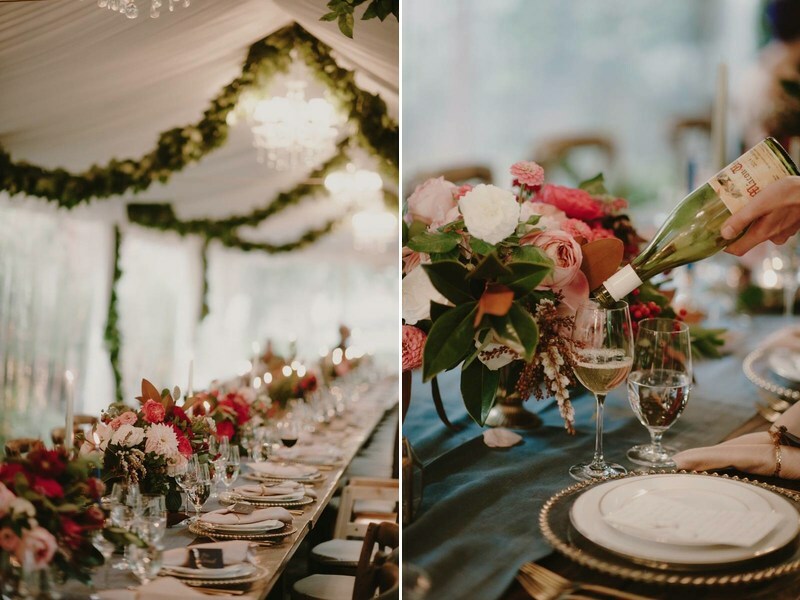 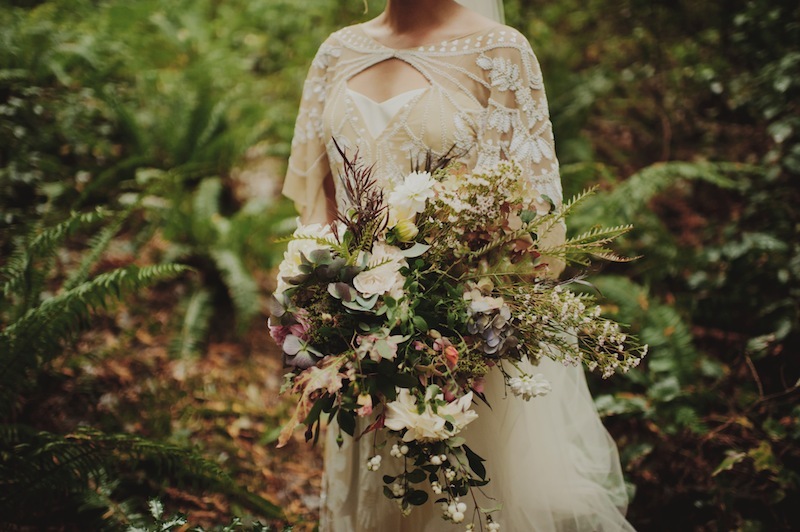 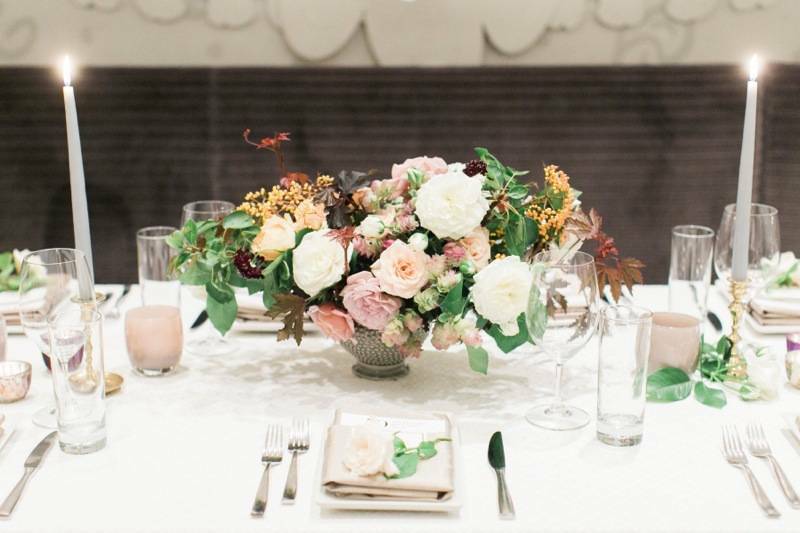 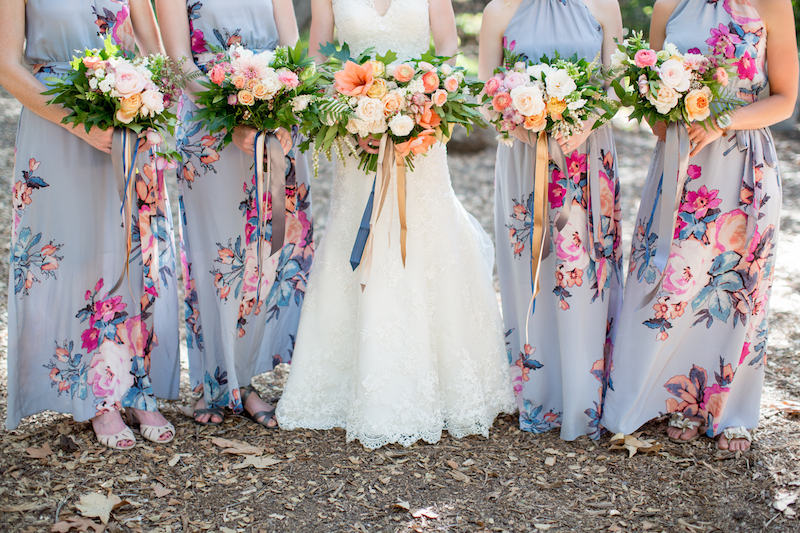 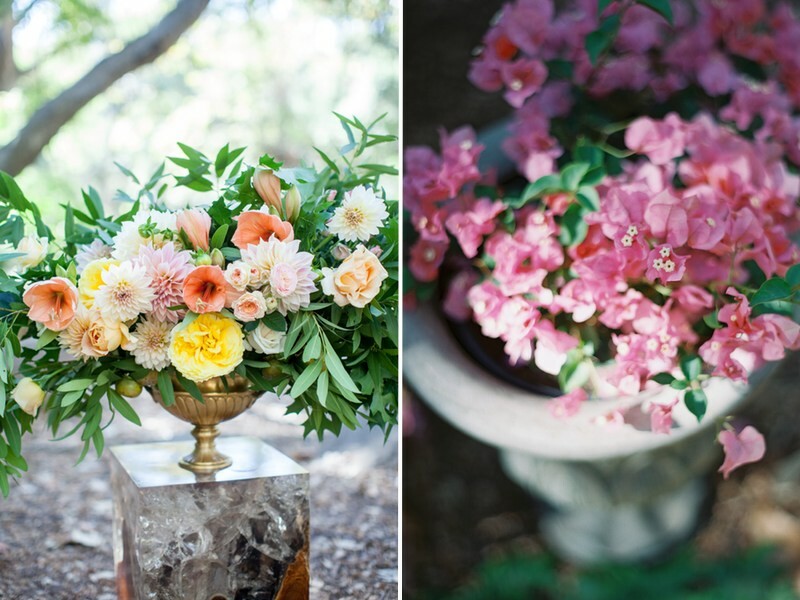 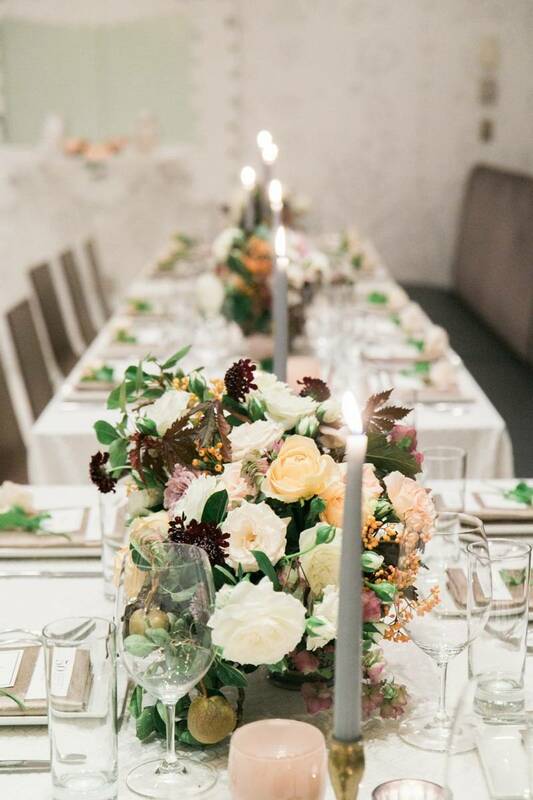 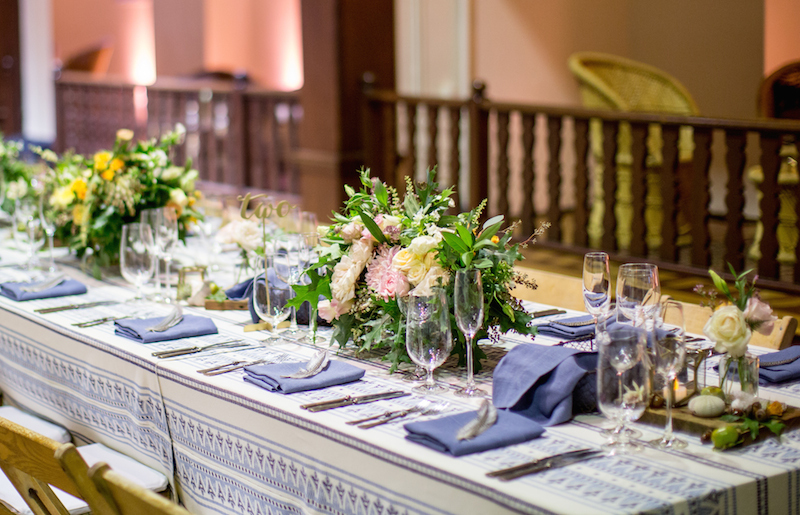 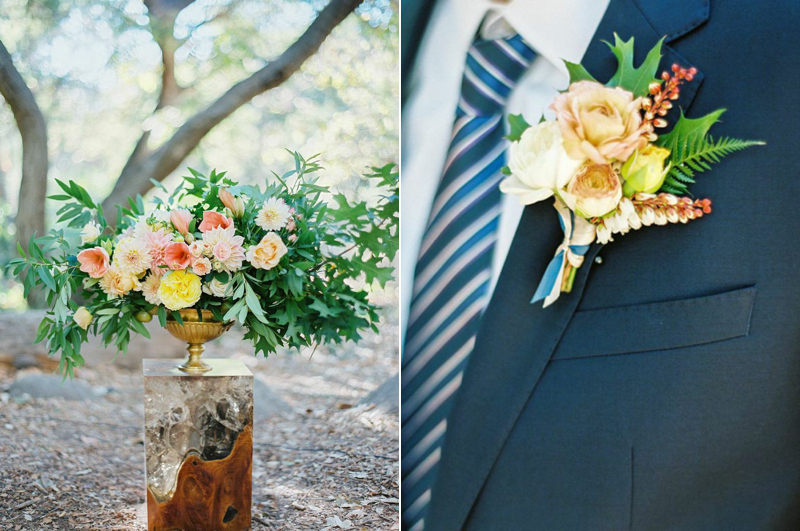 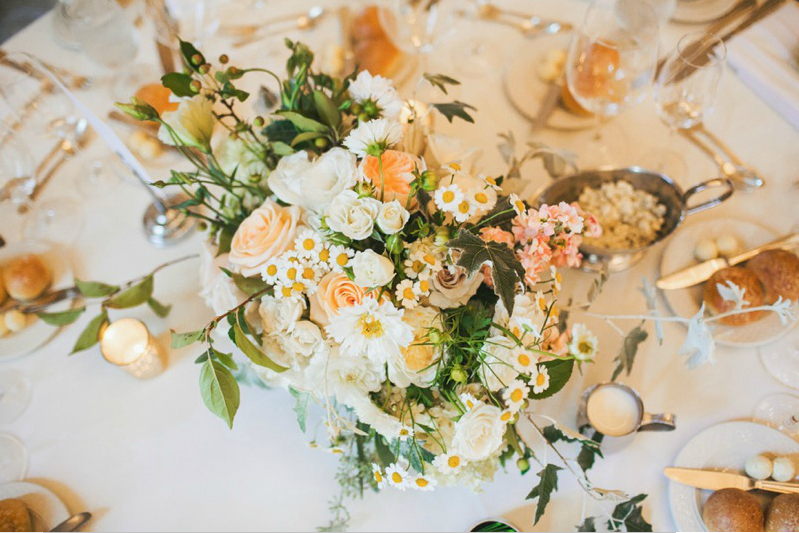 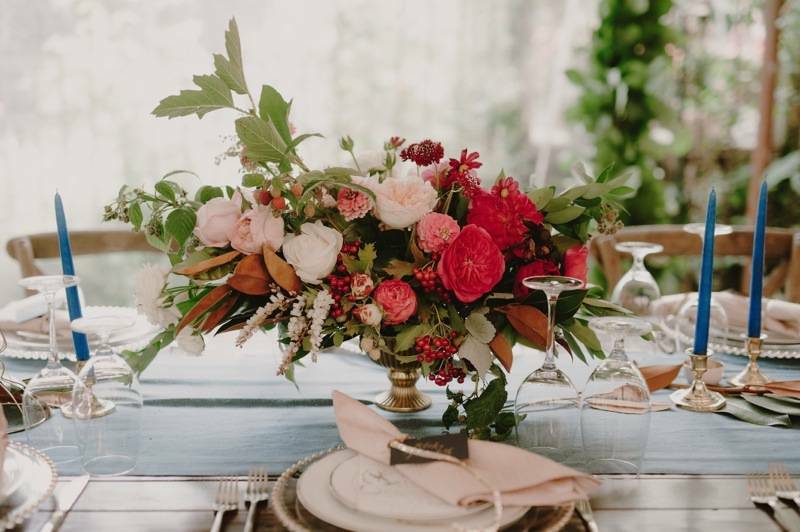 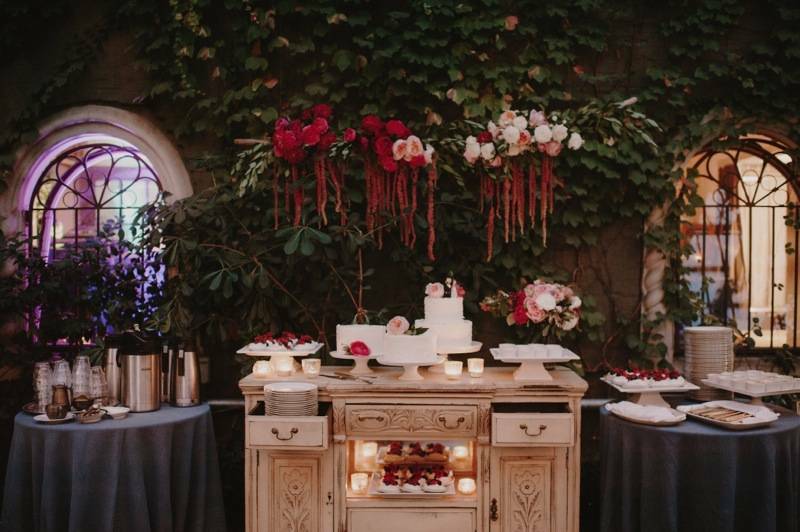 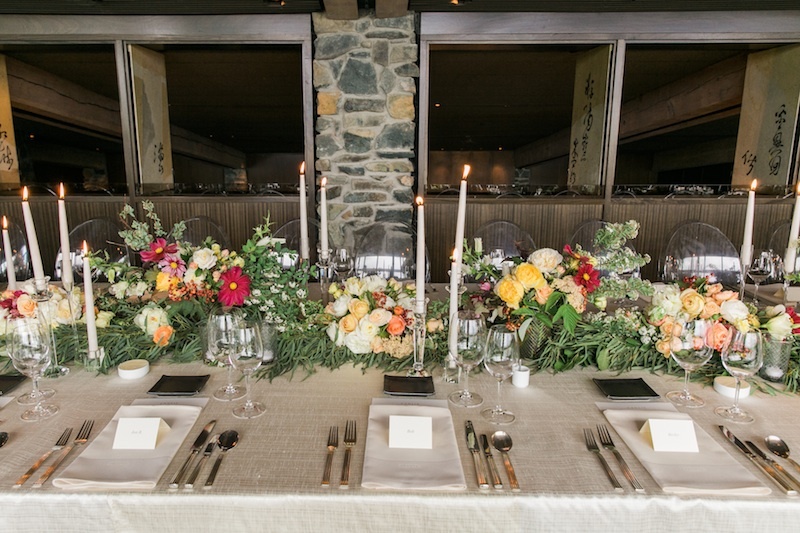 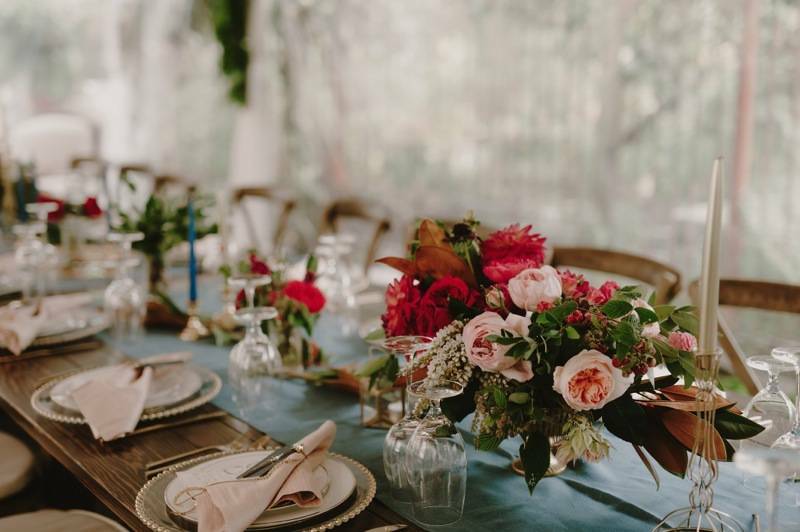 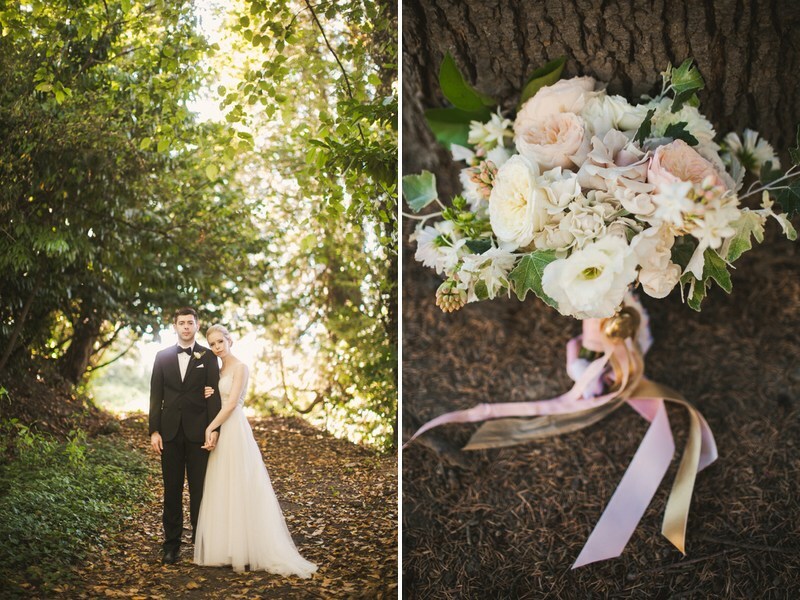 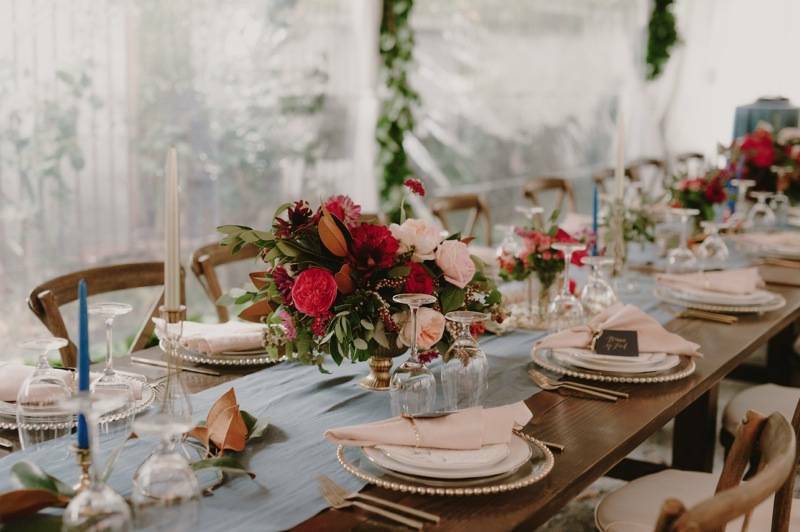 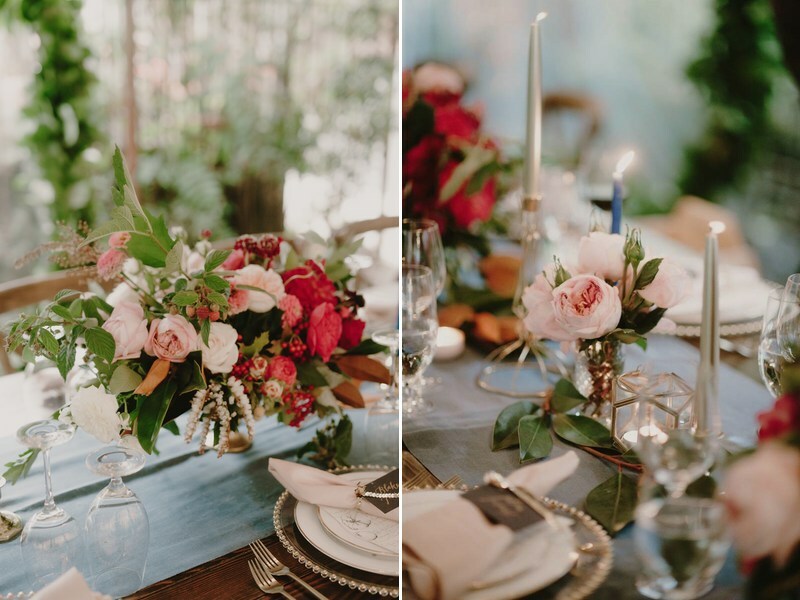 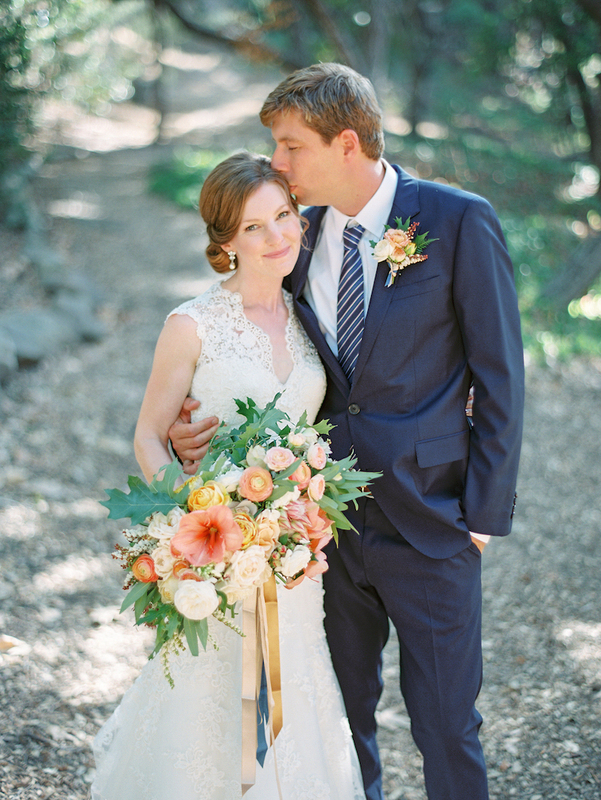 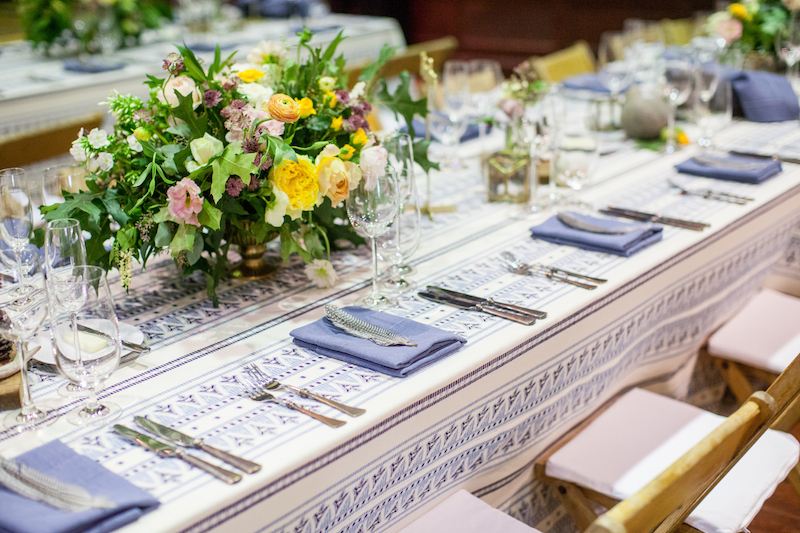 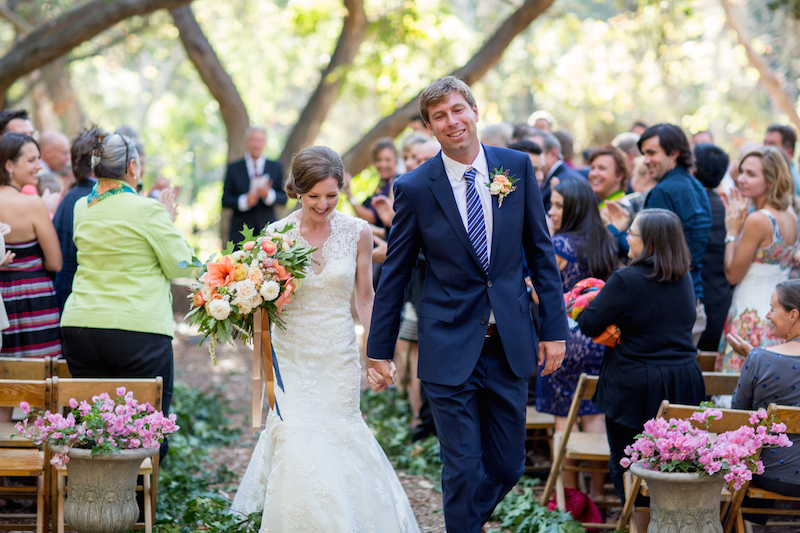 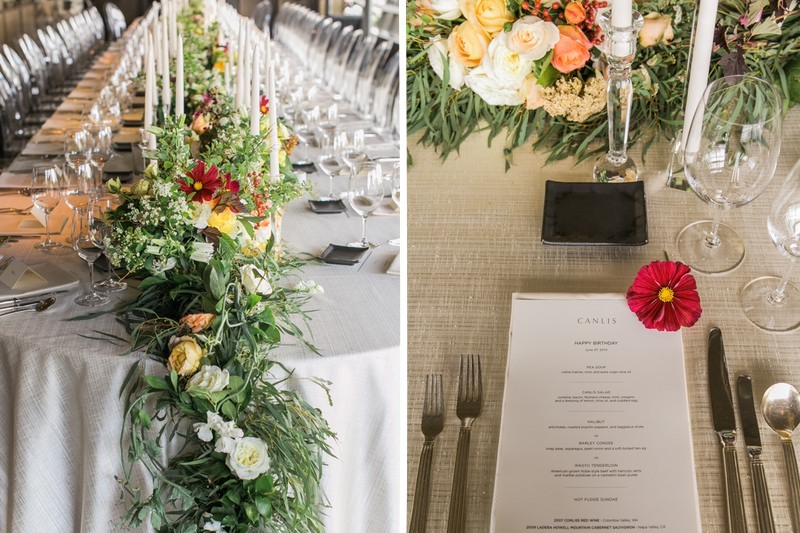 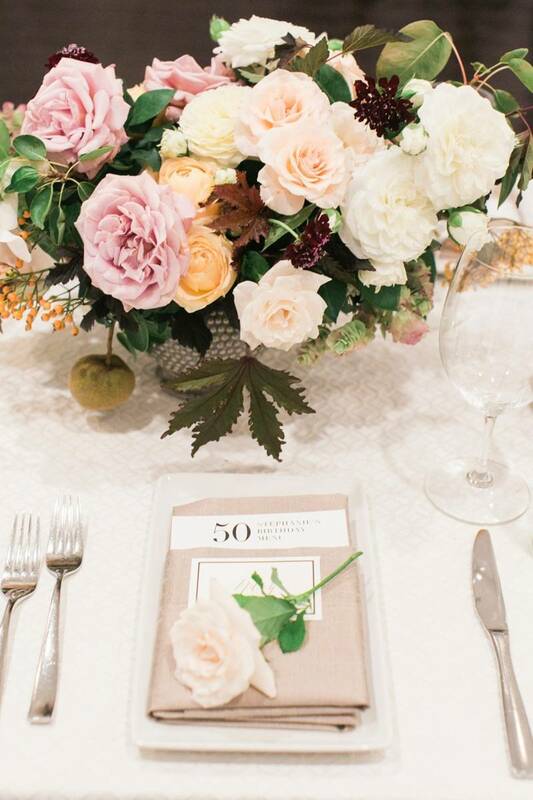 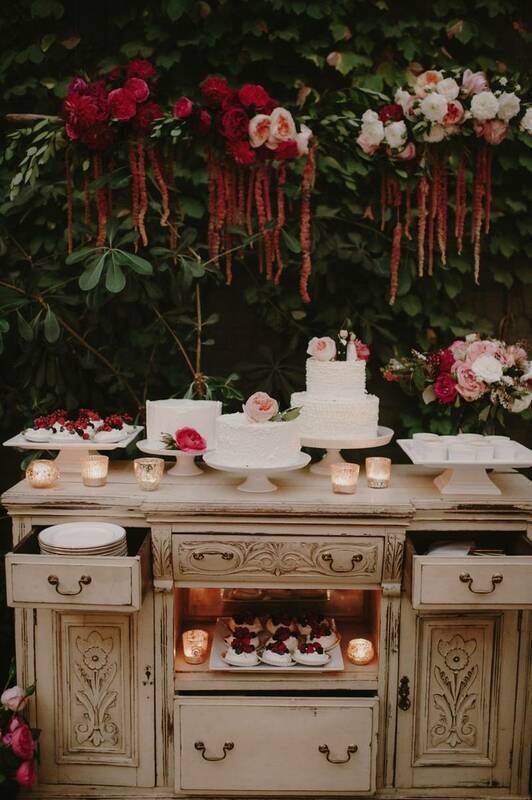 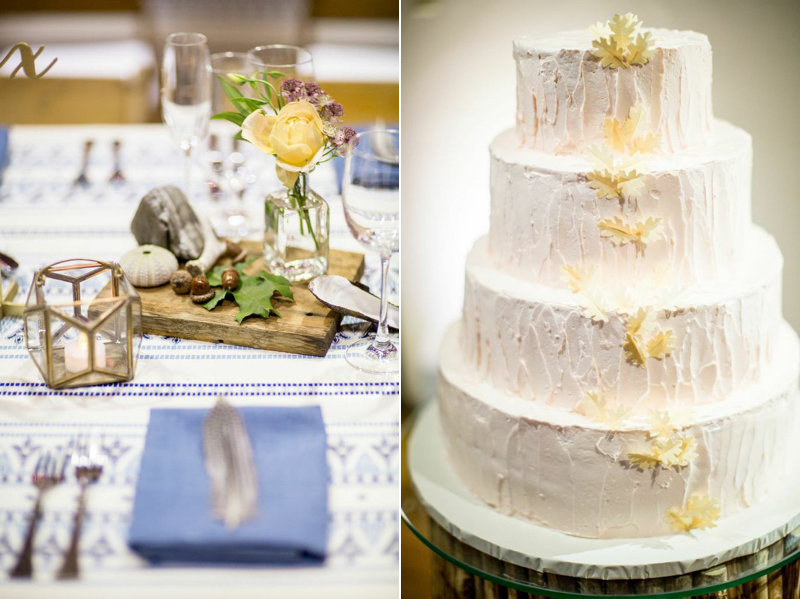 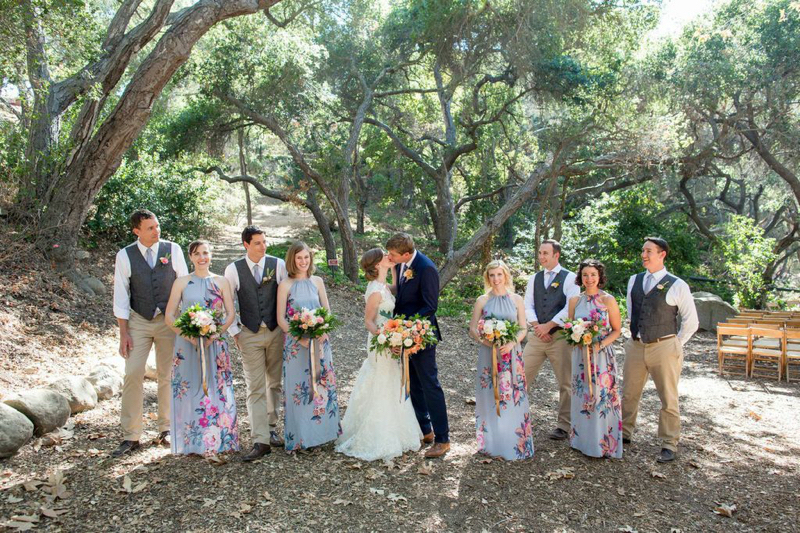 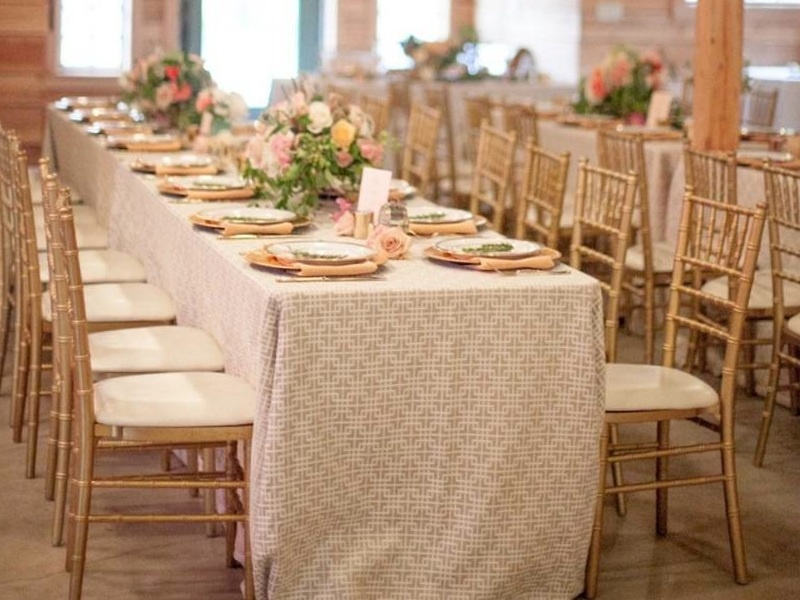 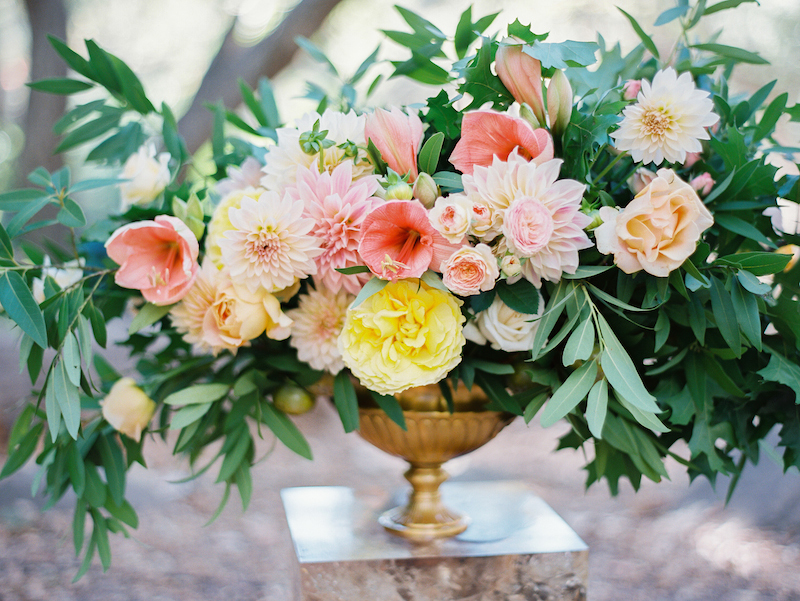 The result – a beautiful day with eclectic Southwestern, natural history inspired rentals and tablescapes combined with pinks, yellows and coral blooms and anchored by the acorns and oak leaves that fill the grounds of the Santa Barbara Natural History Museum.